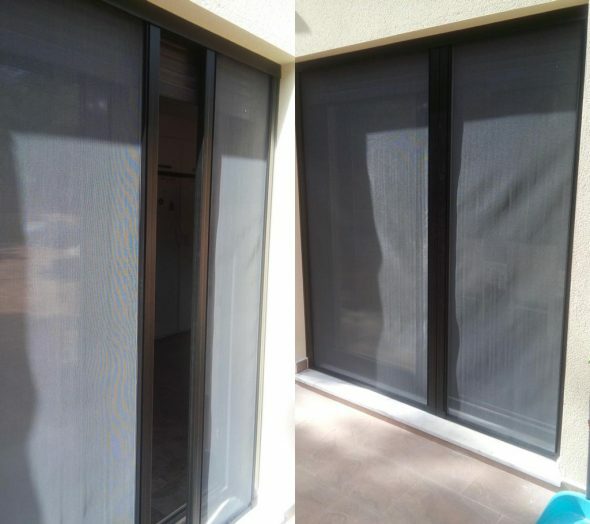 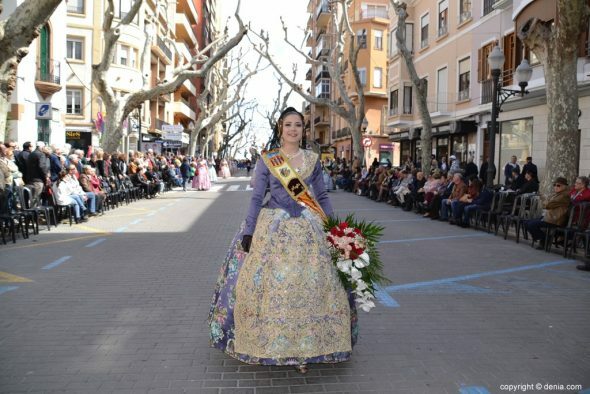 The big day of the failures Dénia arrived, with a sky that respected the party and did not discharge the water that threatened early in the morning. 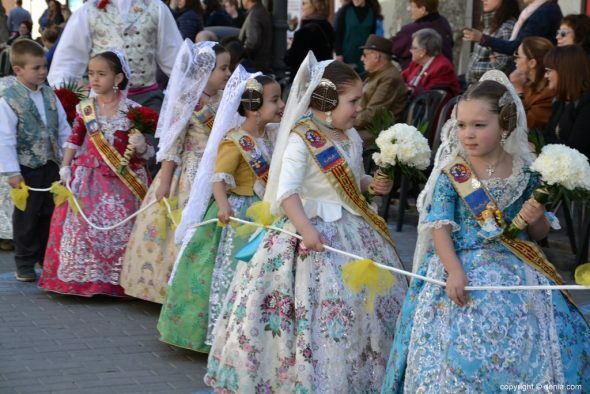 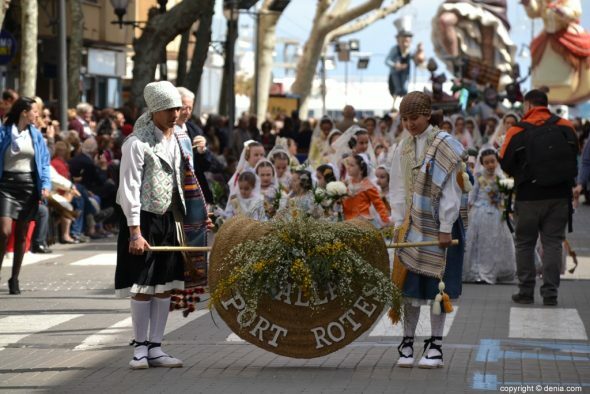 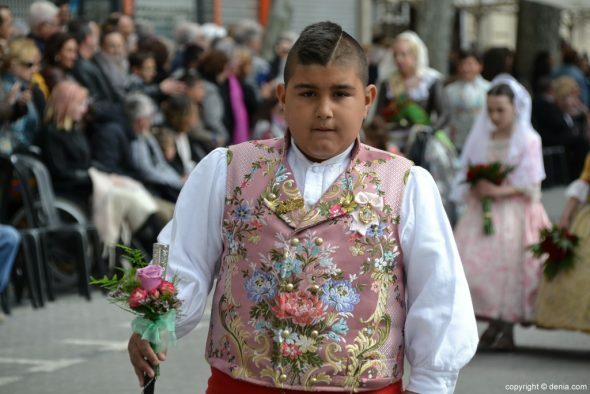 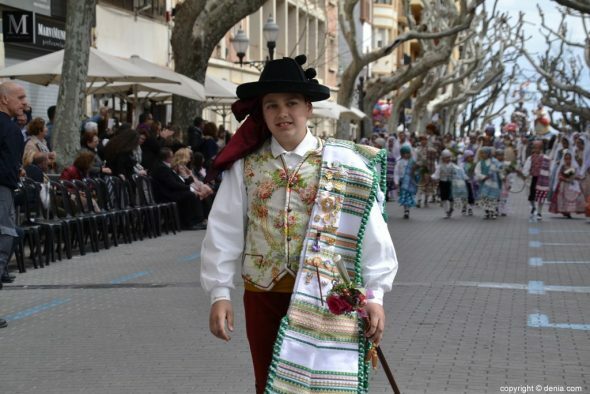 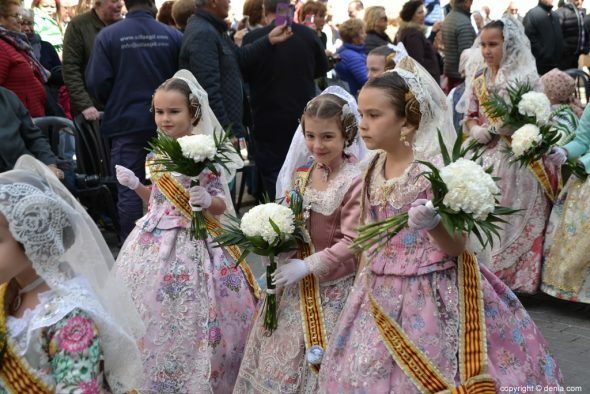 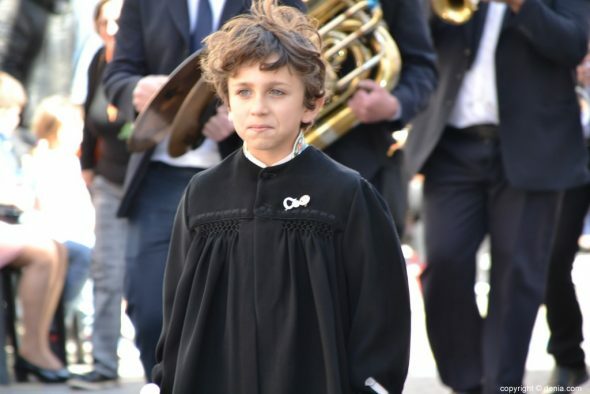 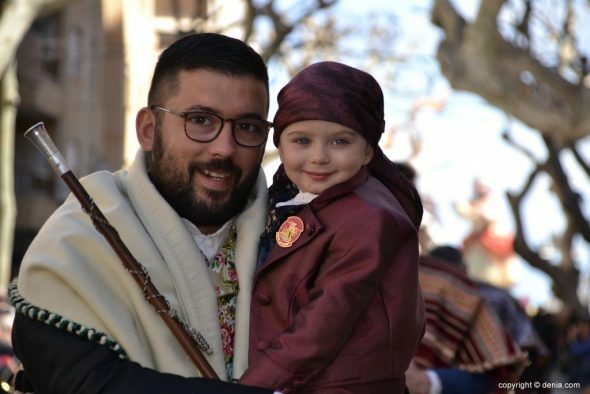 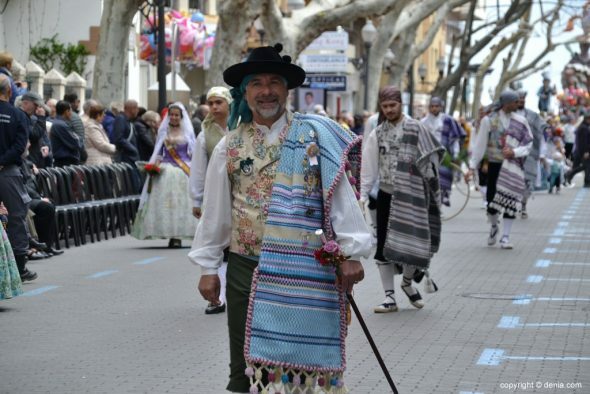 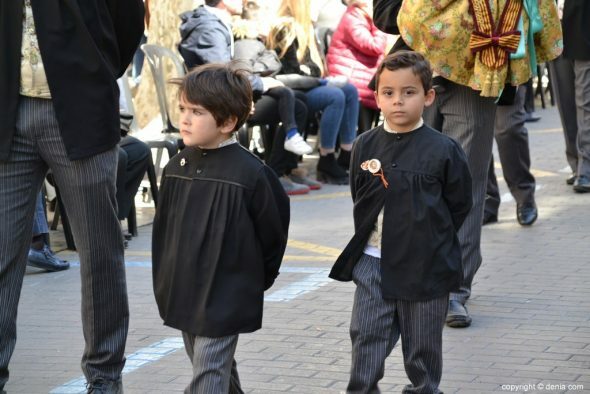 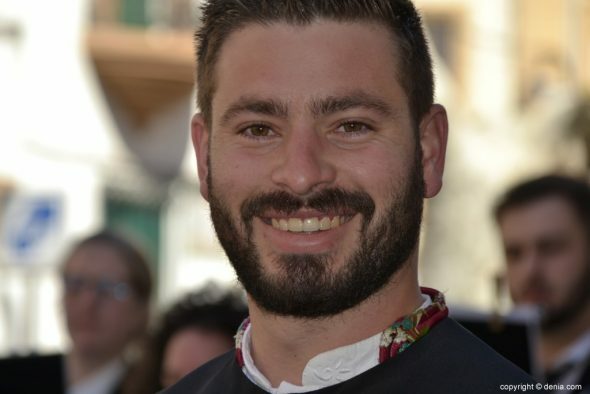 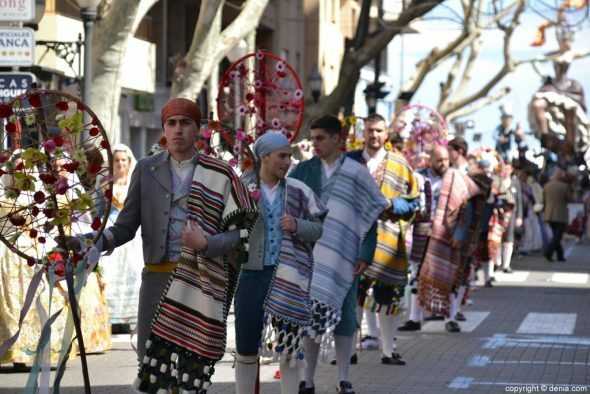 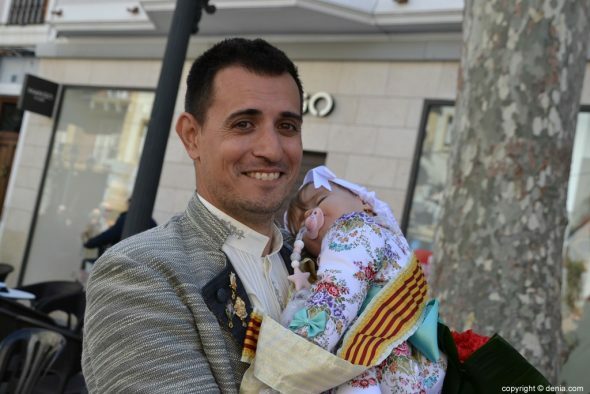 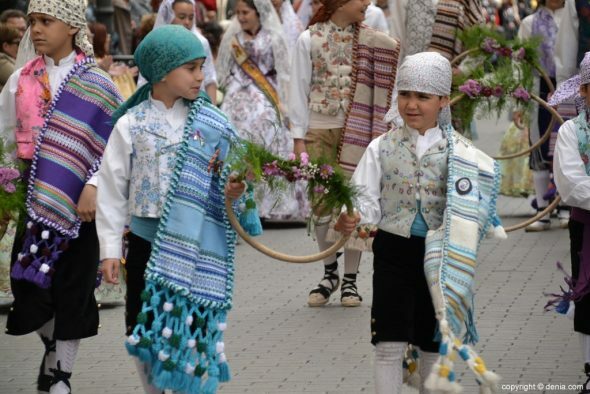 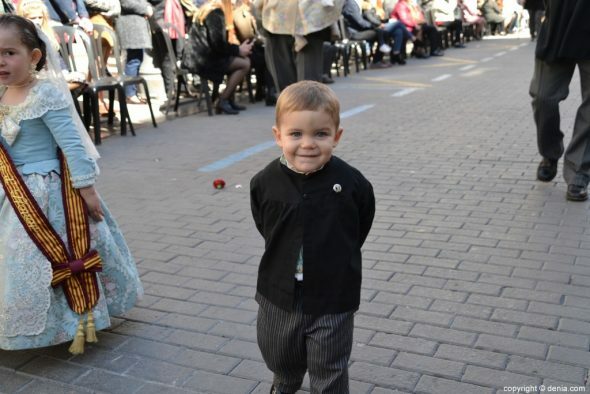 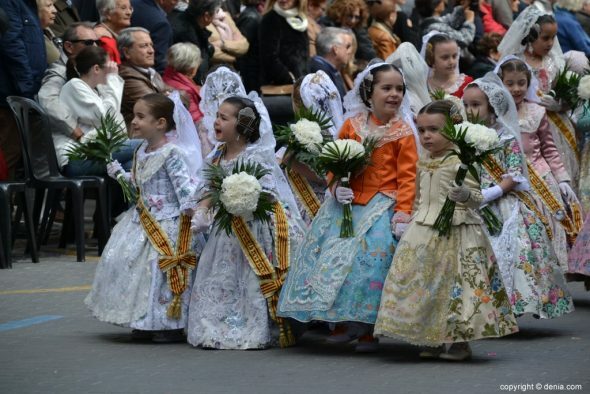 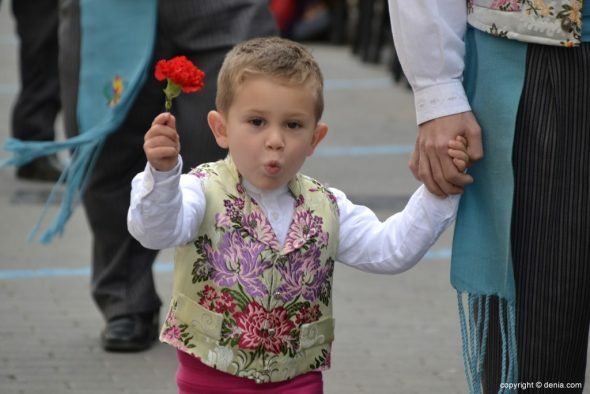 Very cold, yes, in the route of the offering of flowers to the Mare de Déu, in which, for just over two hours, thousands of falleros and falleras of the dianenses commissions paraded to the foot of the cadafal, in the square of the Convent. 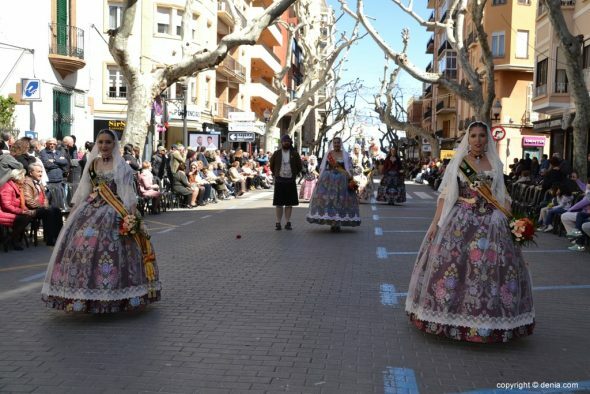 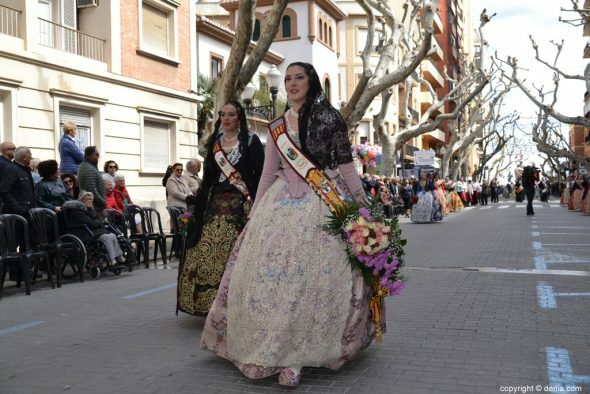 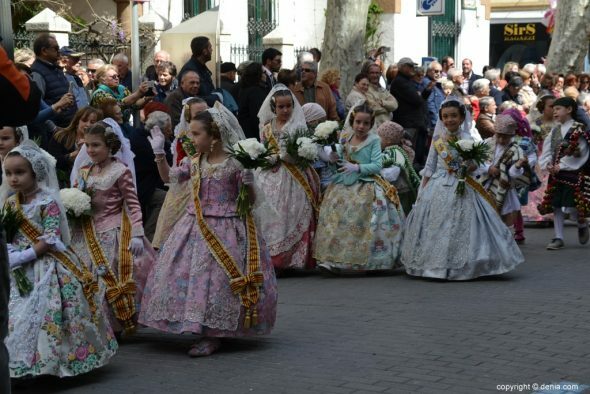 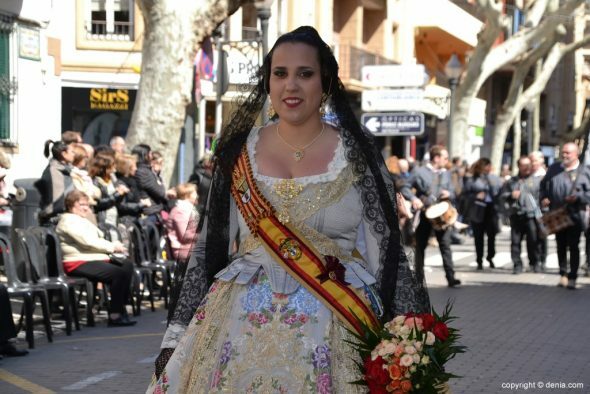 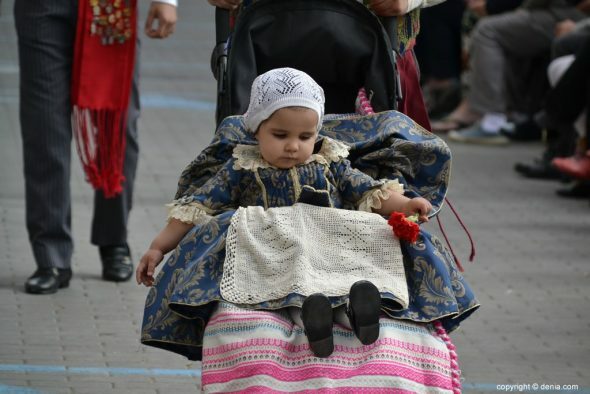 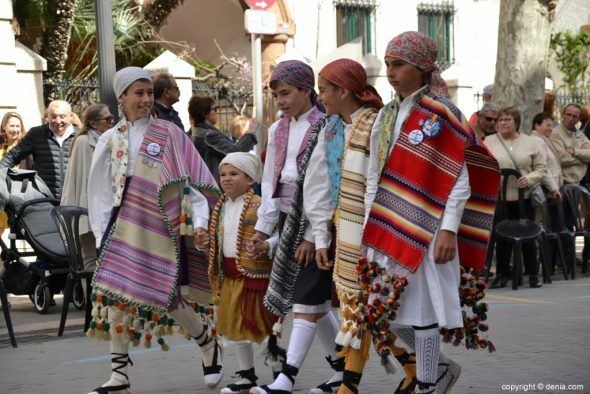 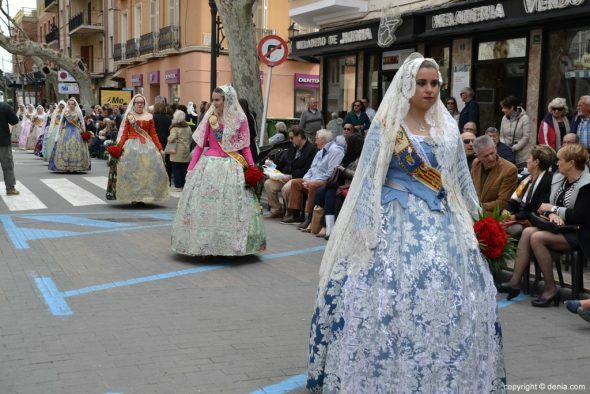 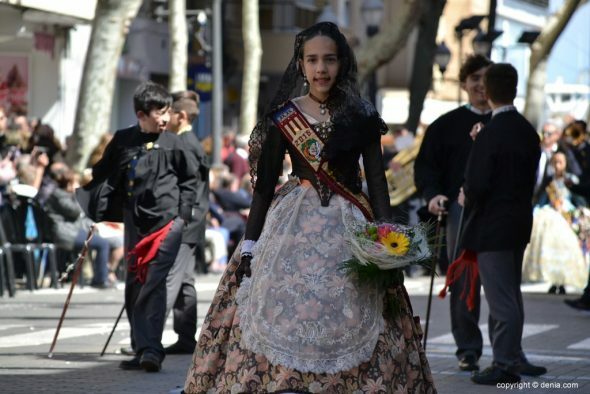 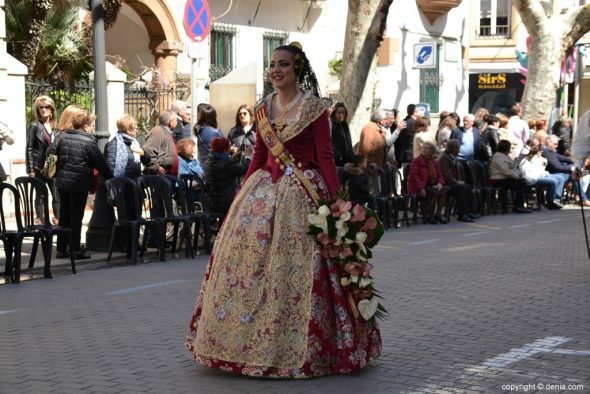 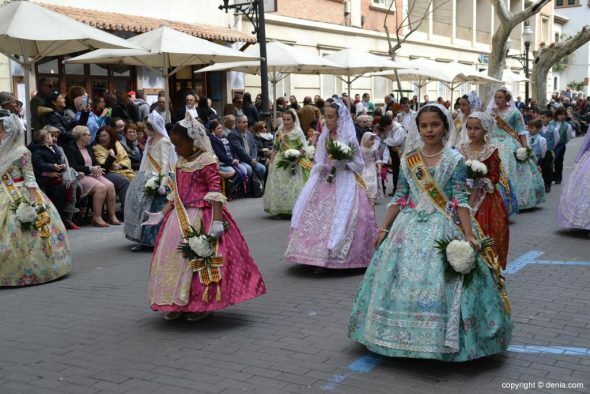 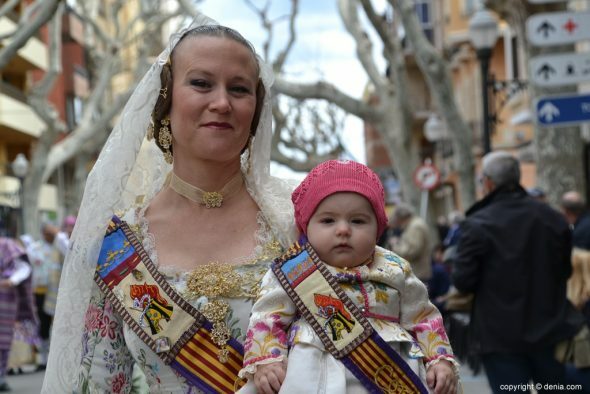 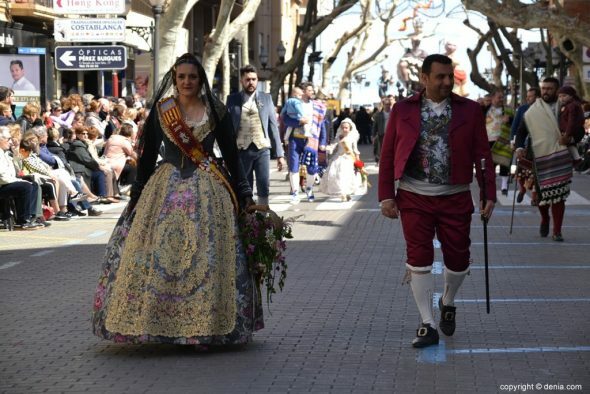 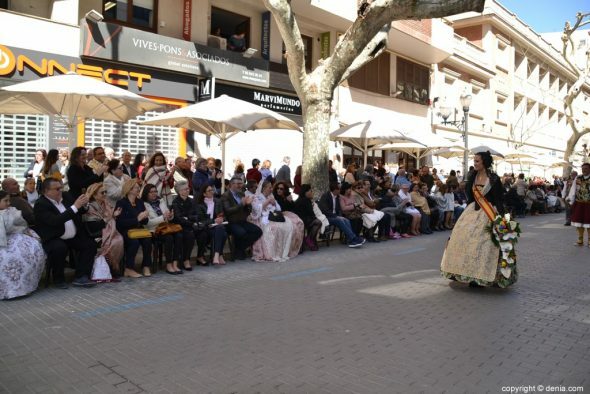 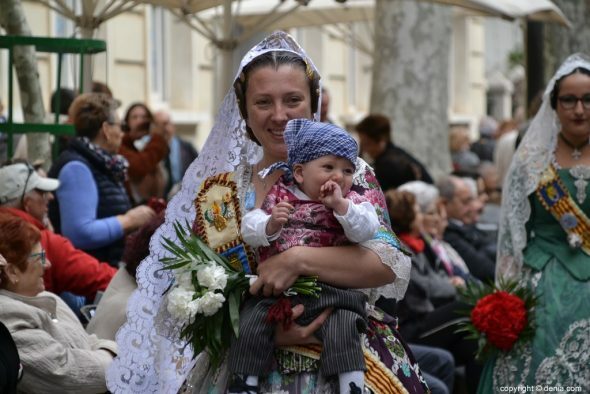 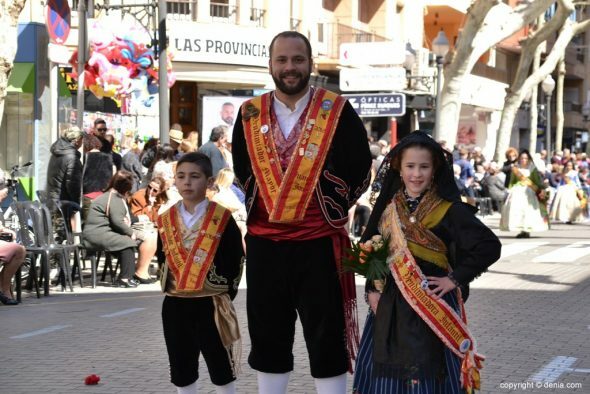 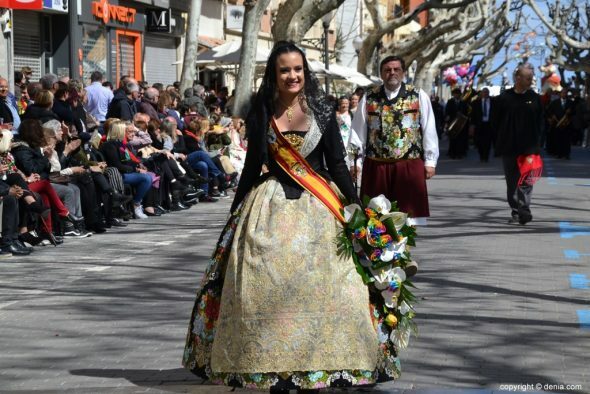 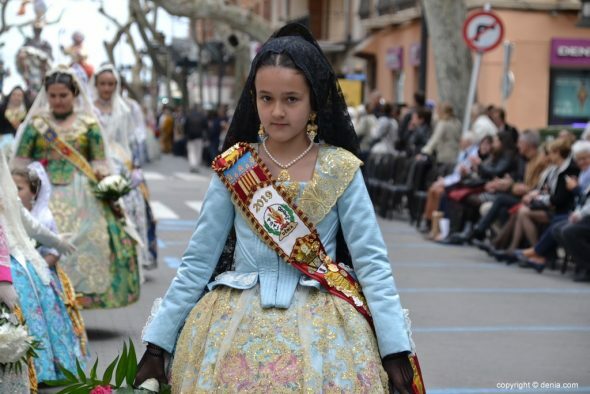 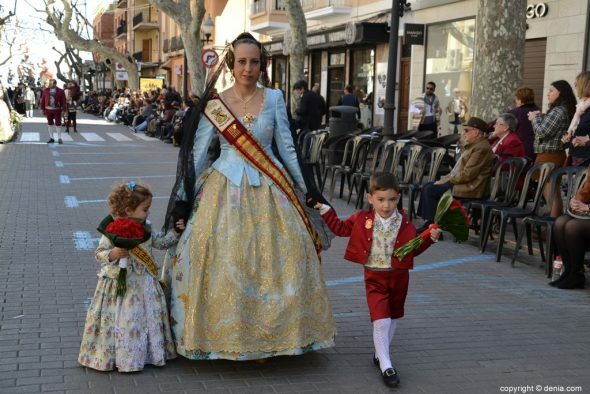 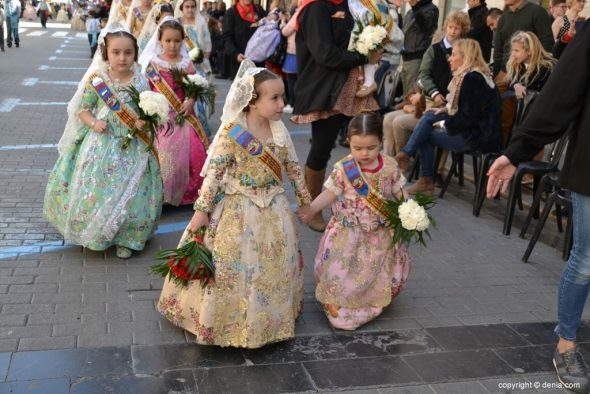 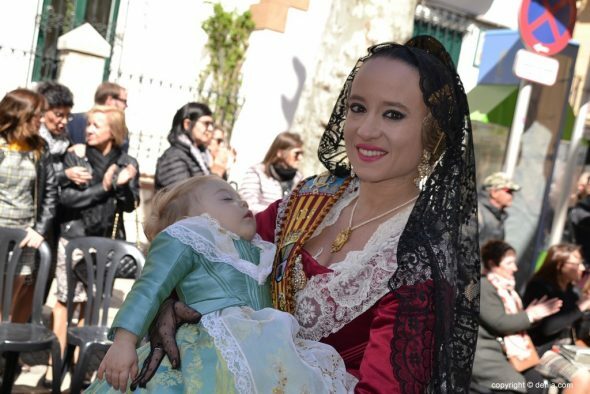 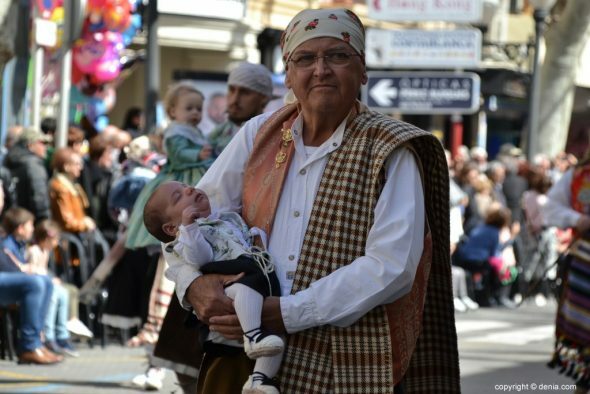 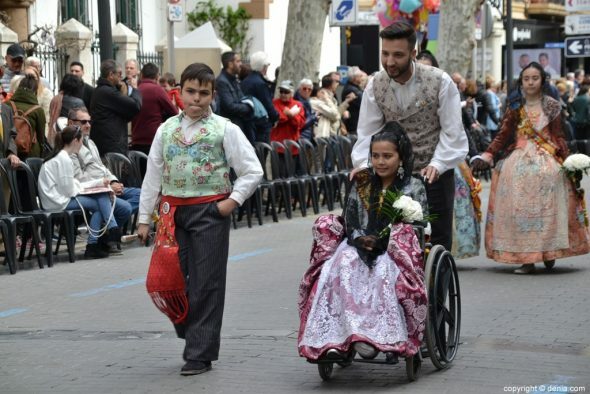 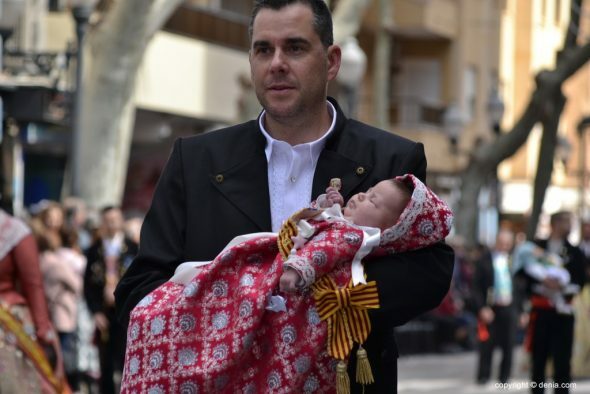 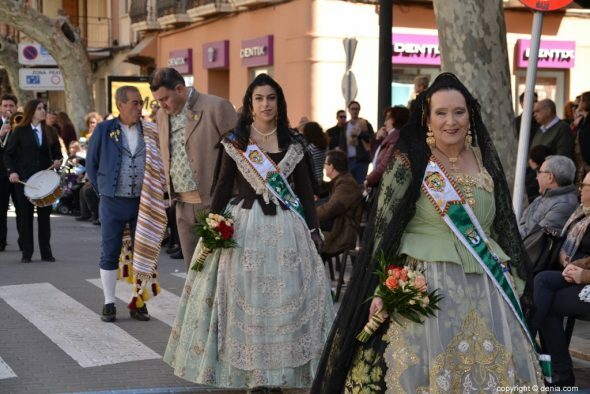 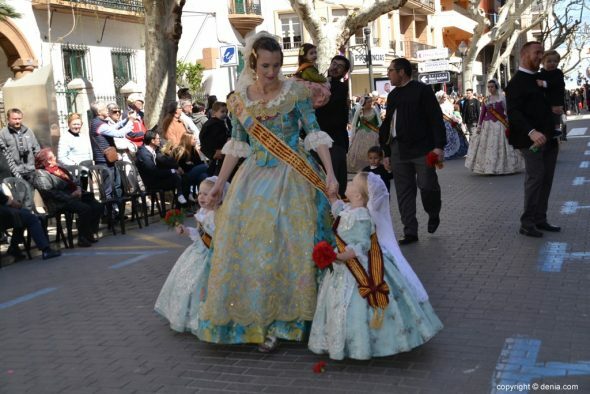 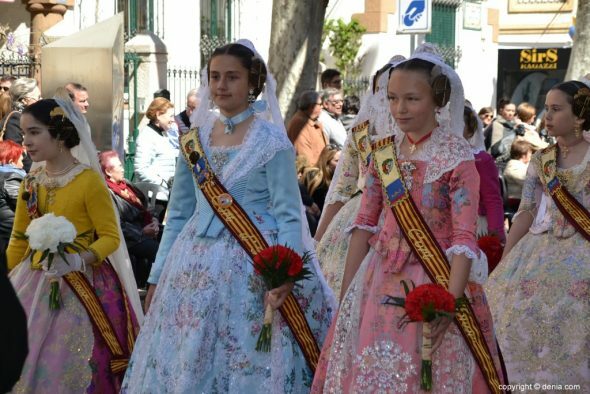 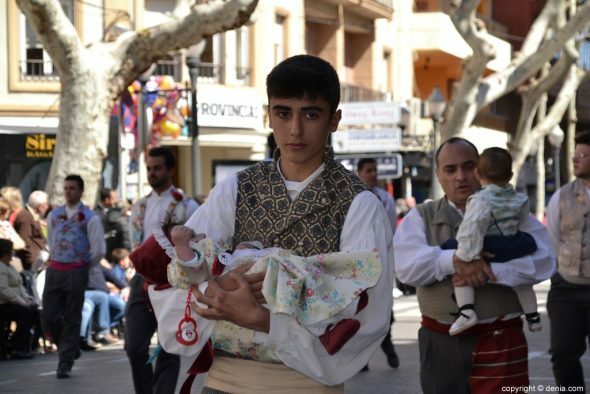 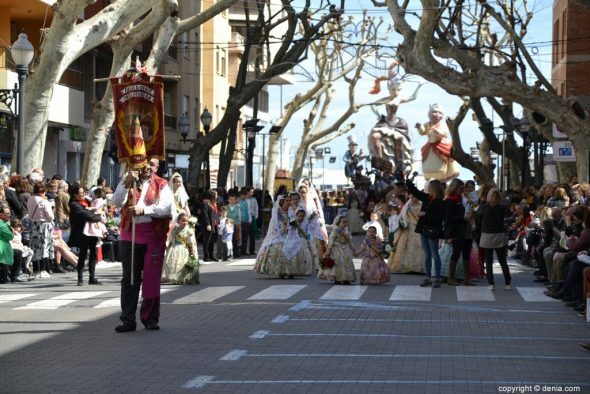 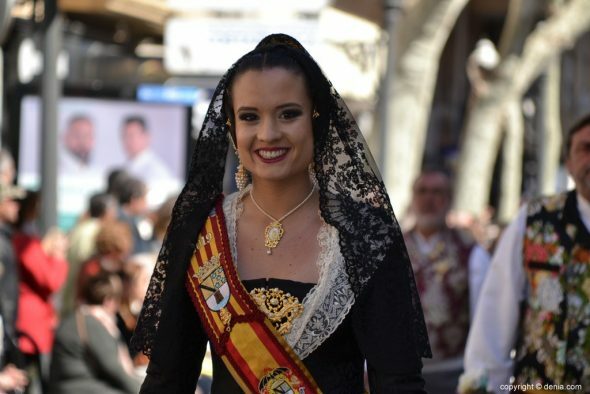 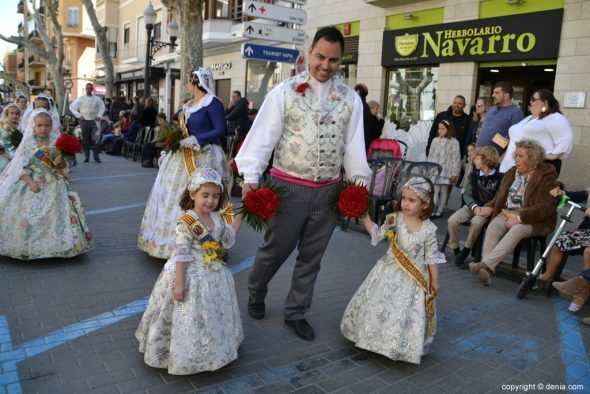 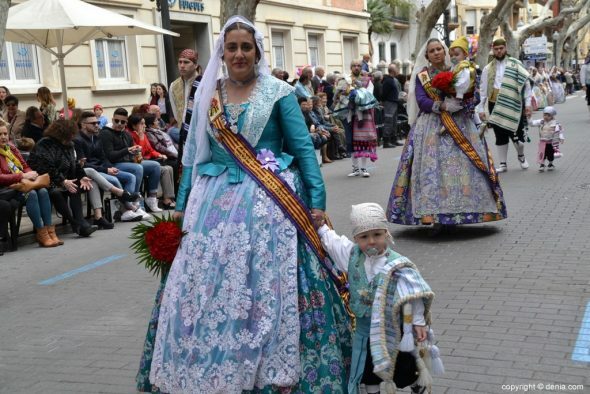 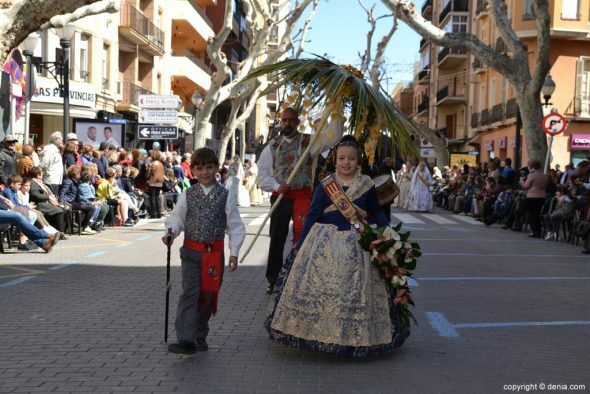 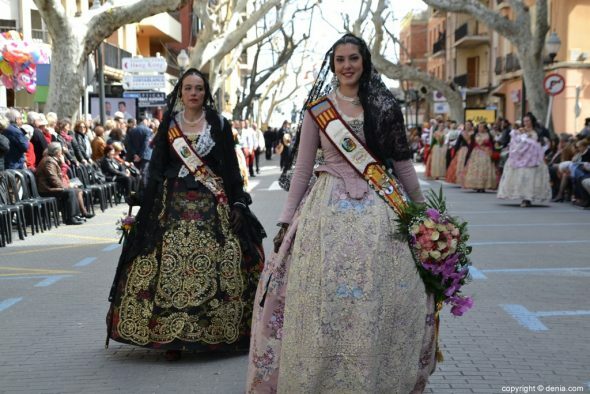 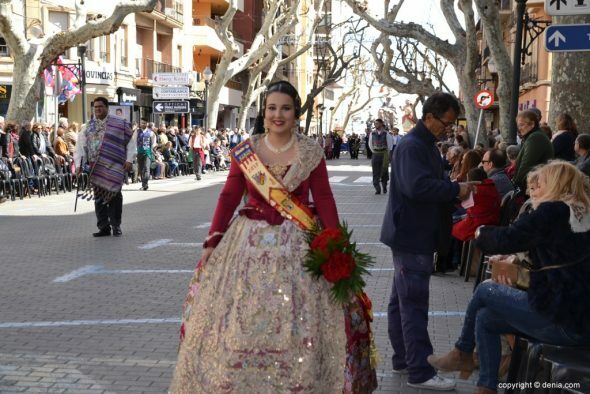 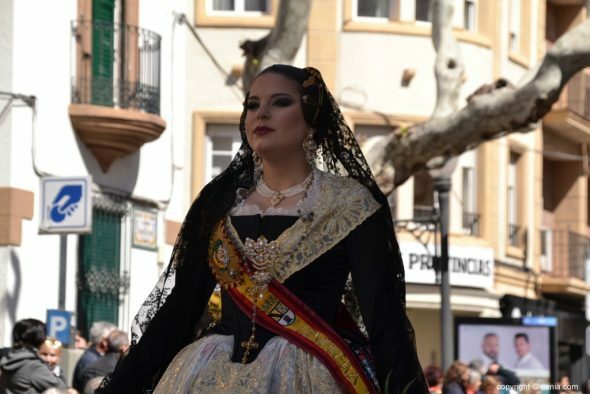 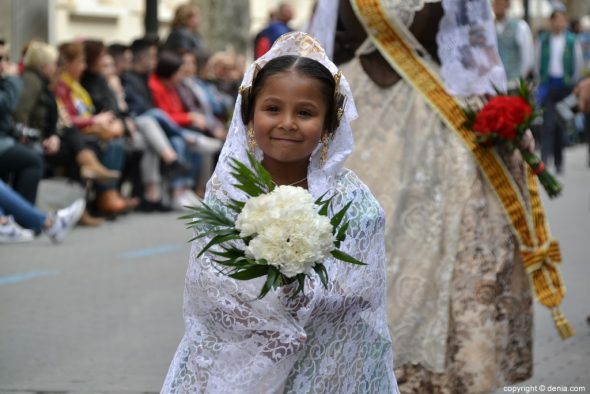 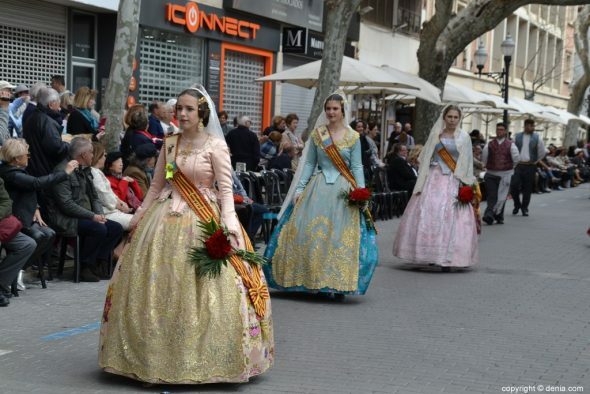 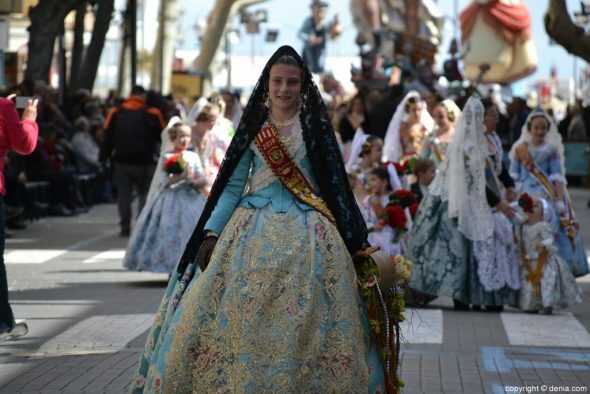 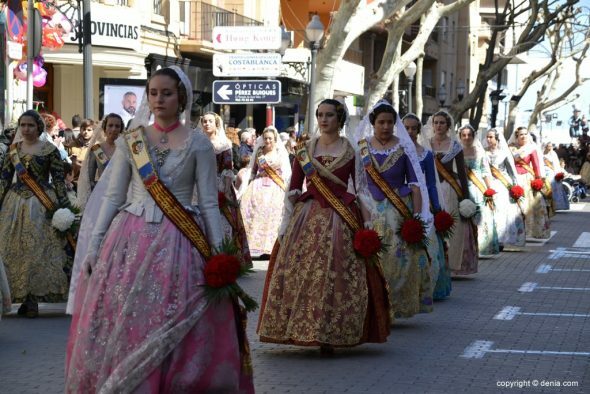 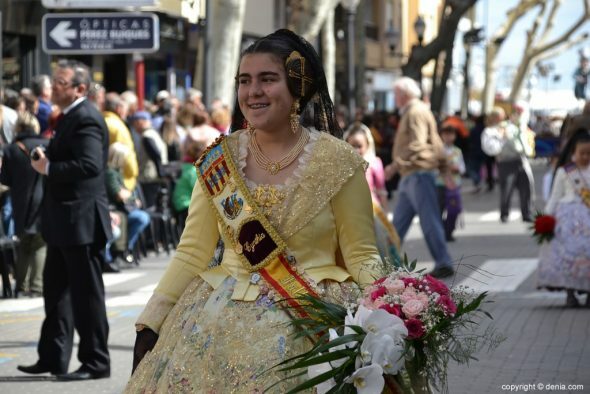 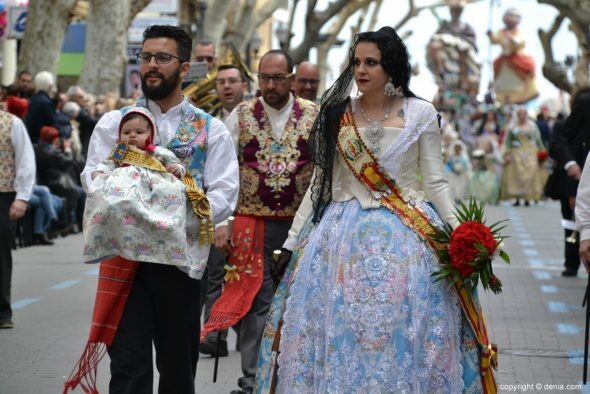 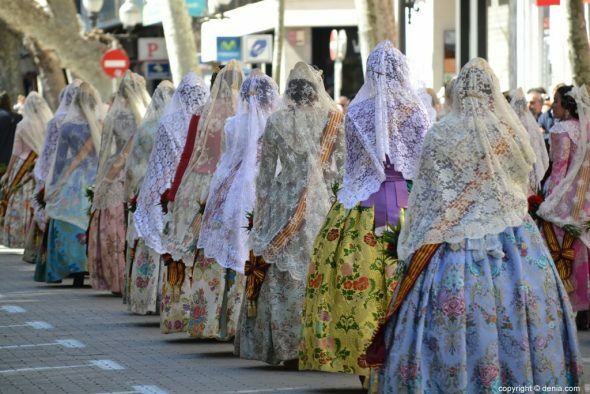 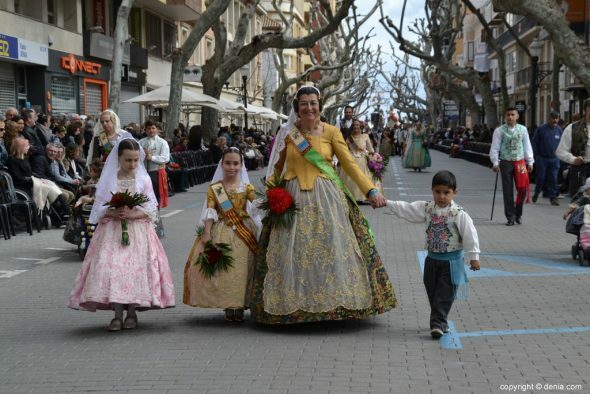 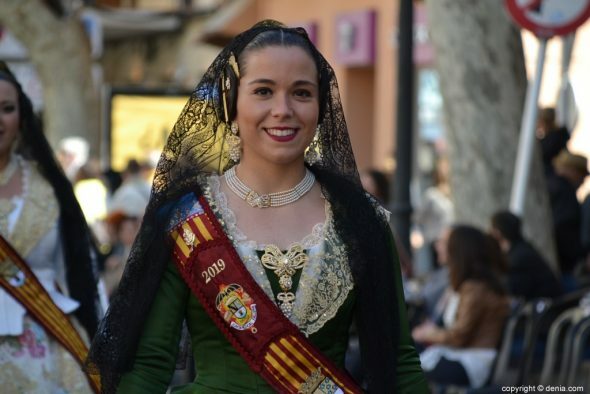 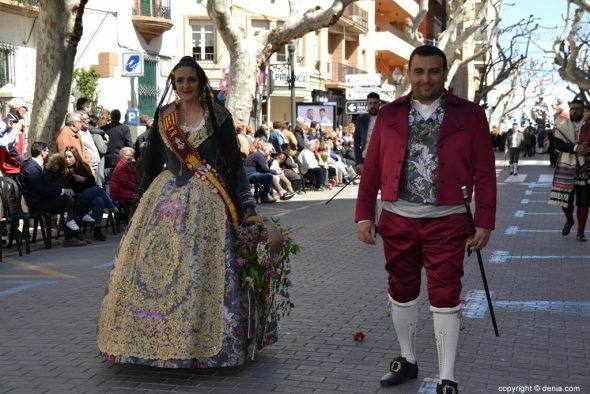 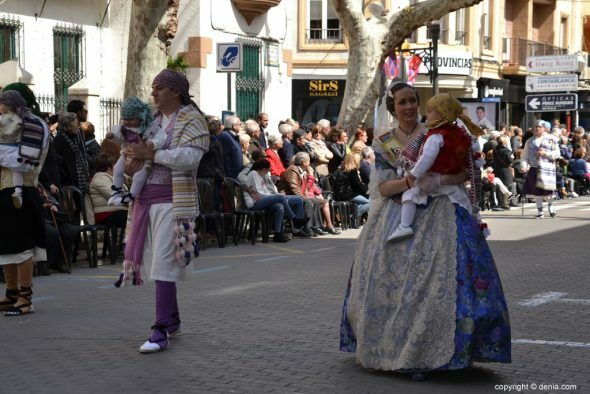 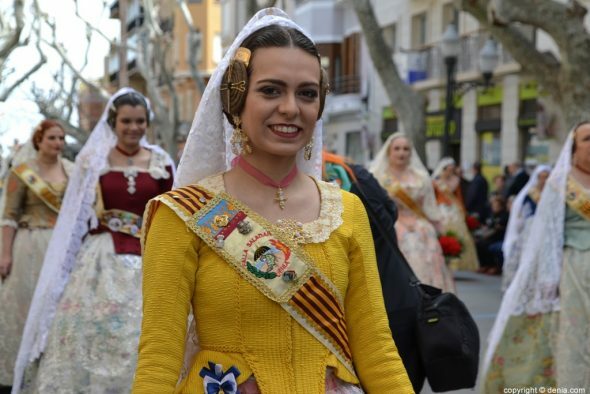 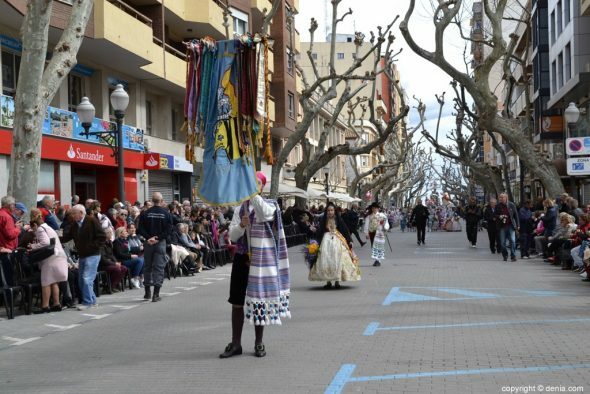 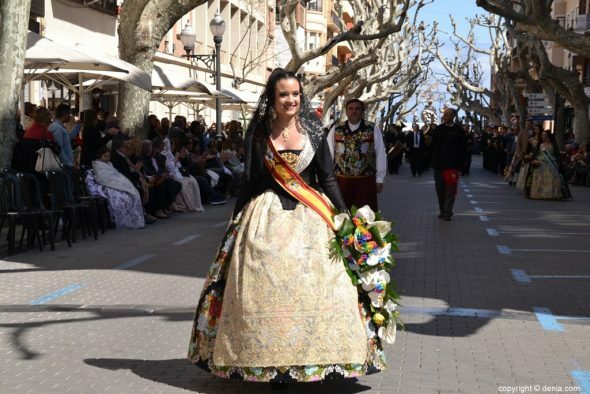 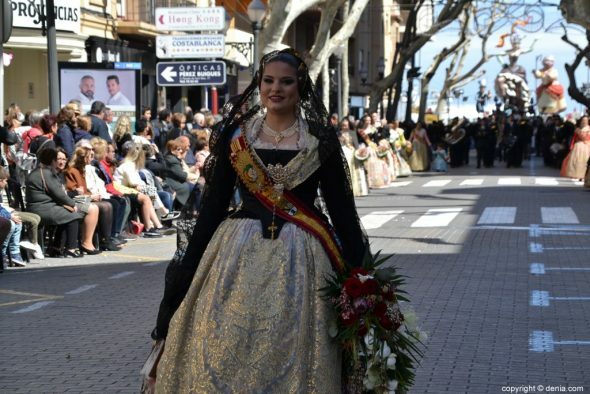 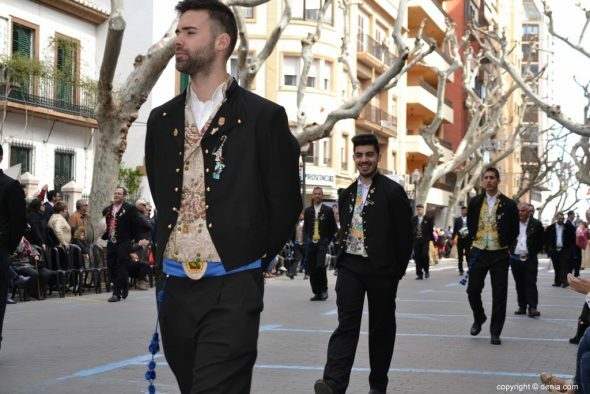 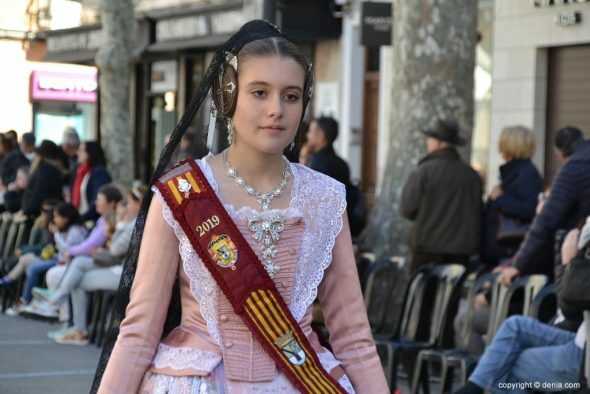 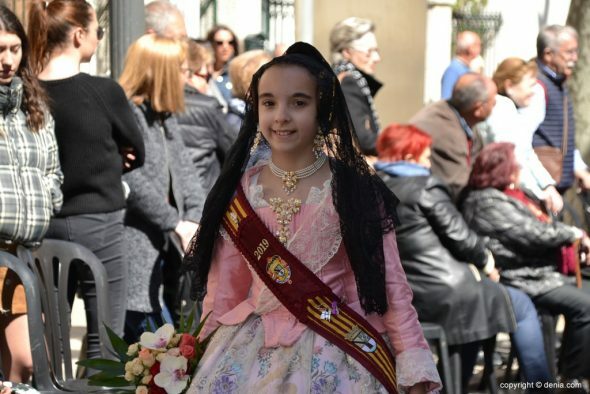 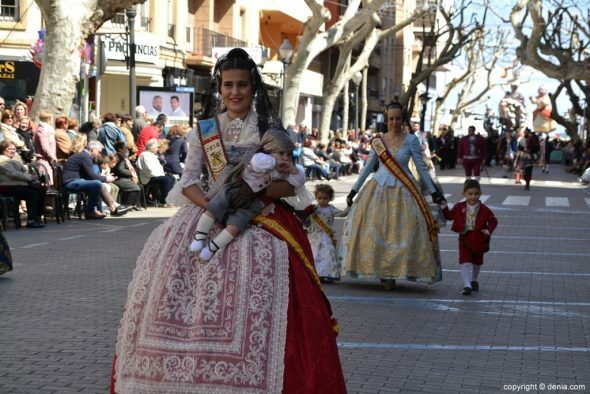 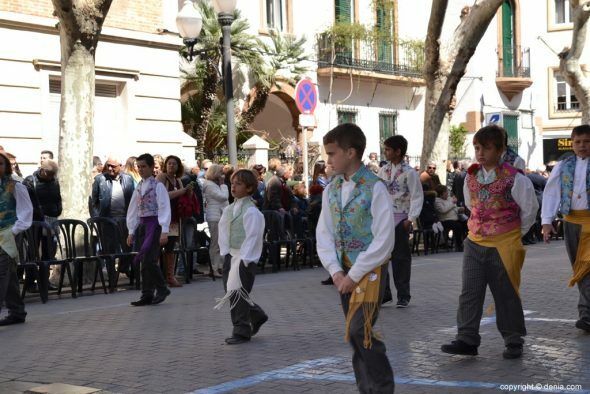 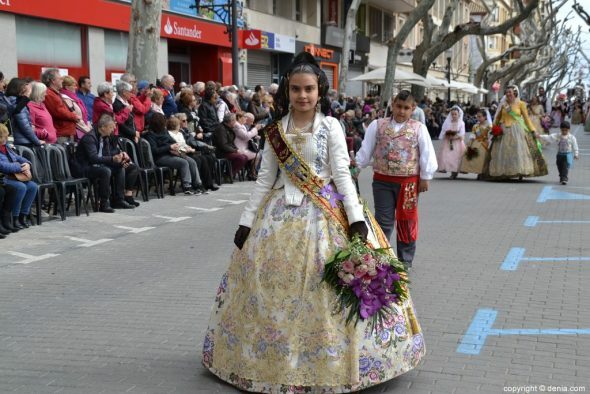 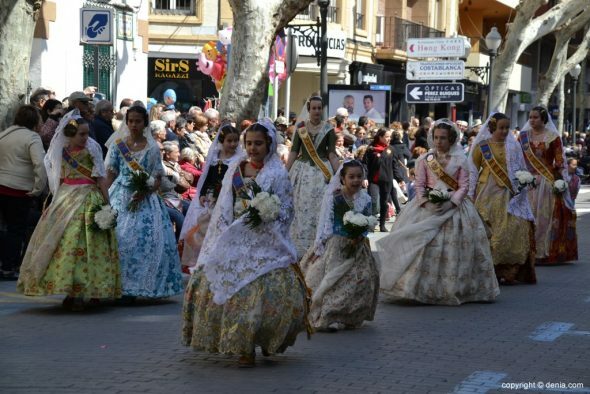 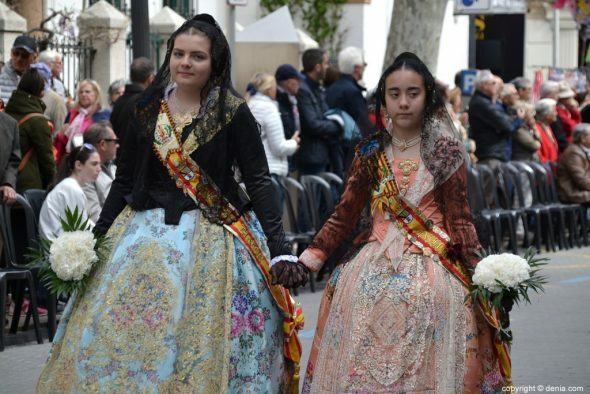 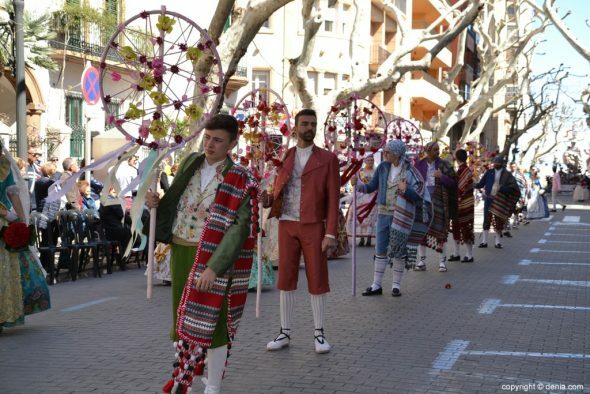 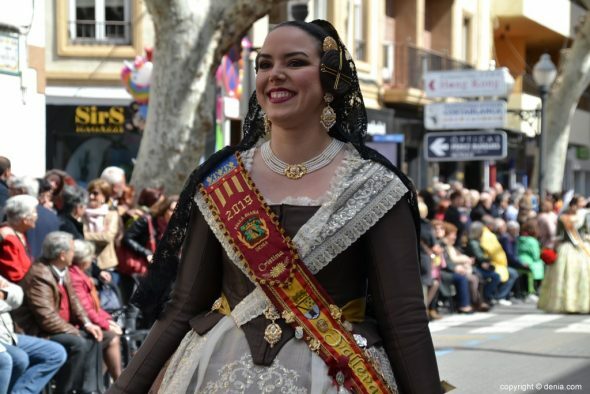 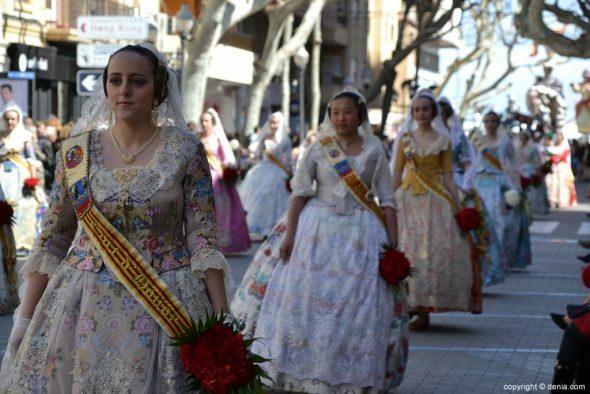 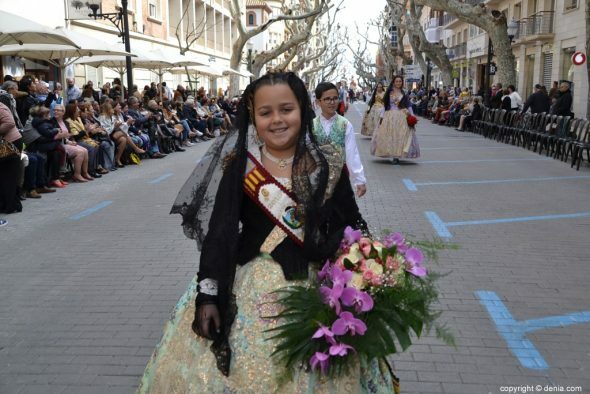 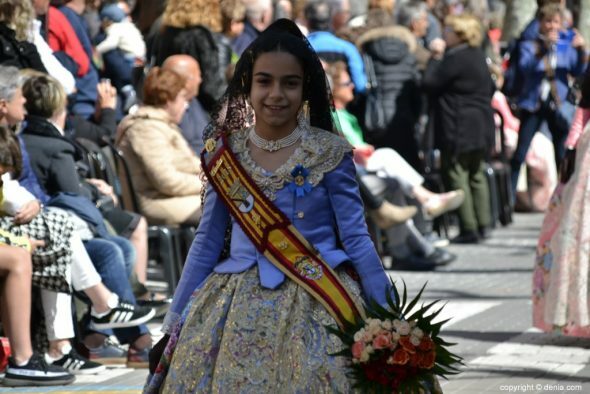 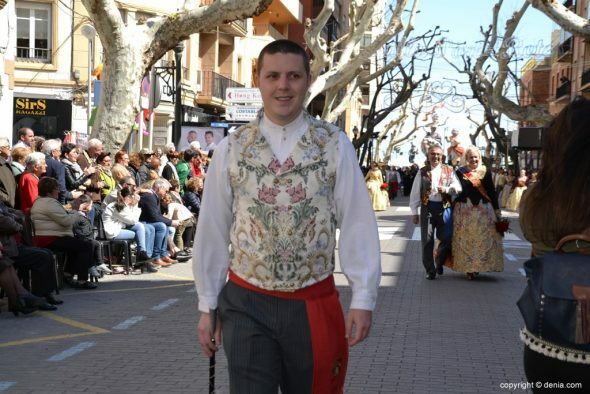 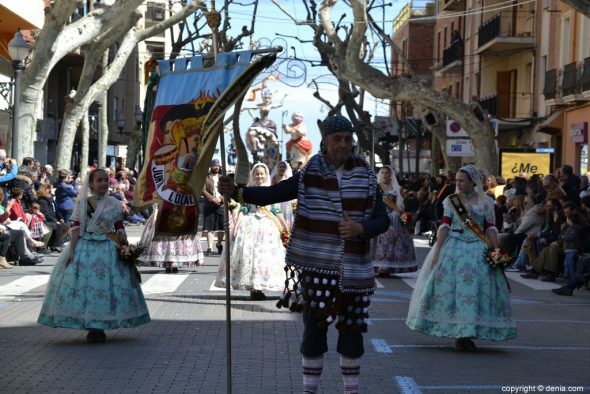 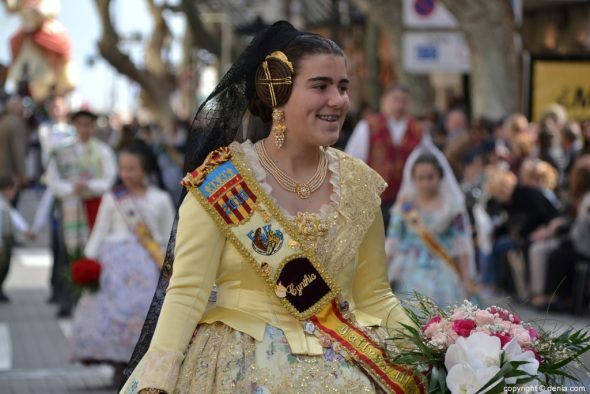 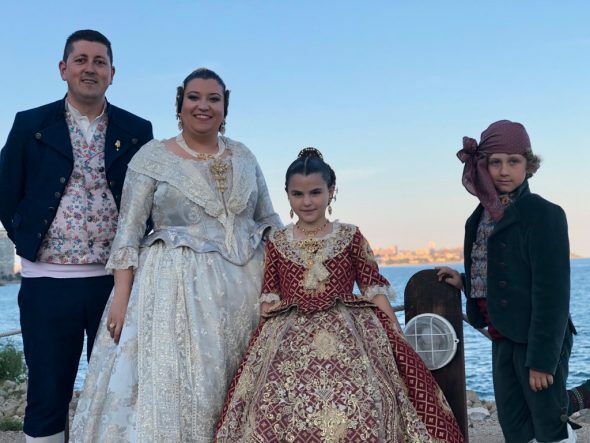 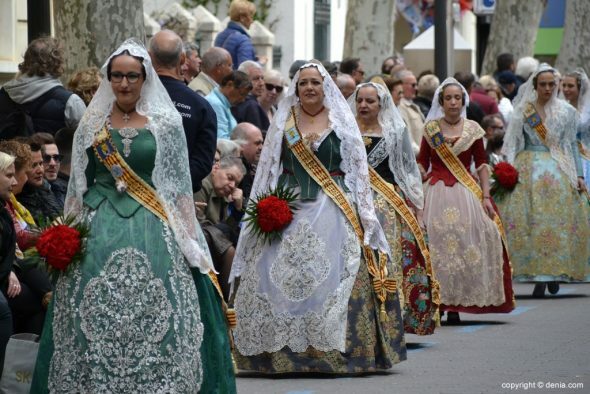 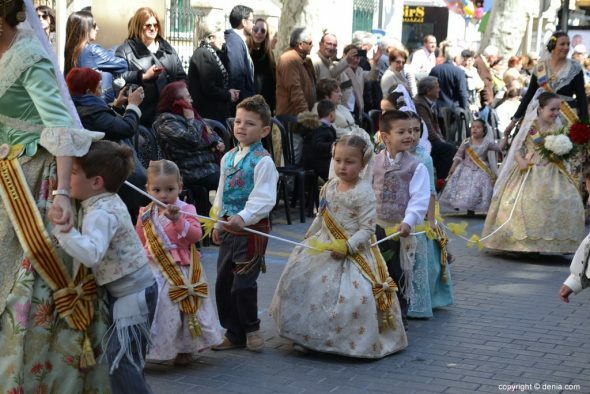 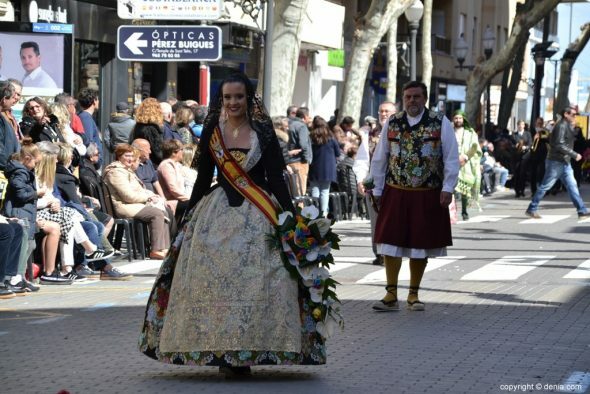 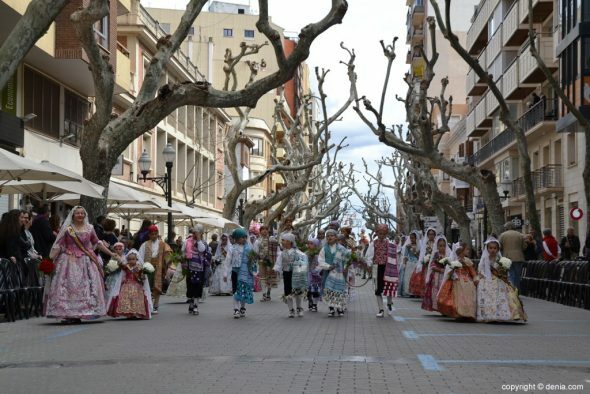 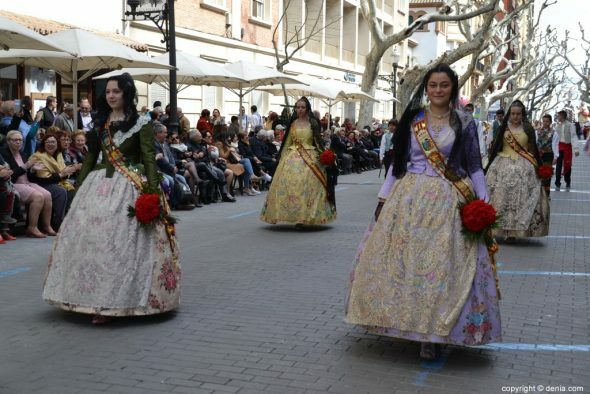 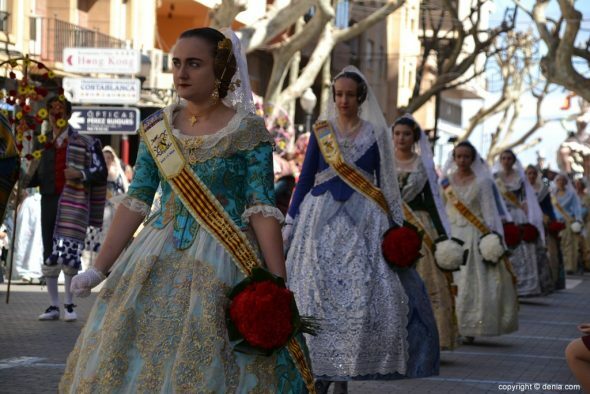 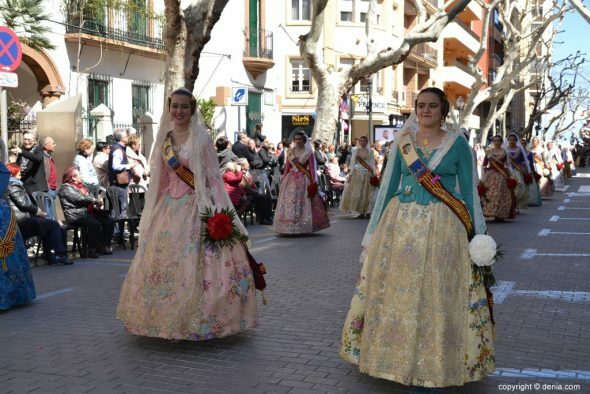 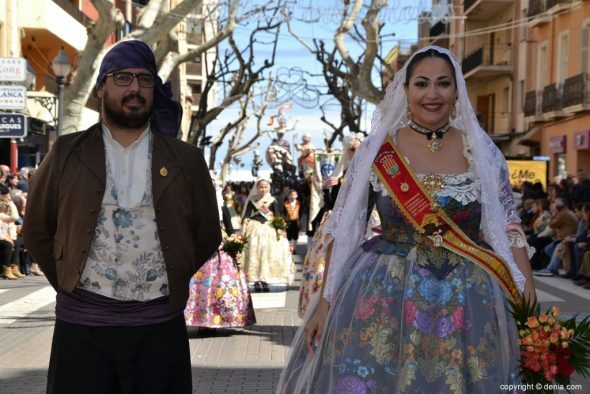 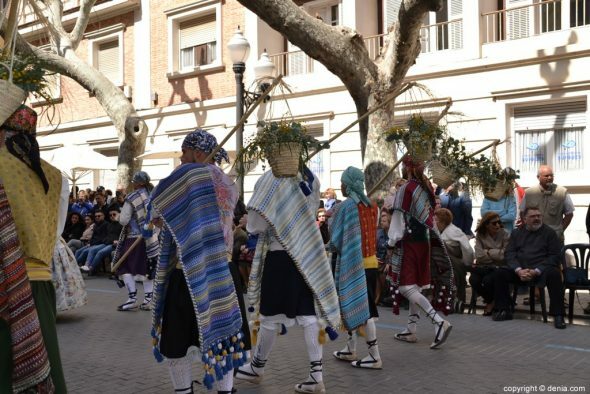 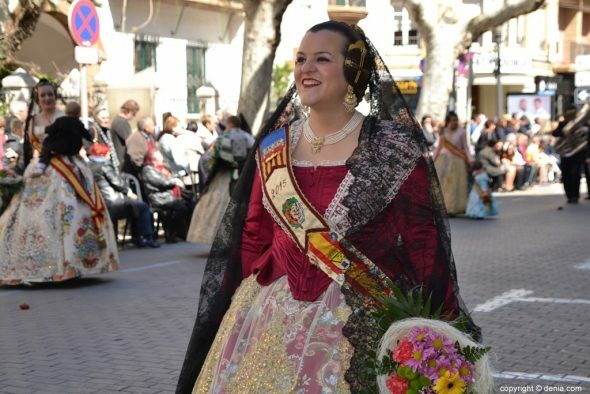 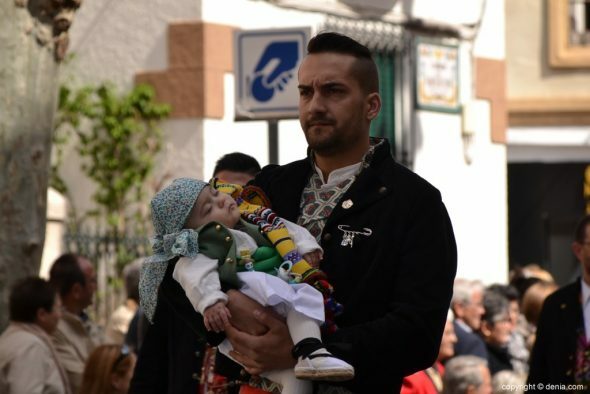 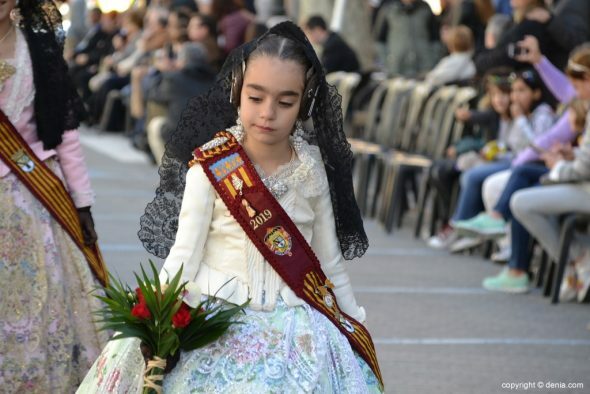 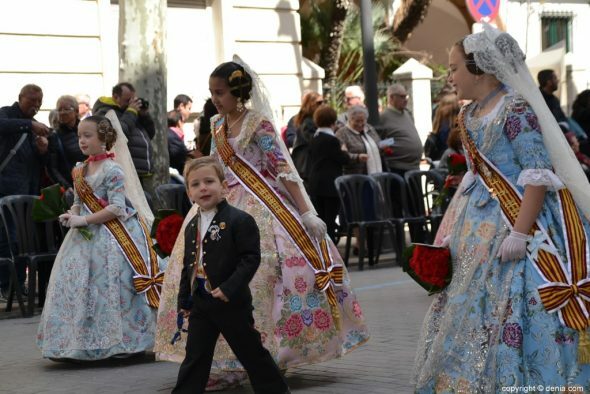 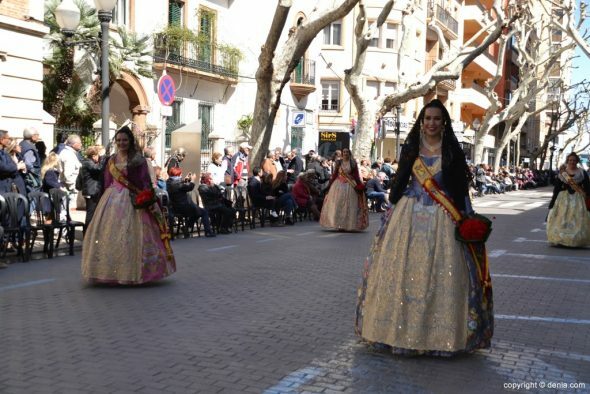 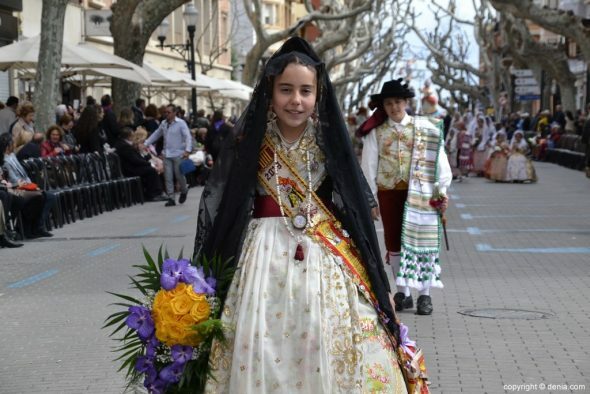 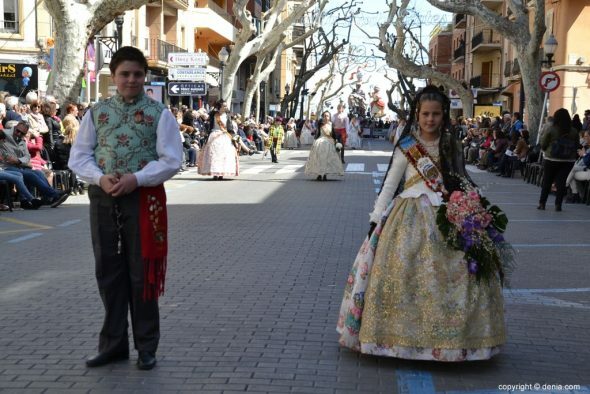 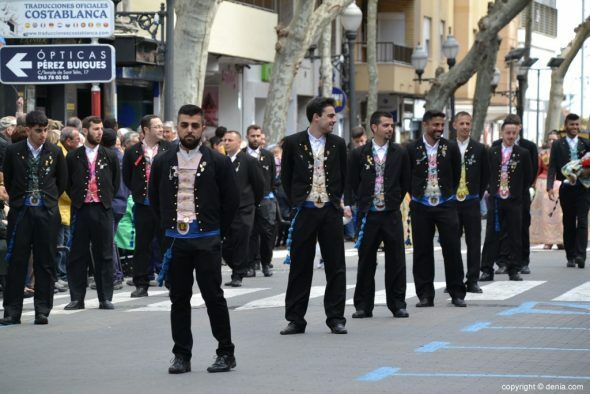 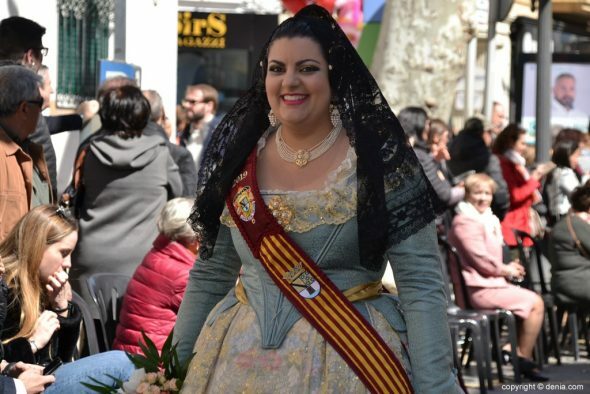 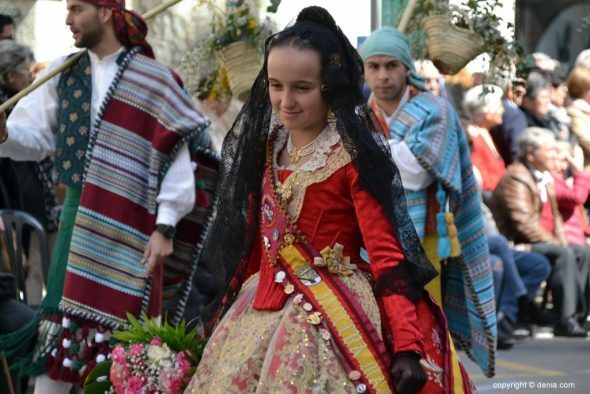 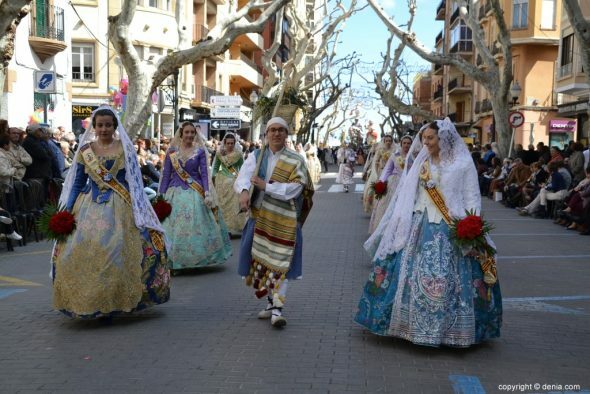 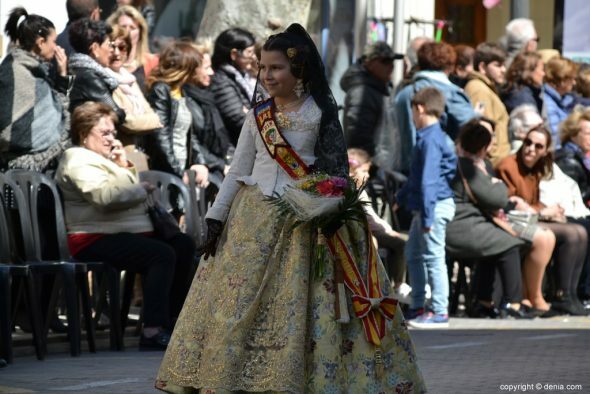 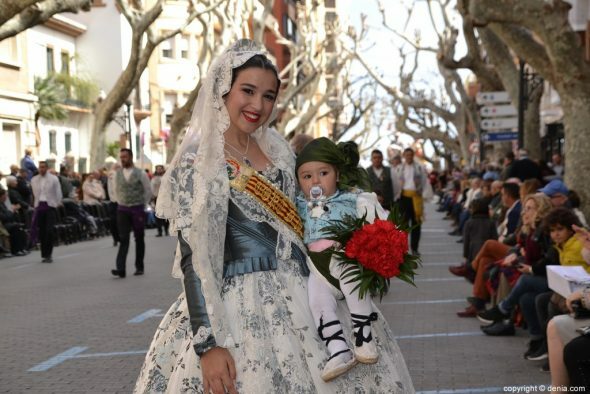 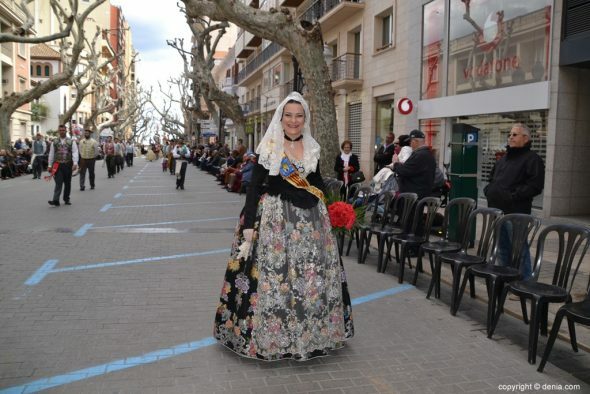 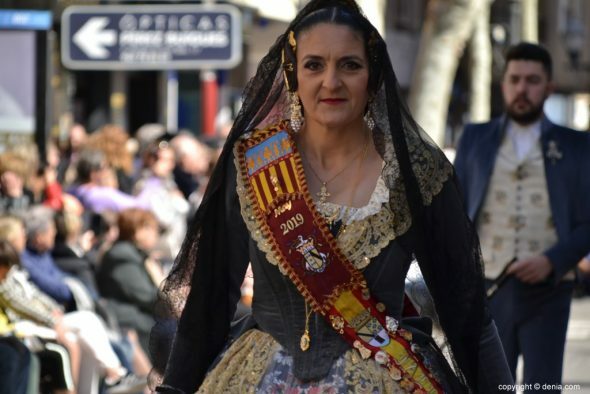 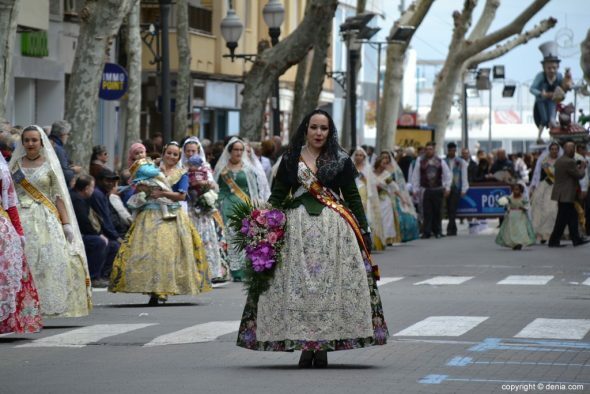 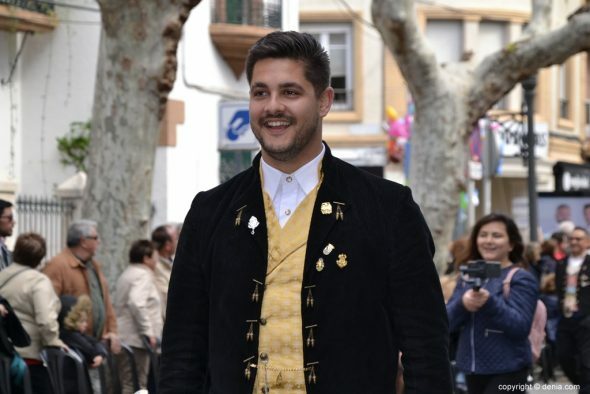 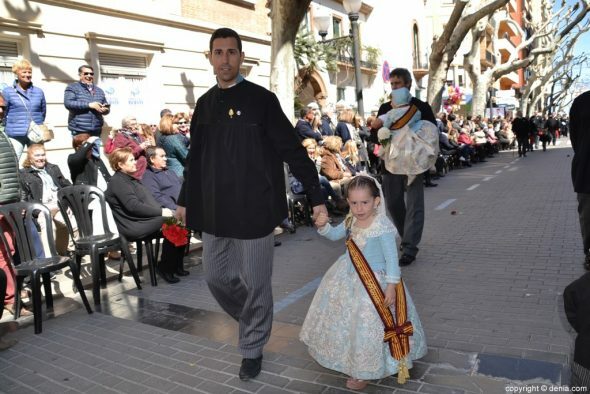 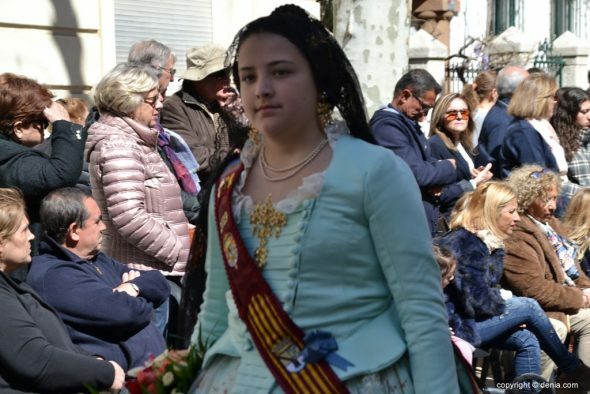 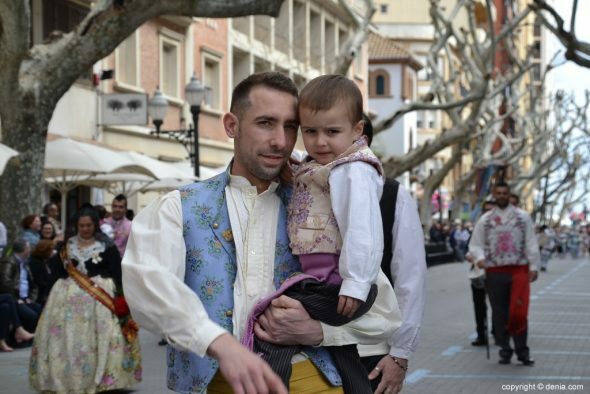 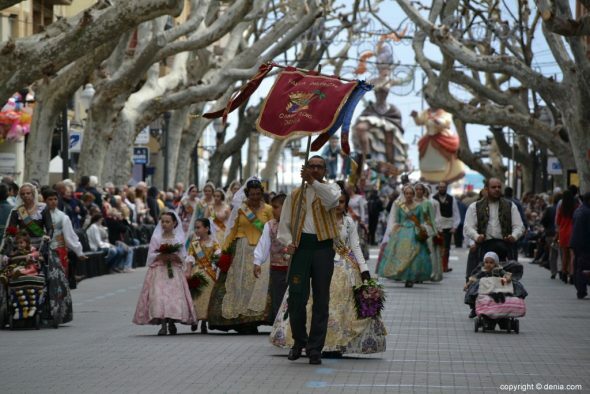 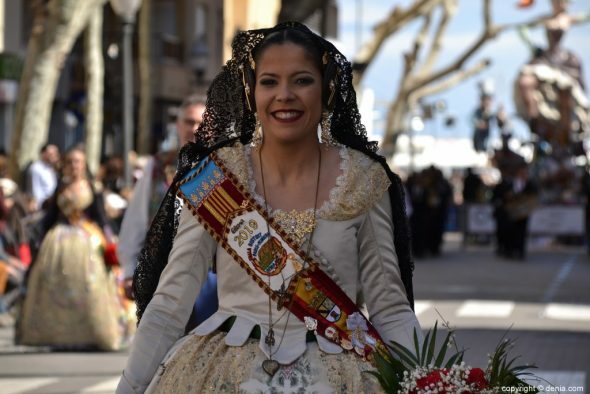 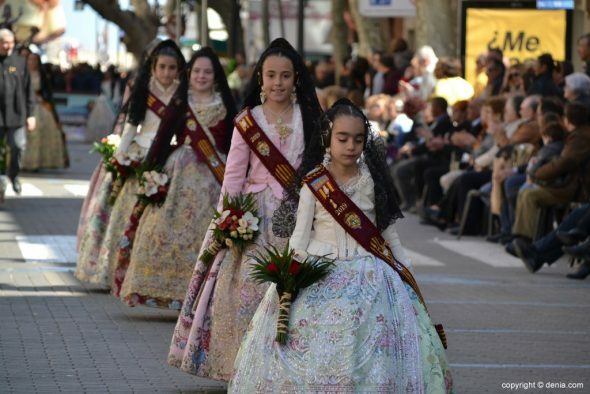 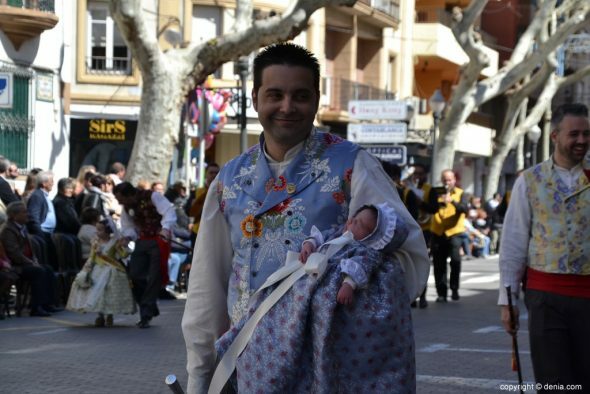 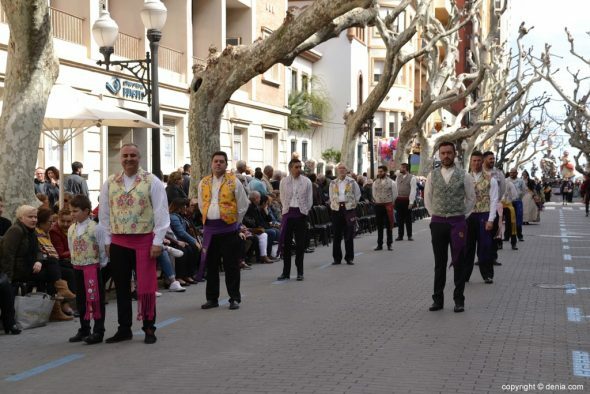 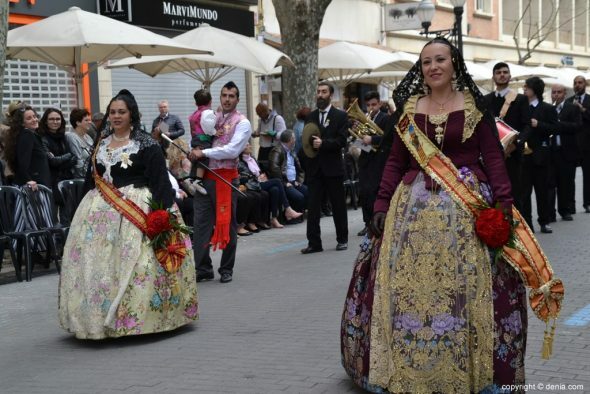 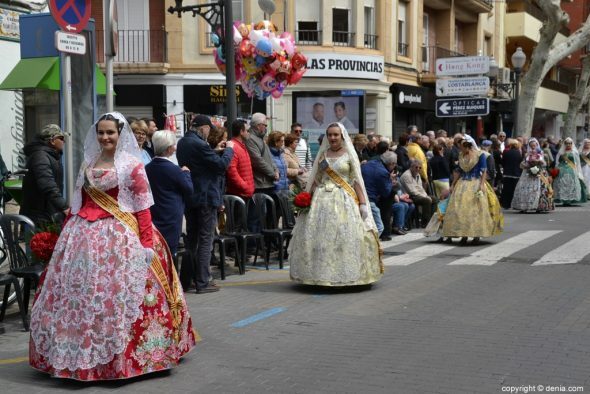 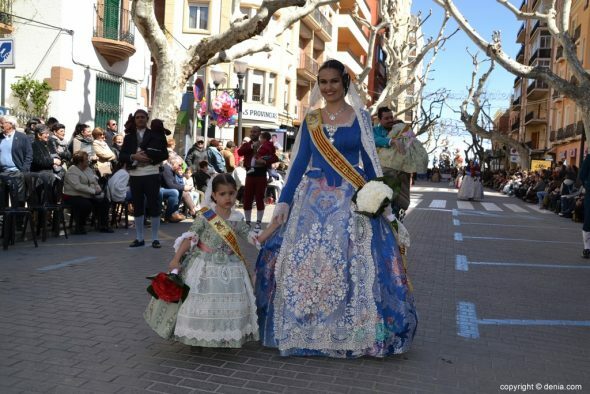 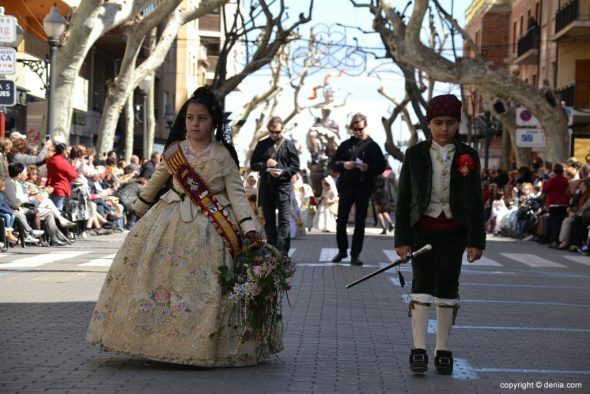 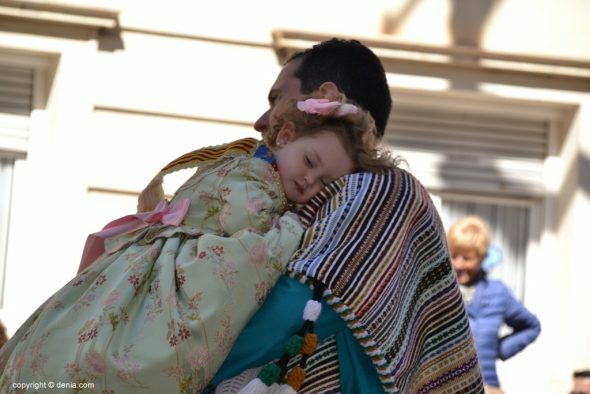 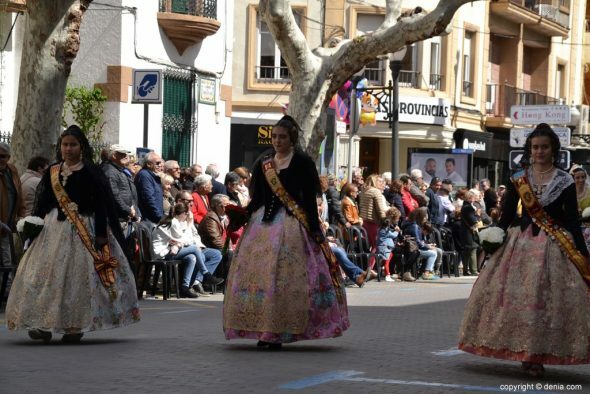 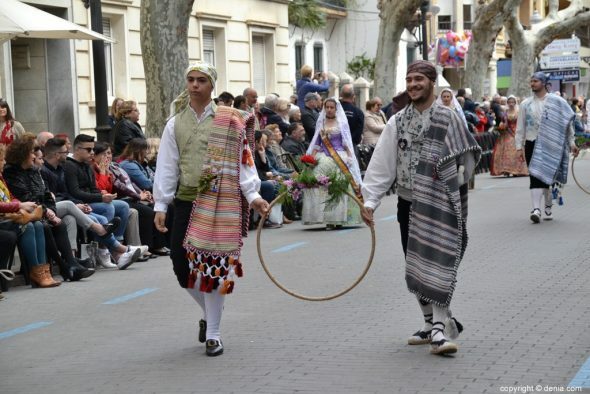 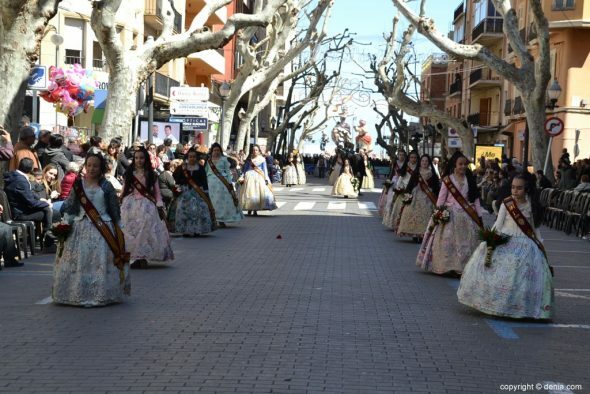 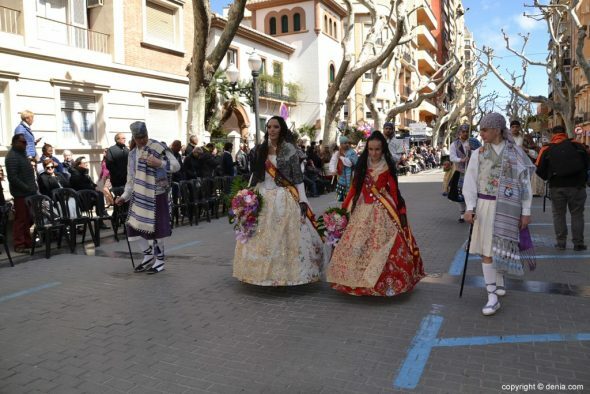 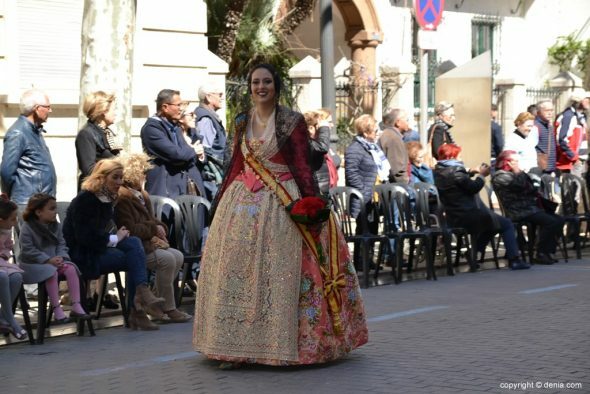 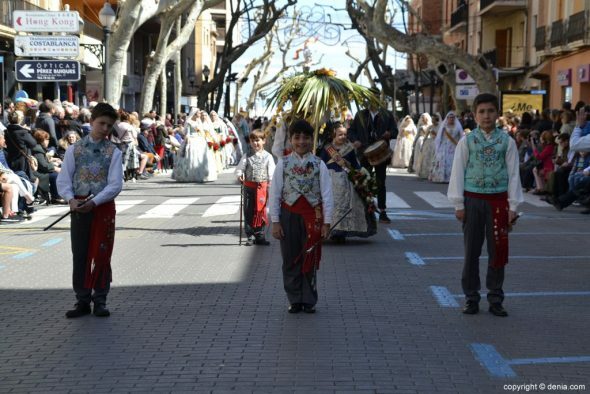 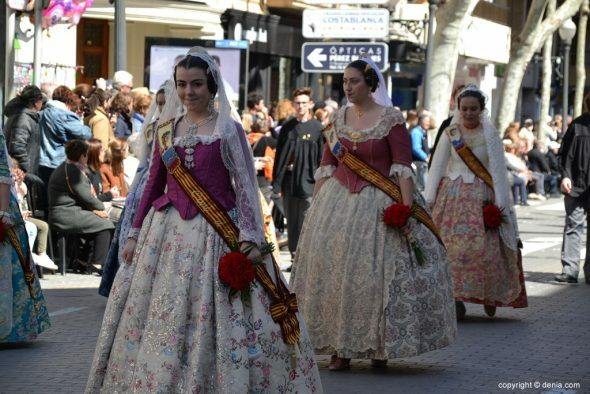 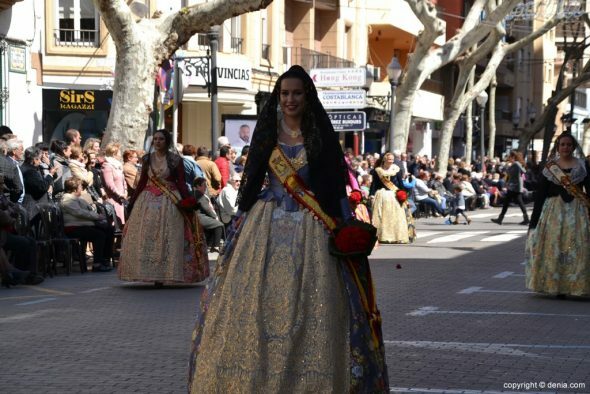 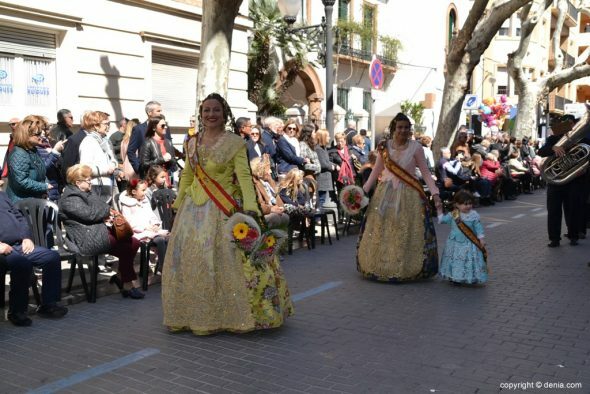 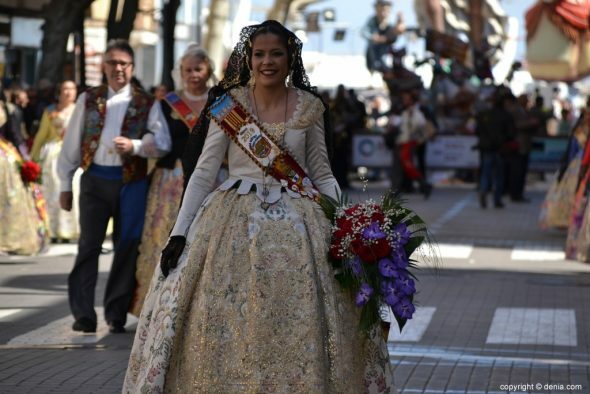 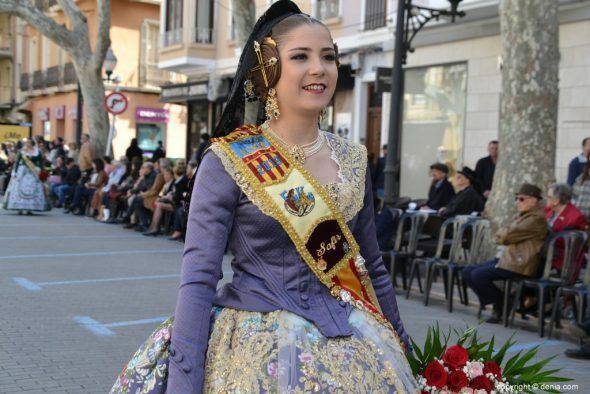 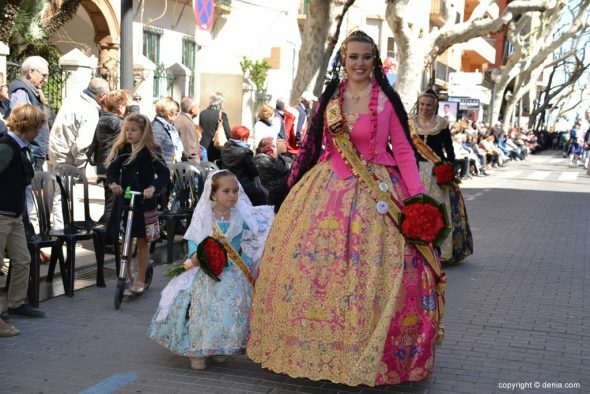 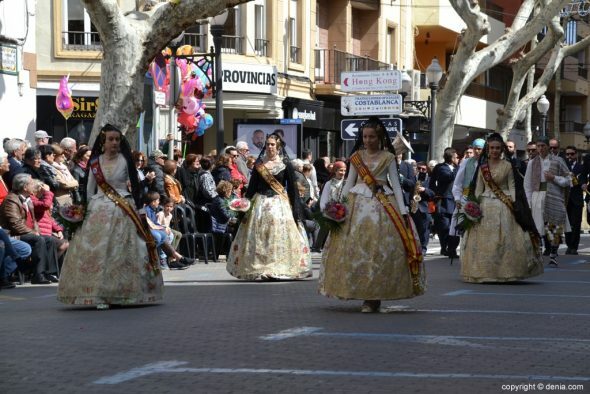 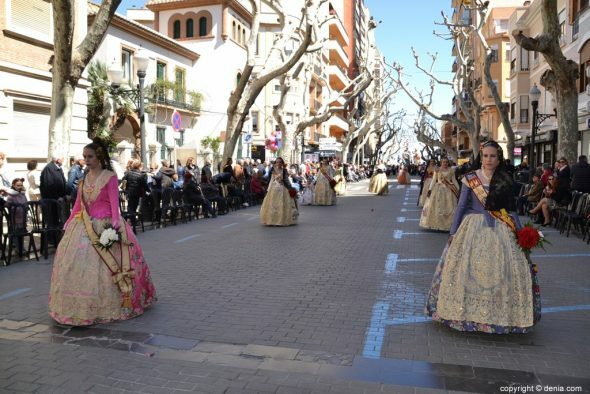 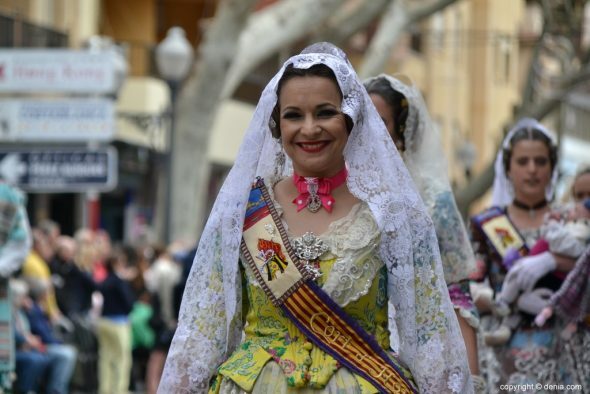 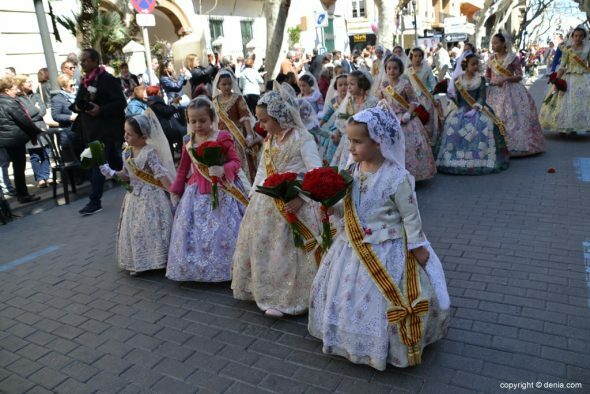 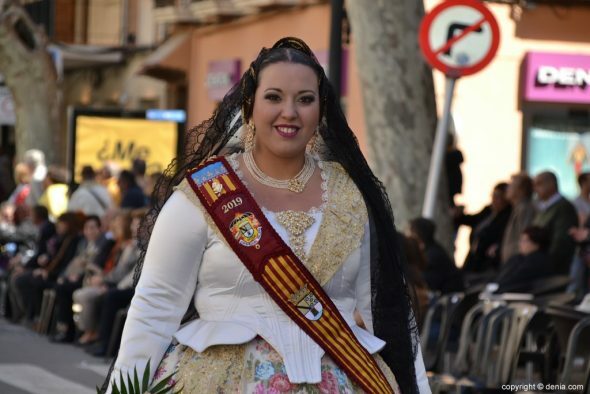 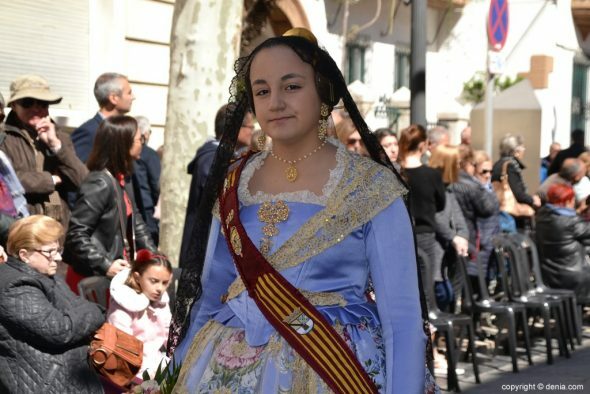 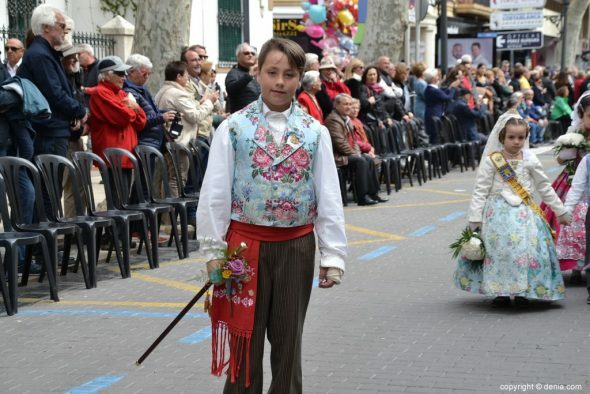 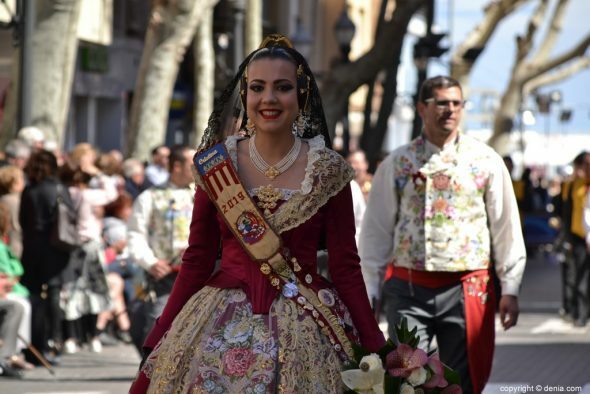 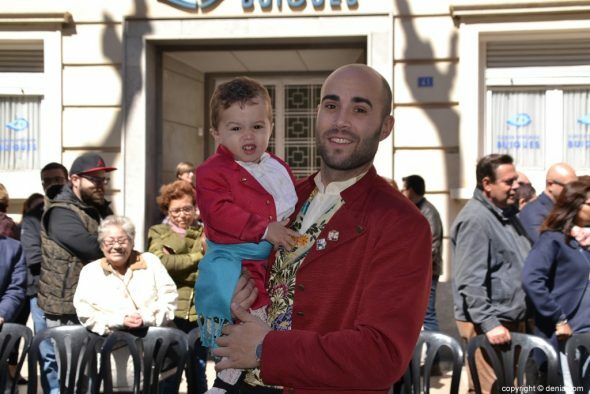 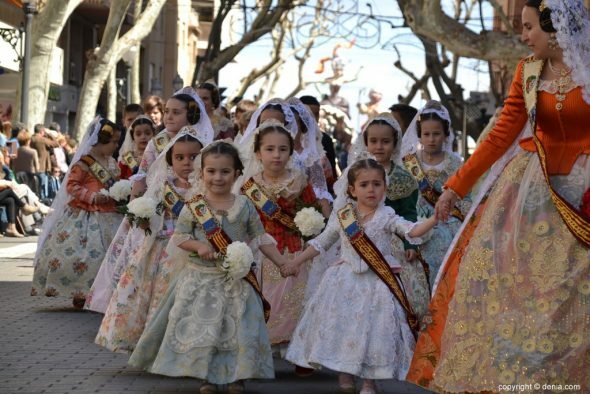 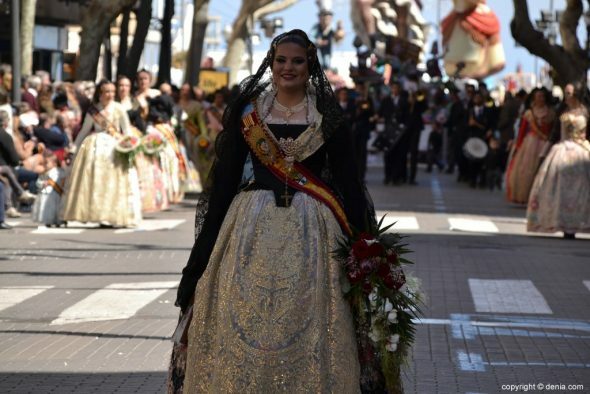 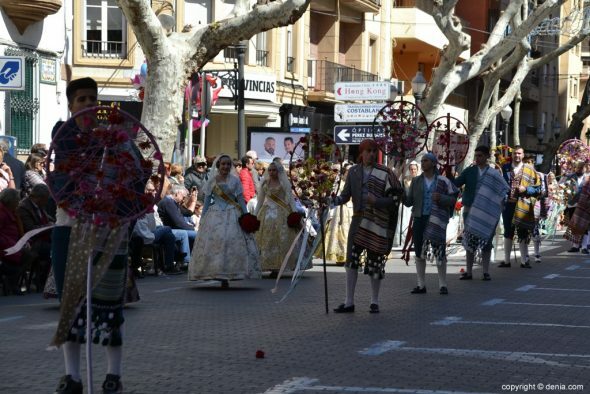 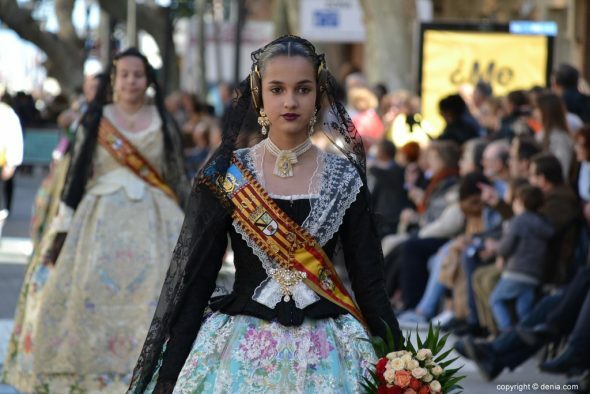 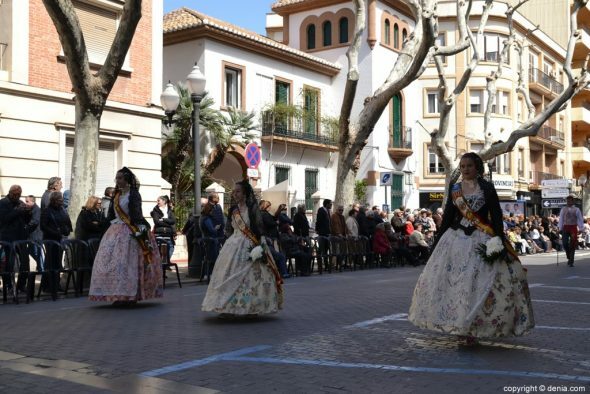 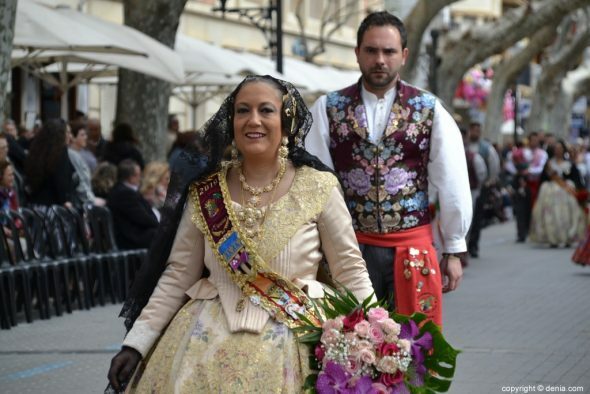 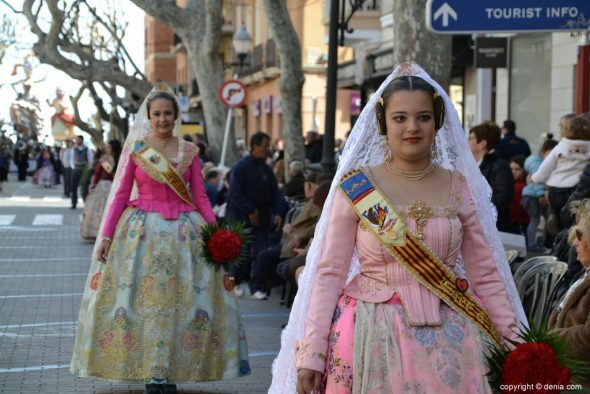 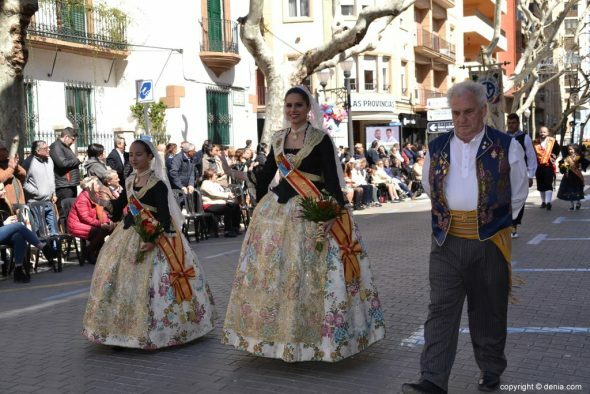 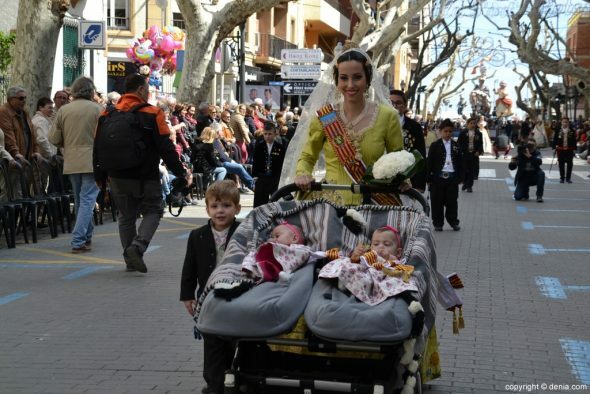 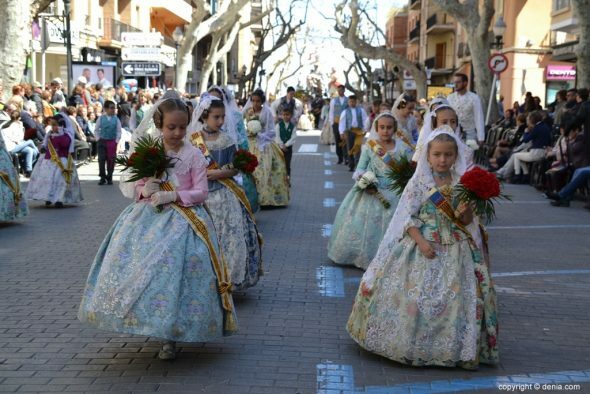 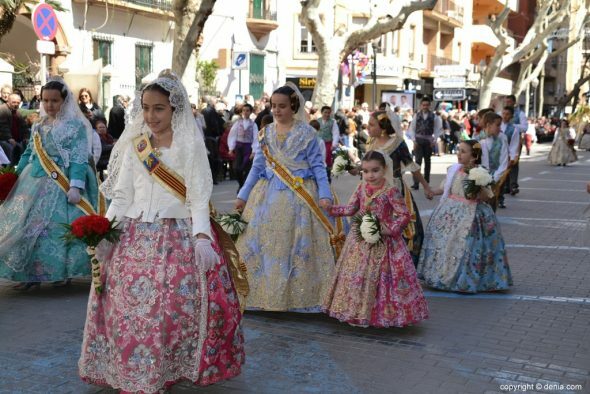 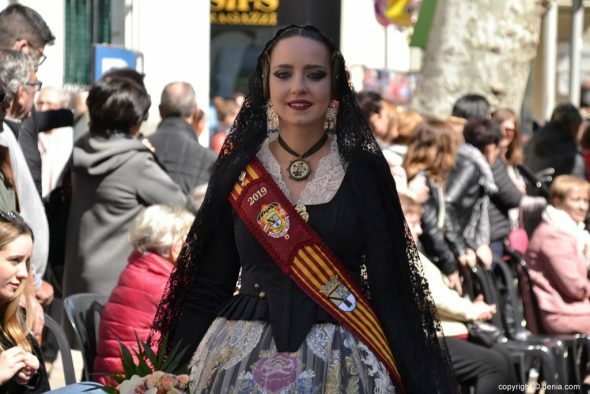 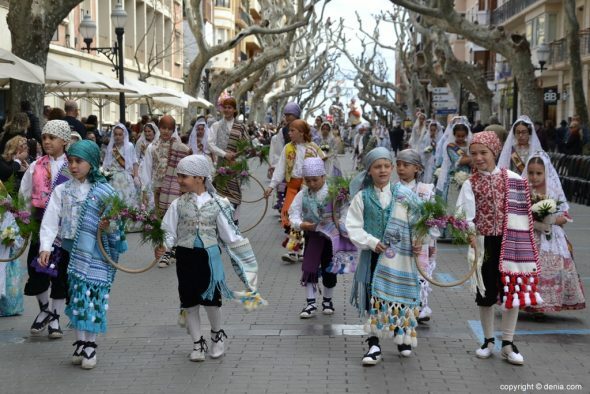 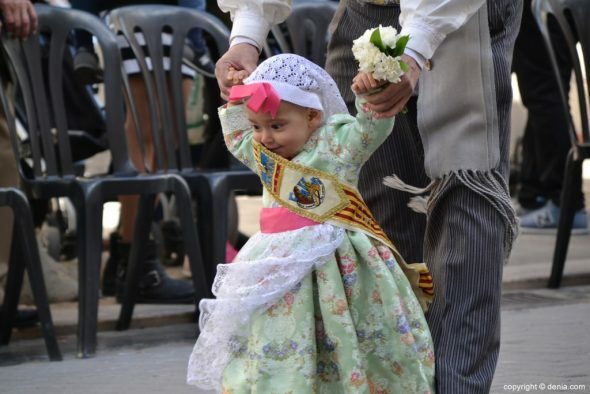 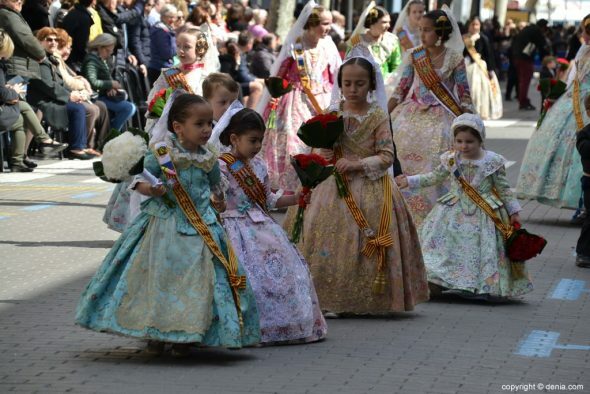 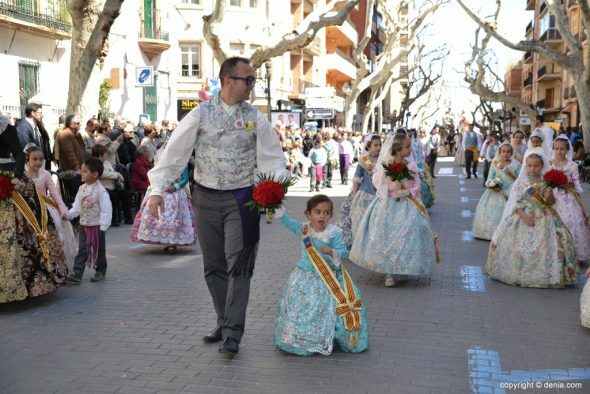 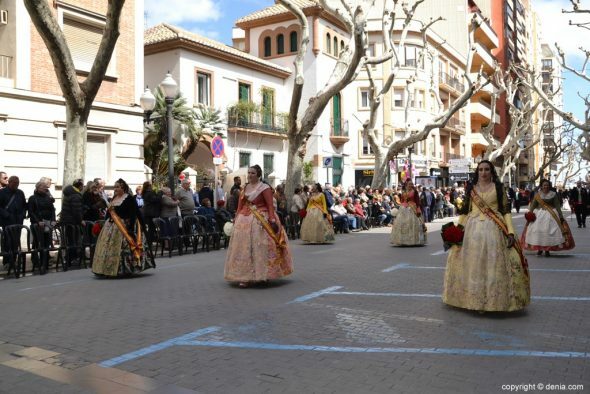 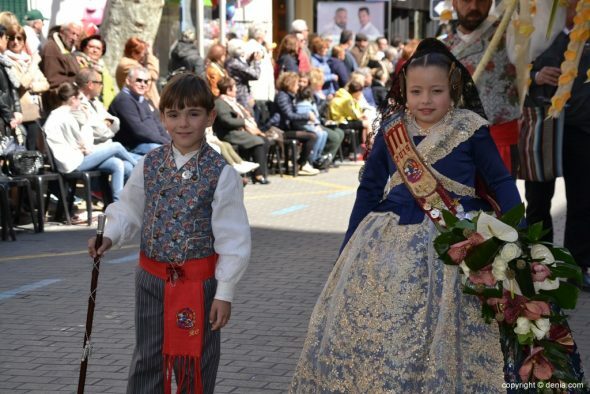 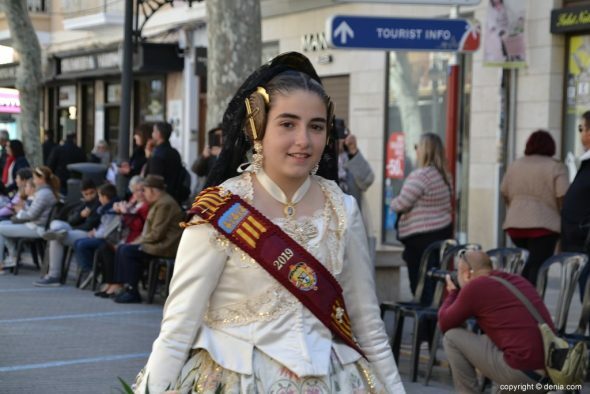 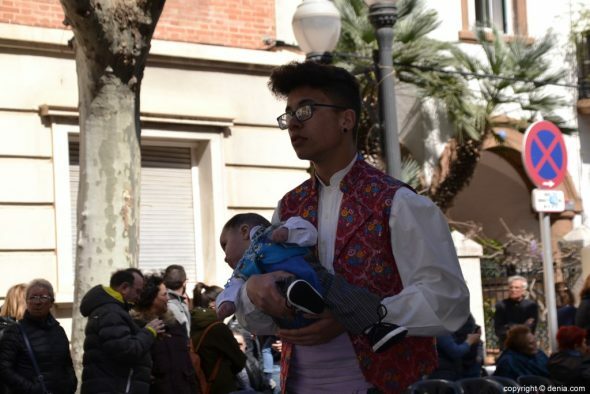 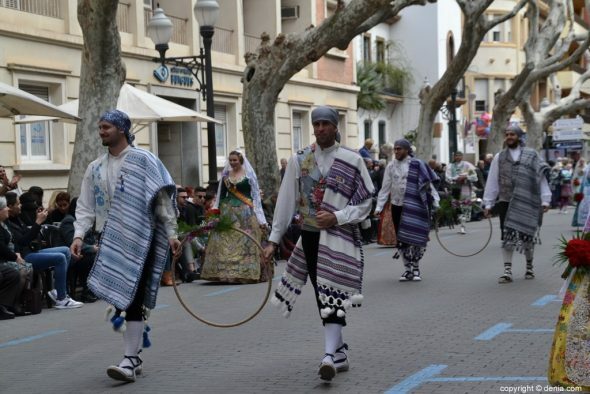 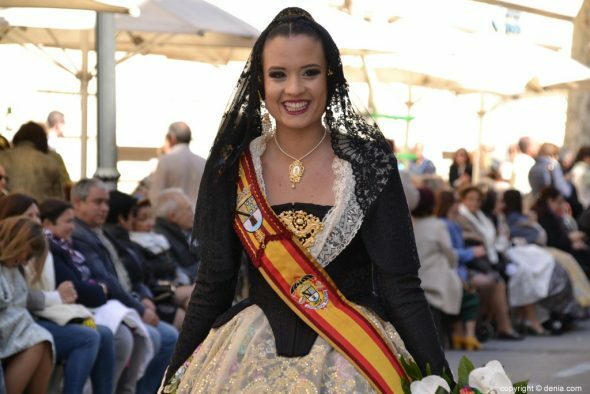 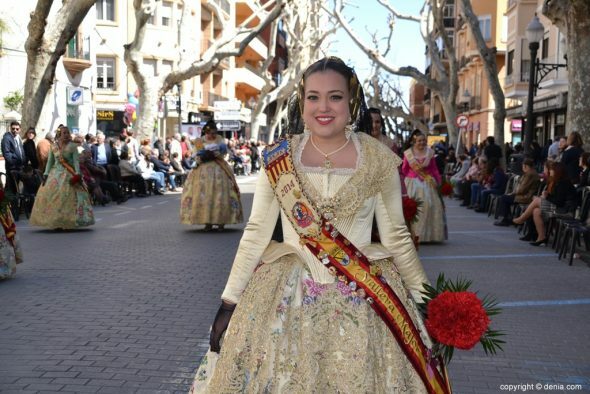 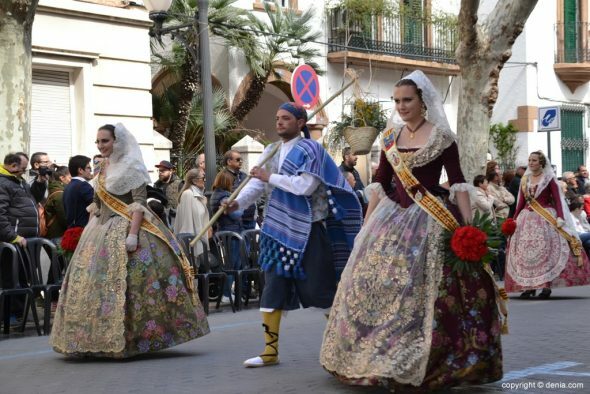 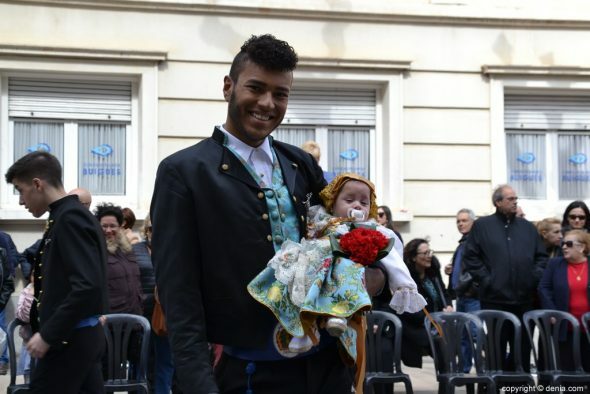 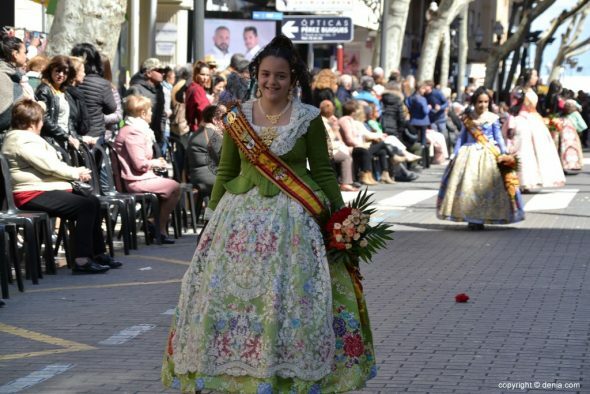 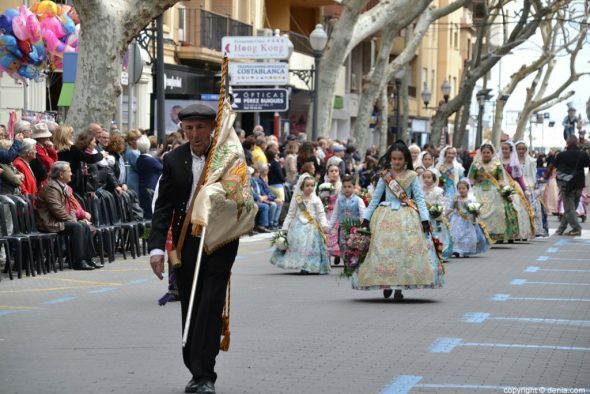 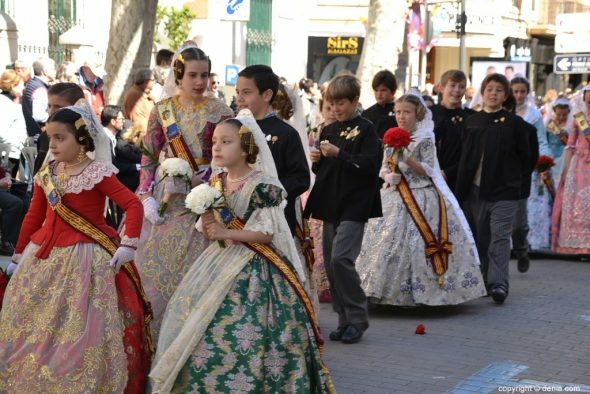 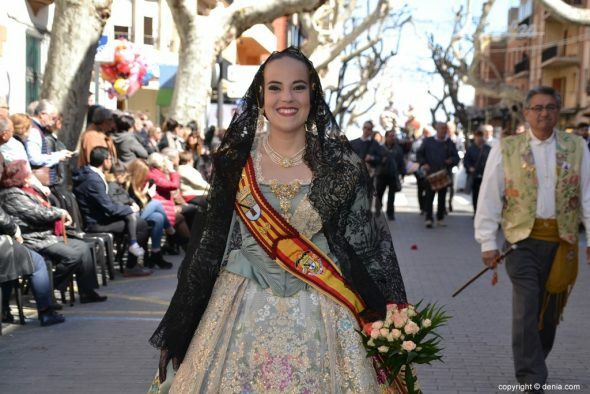 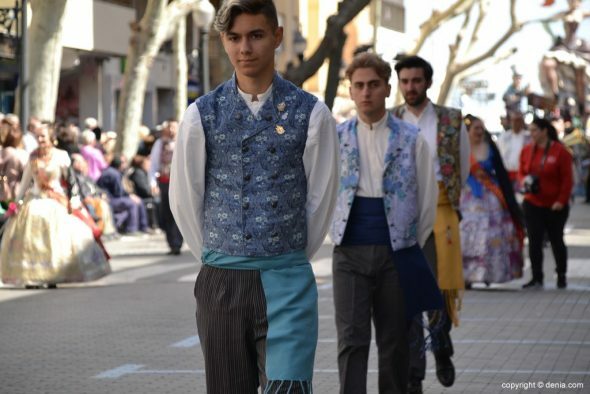 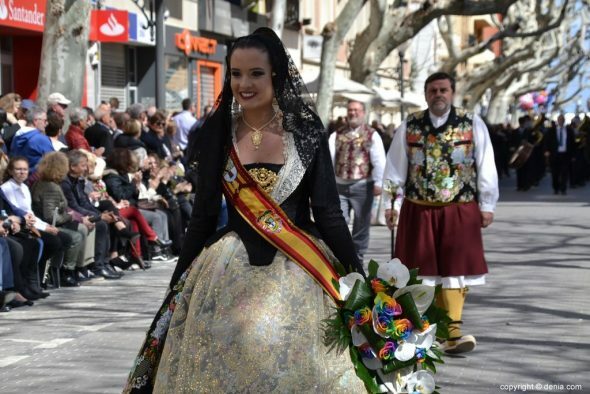 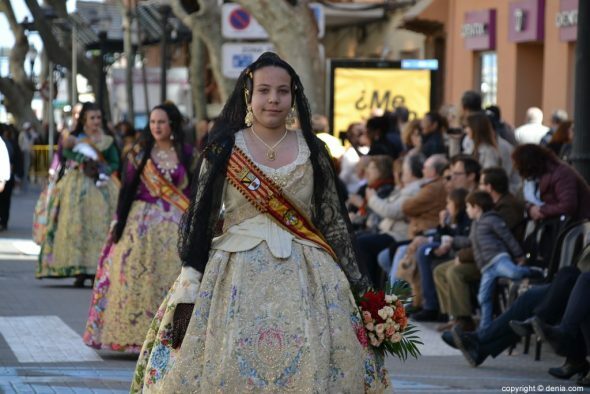 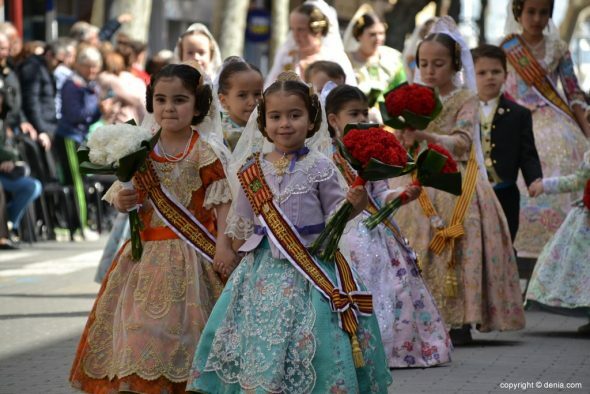 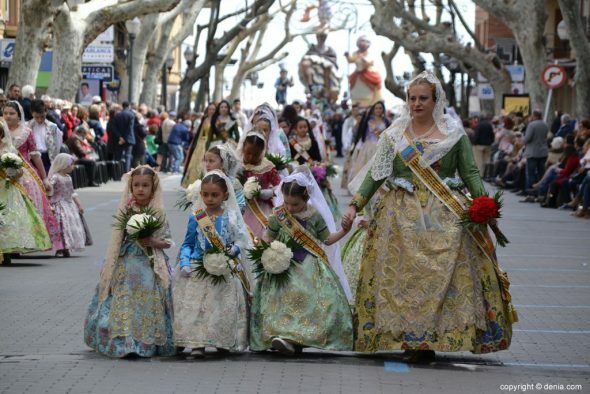 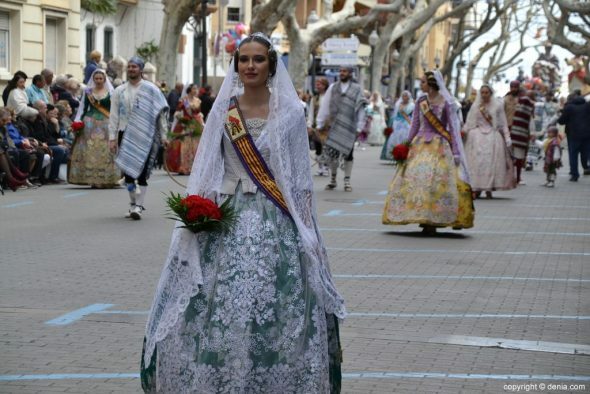 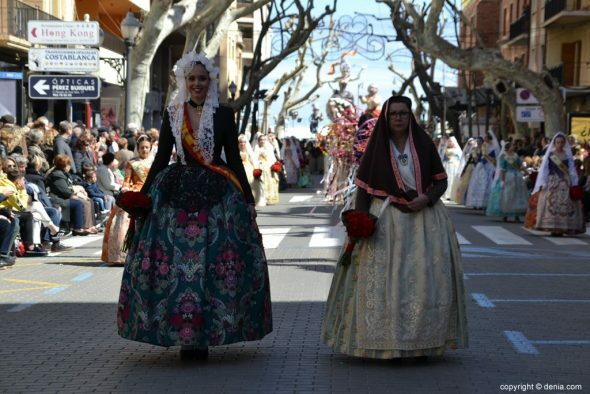 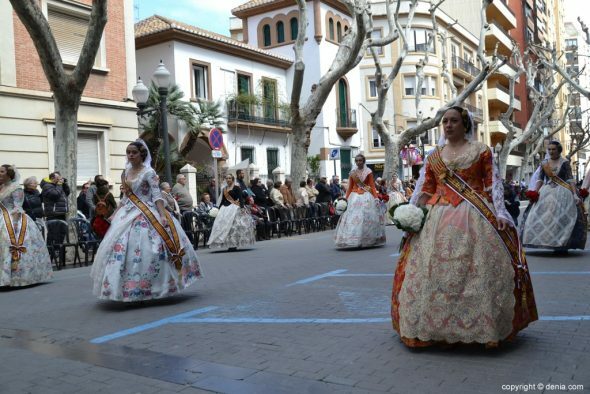 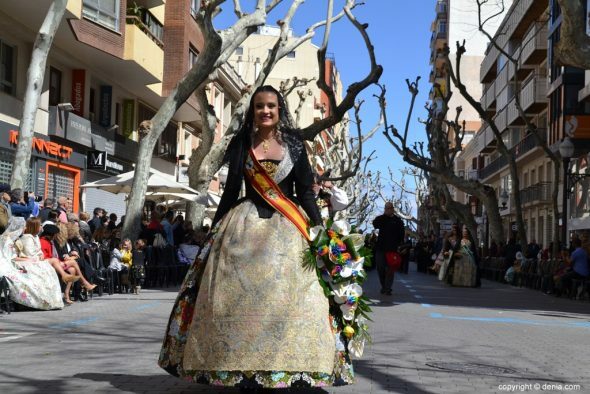 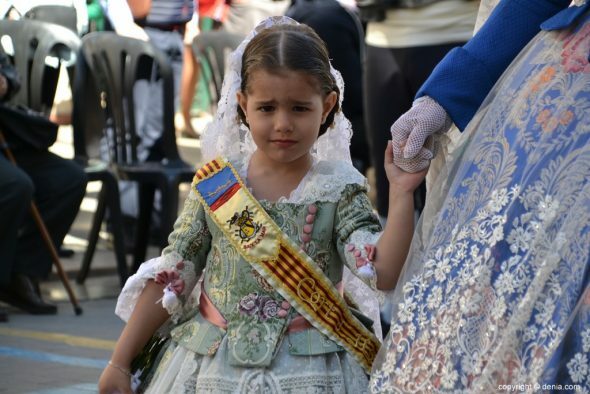 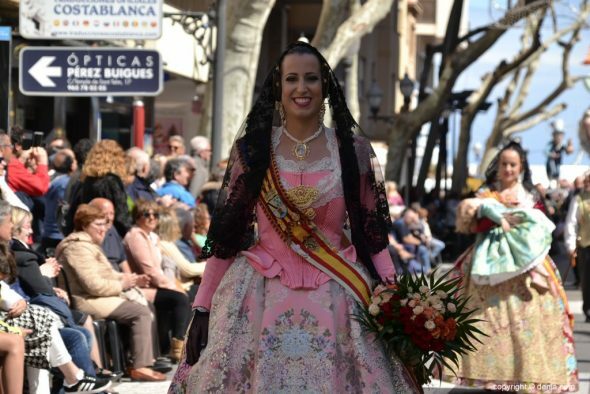 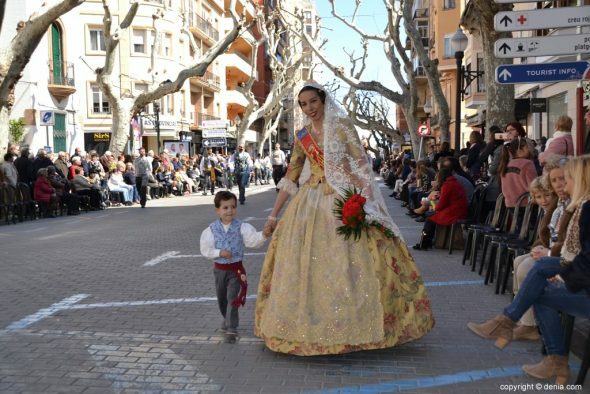 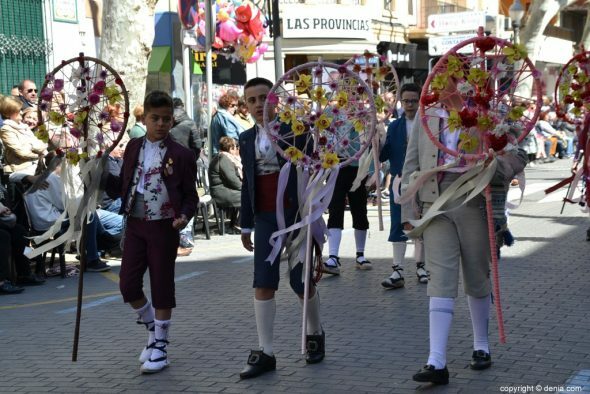 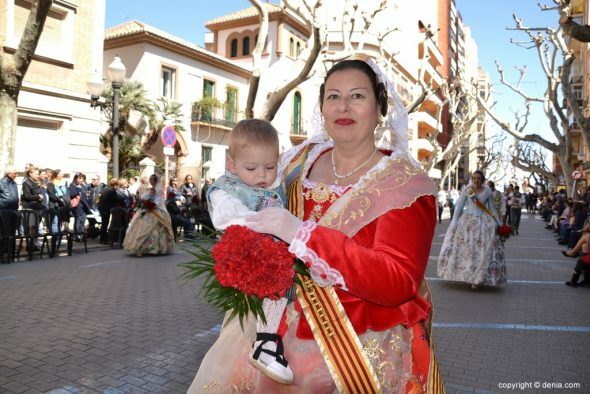 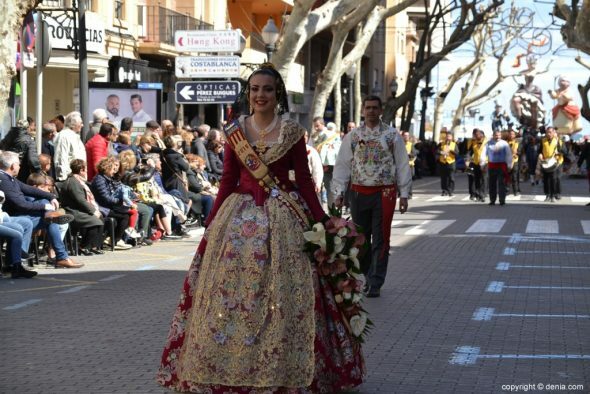 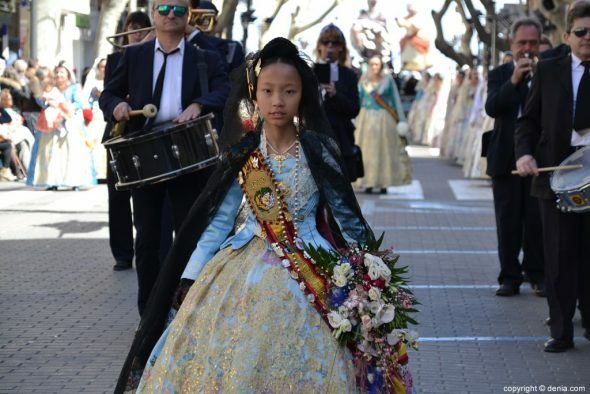 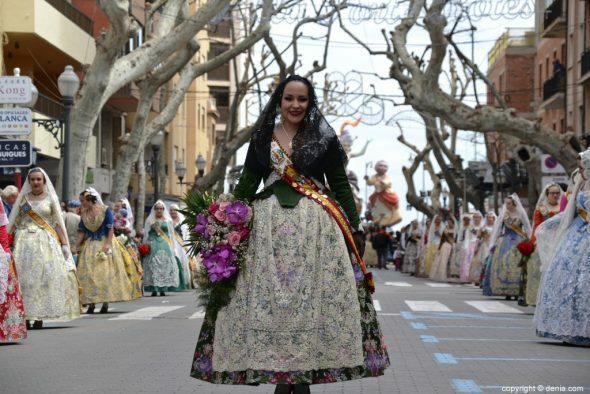 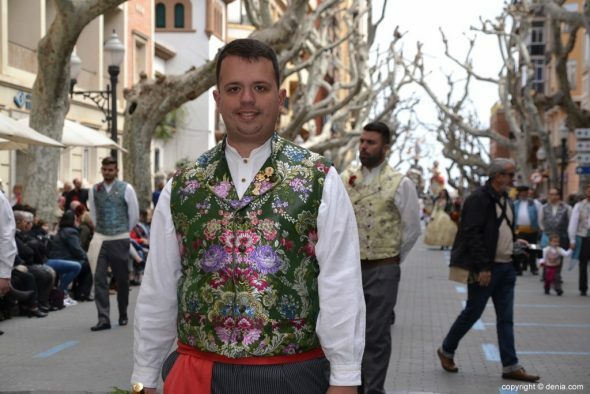 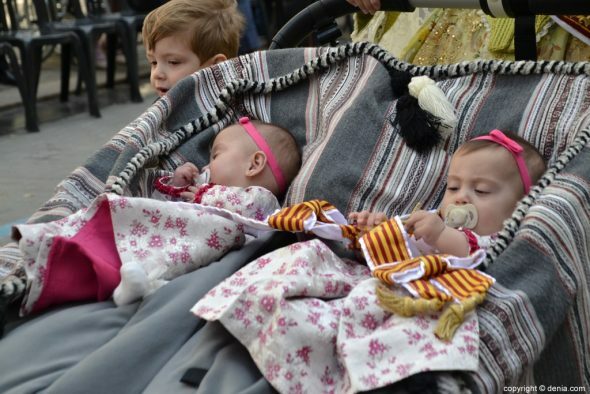 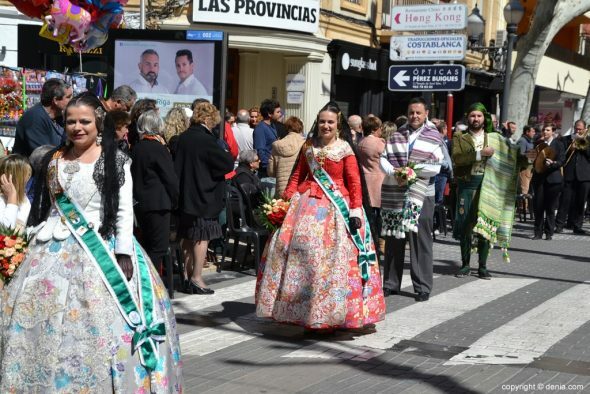 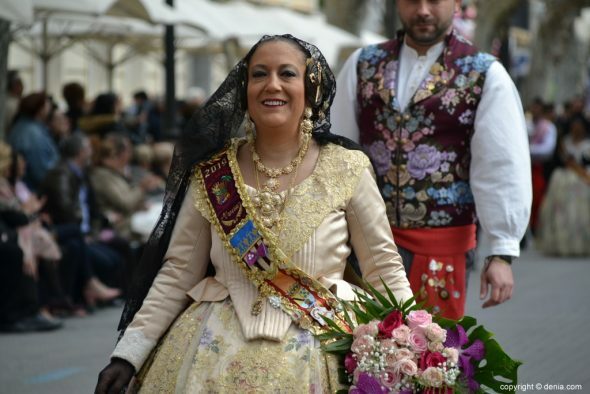 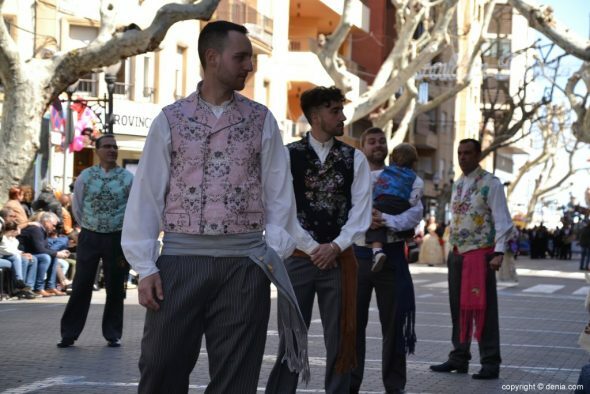 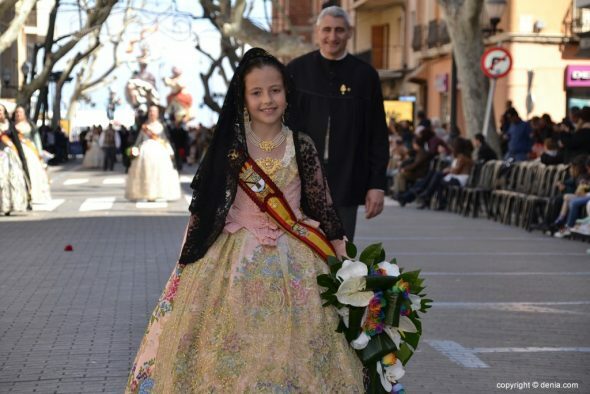 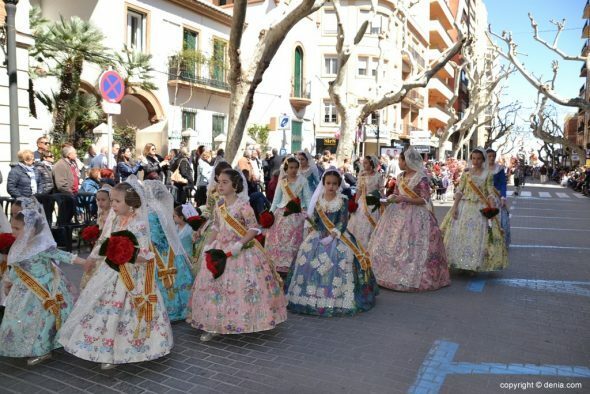 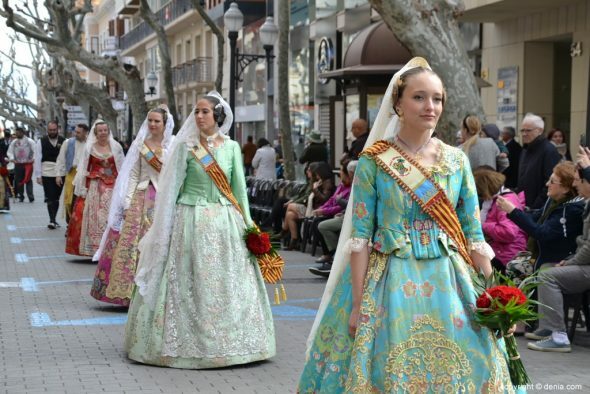 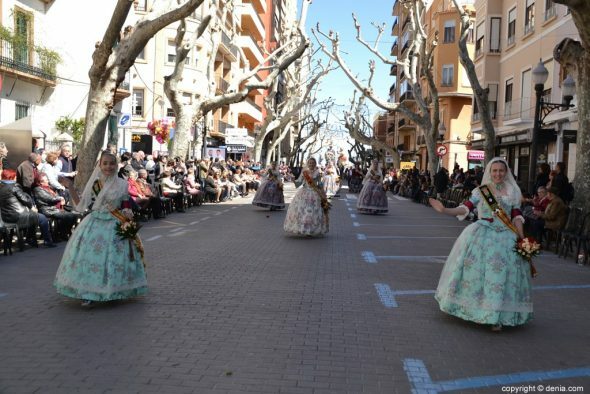 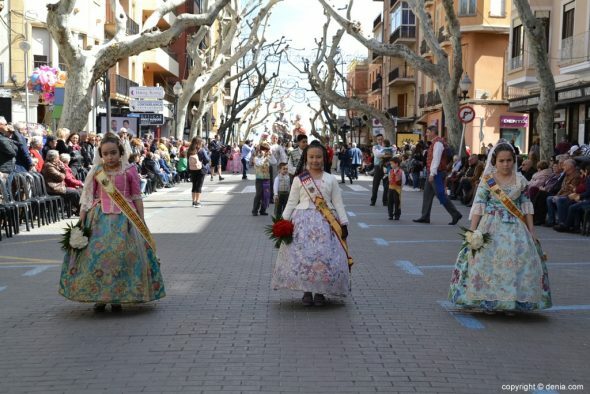 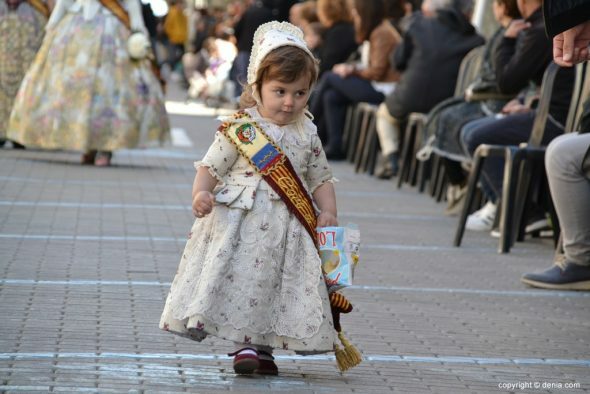 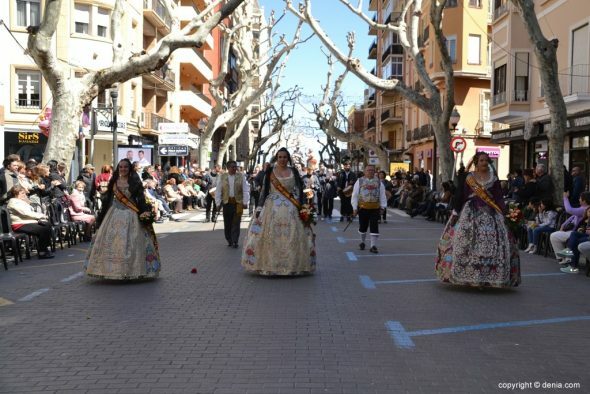 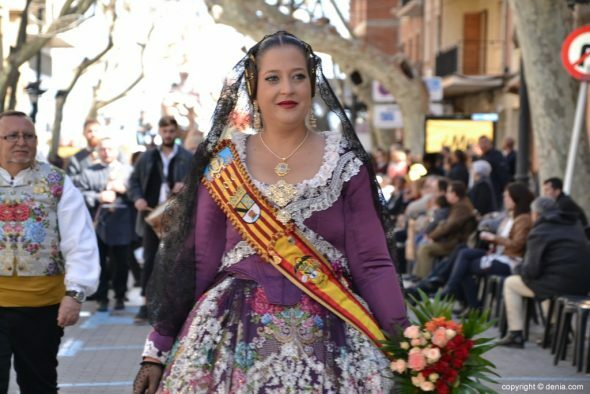 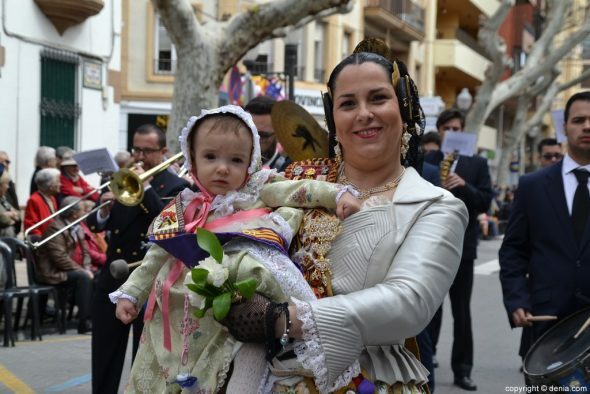 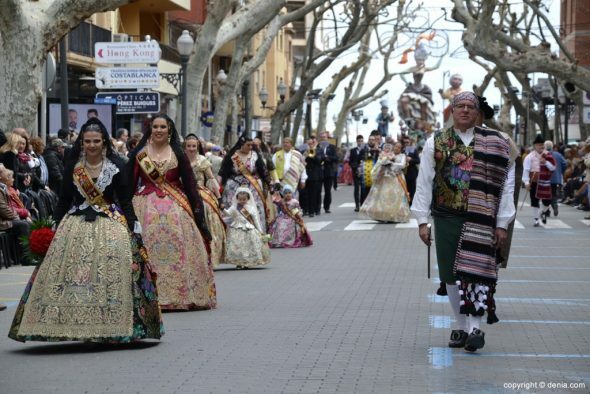 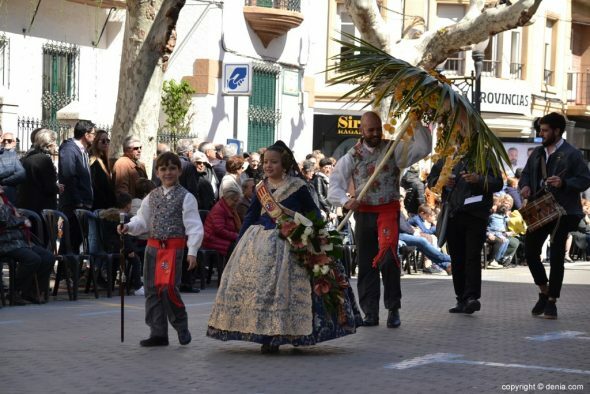 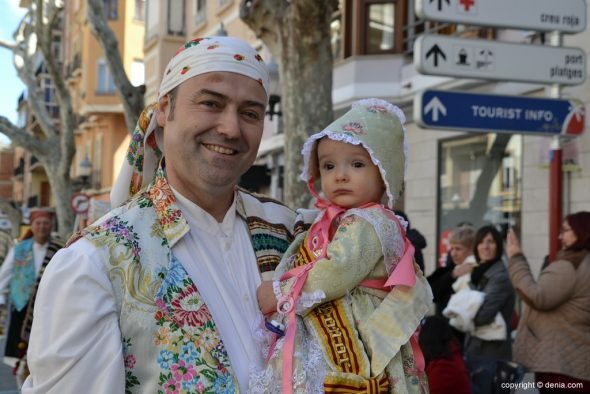 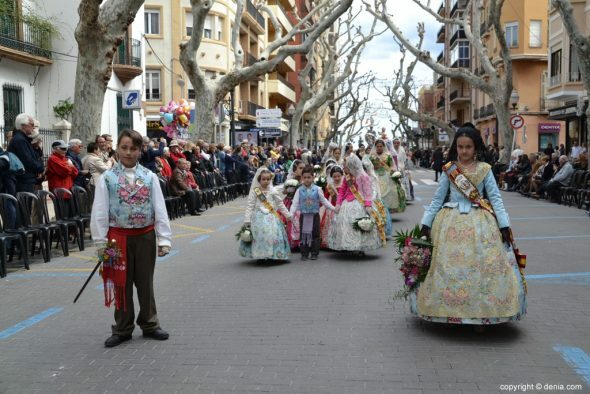 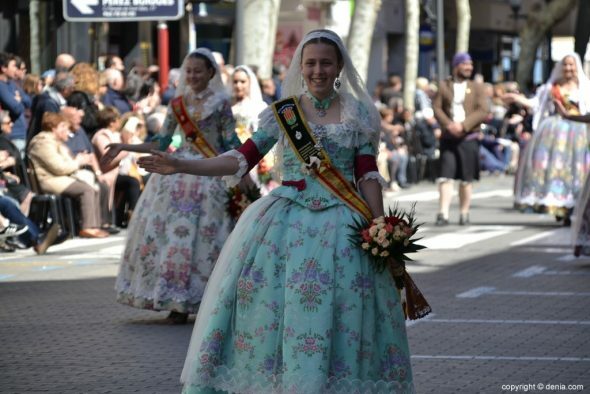 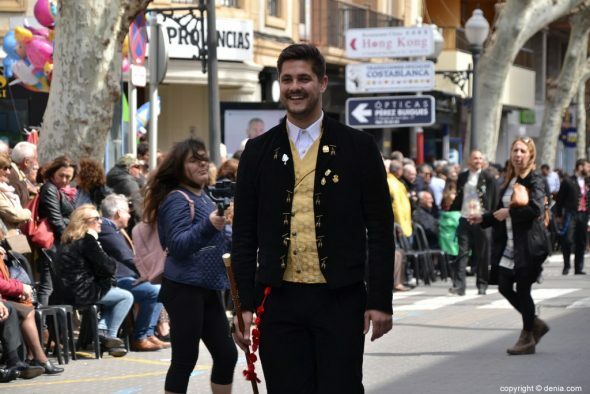 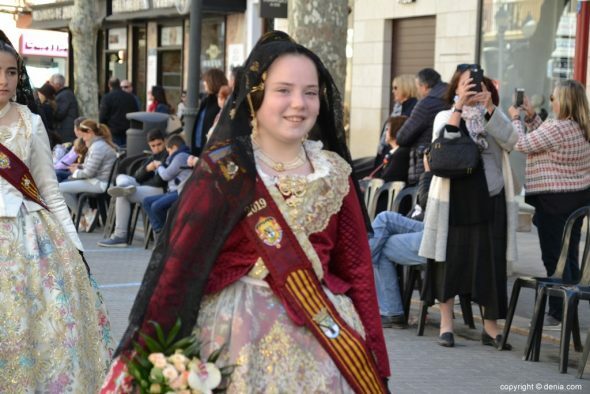 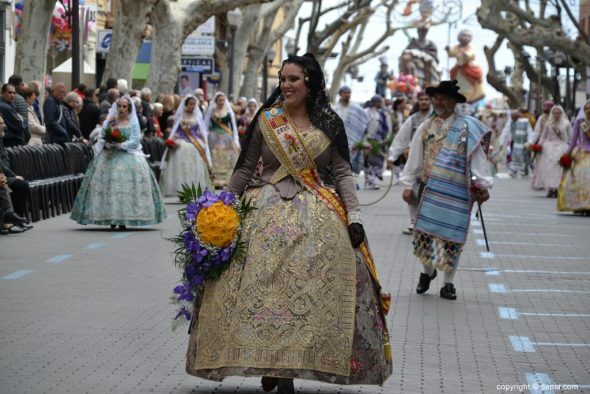 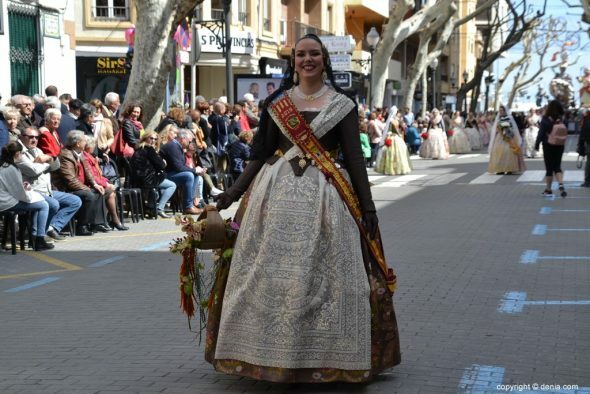 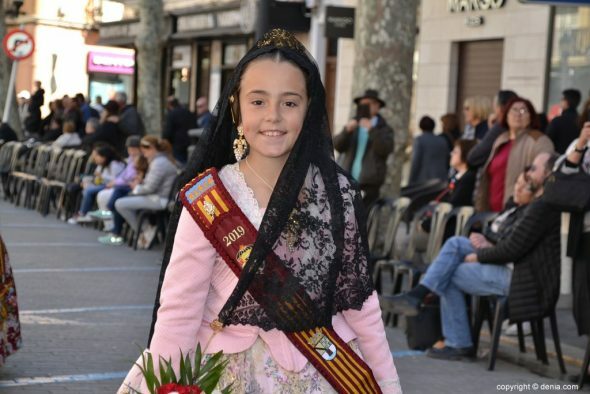 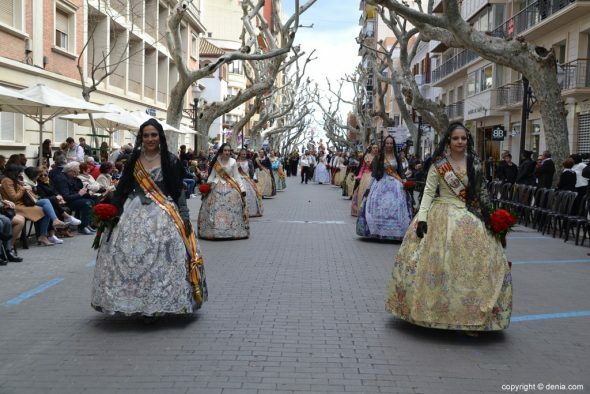 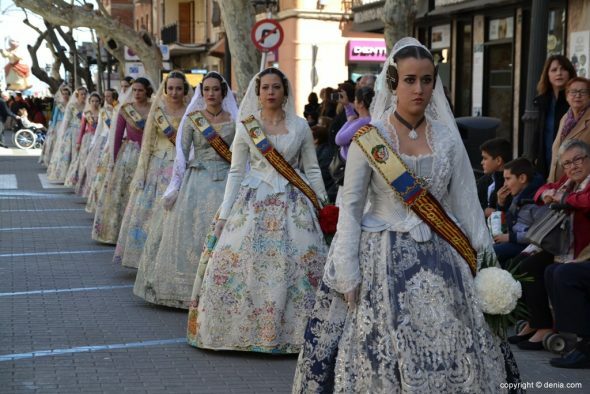 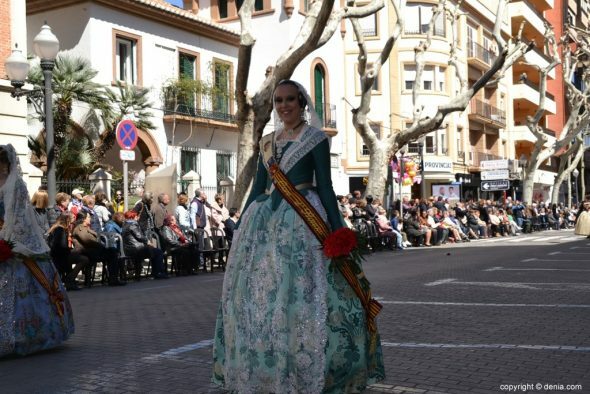 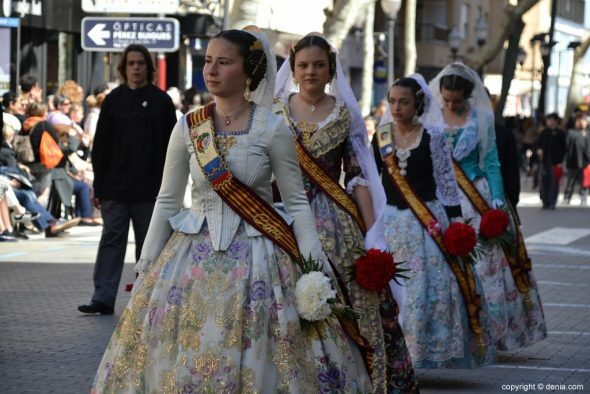 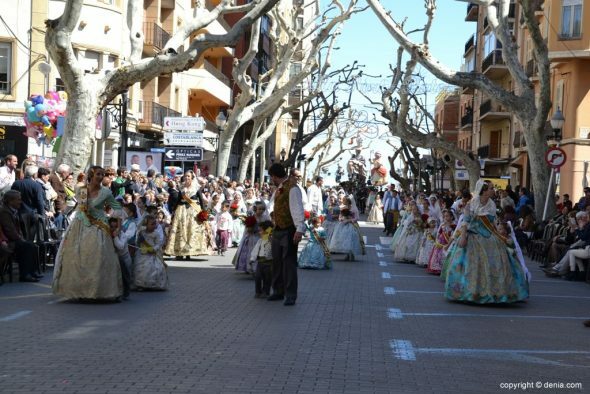 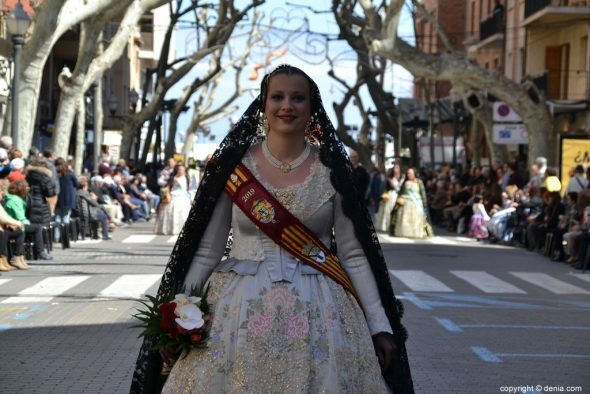 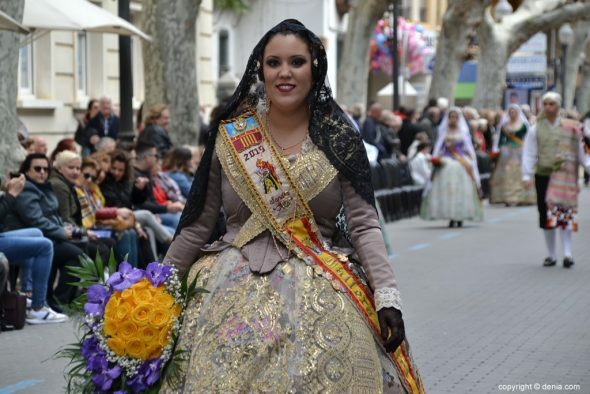 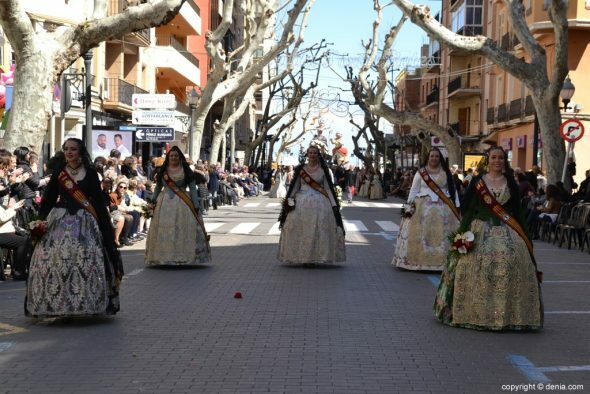 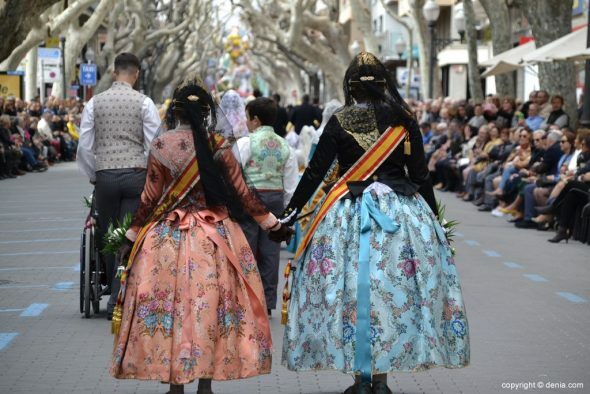 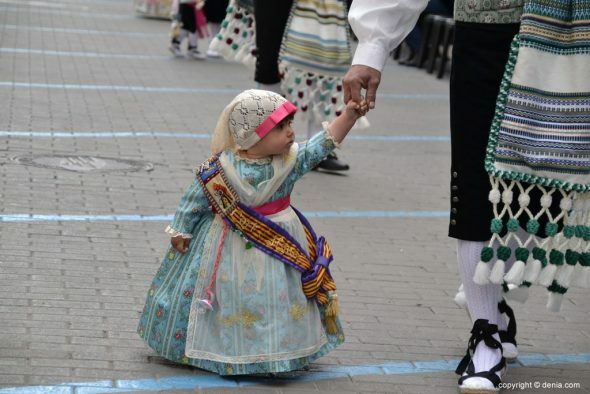 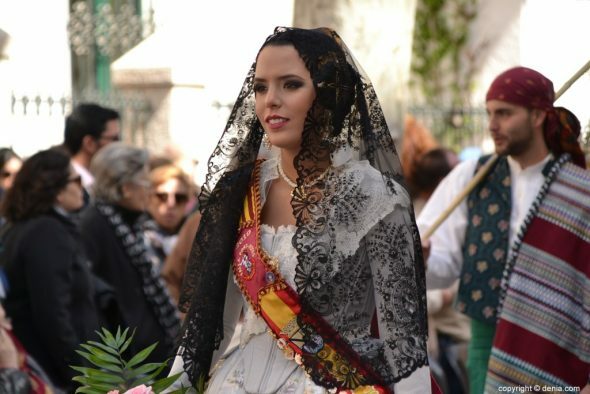 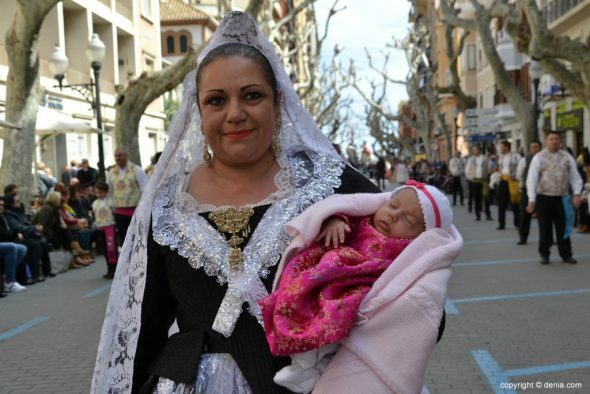 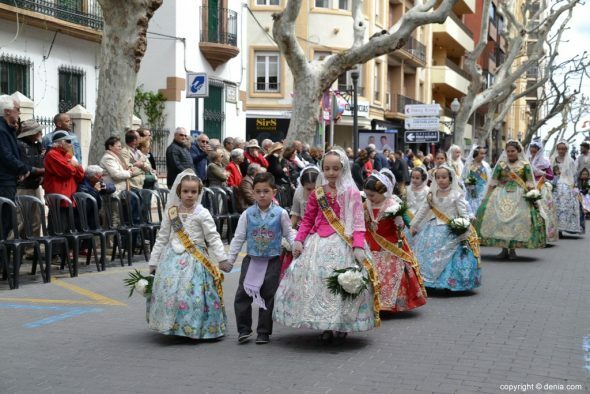 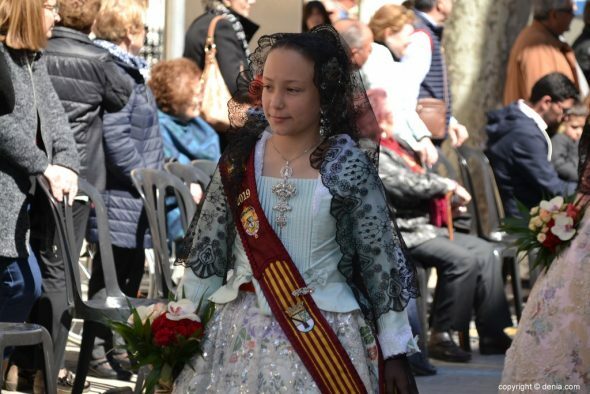 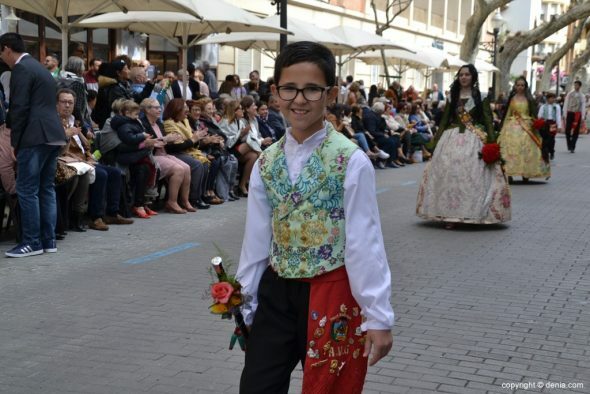 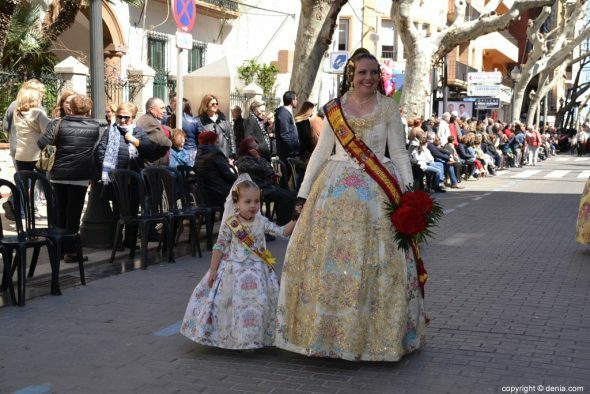 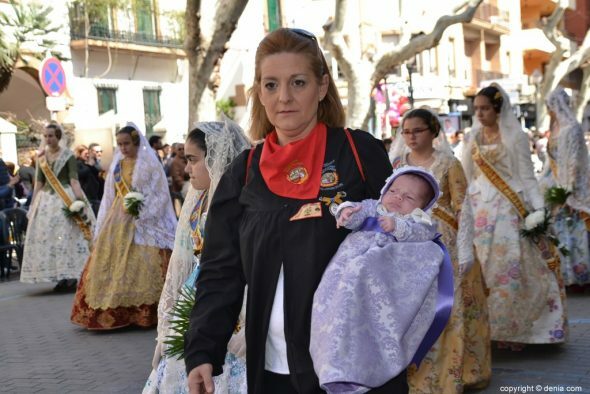 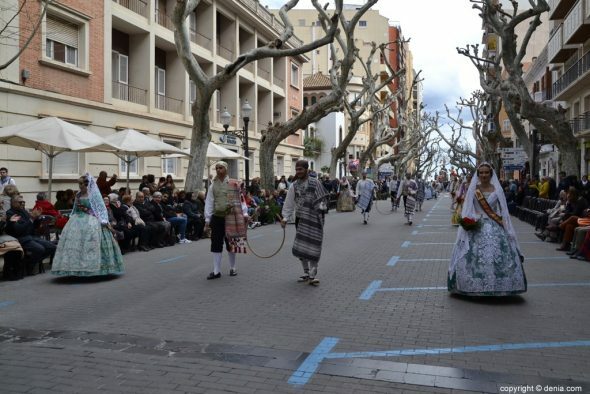 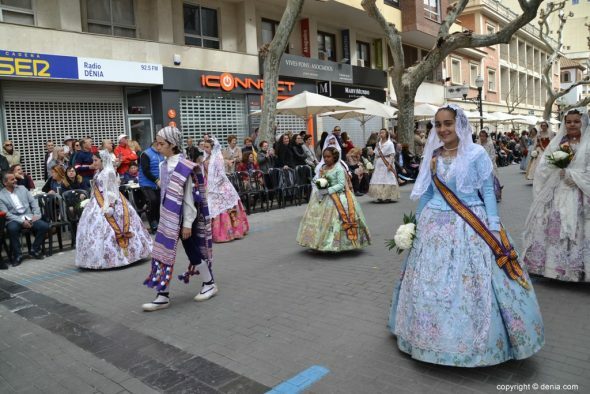 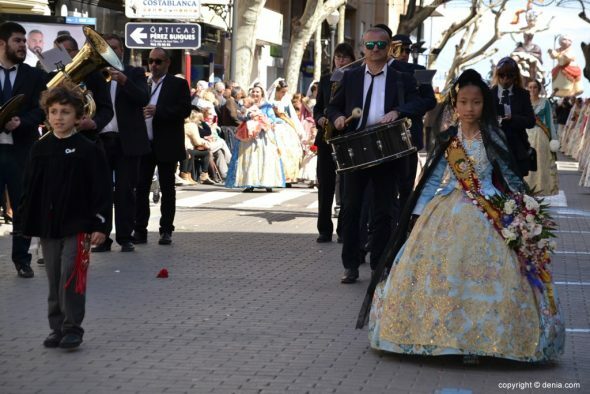 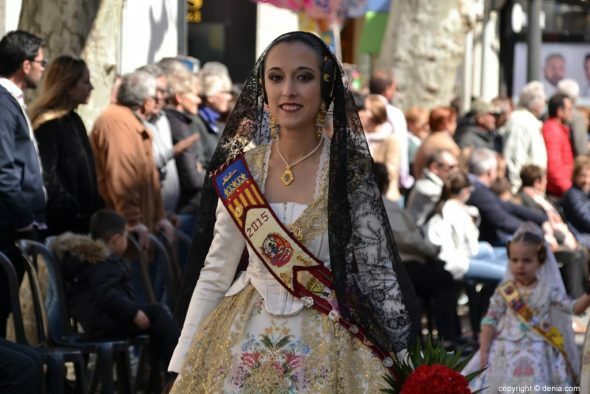 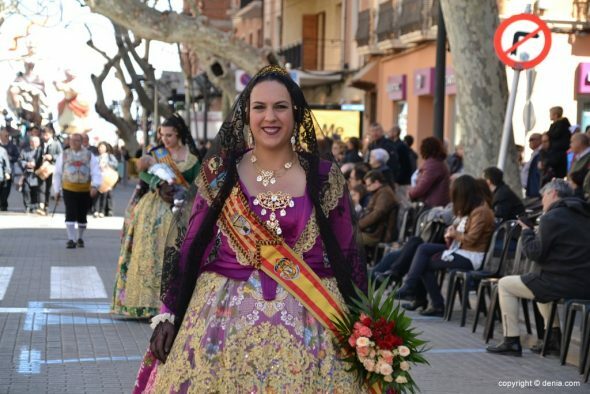 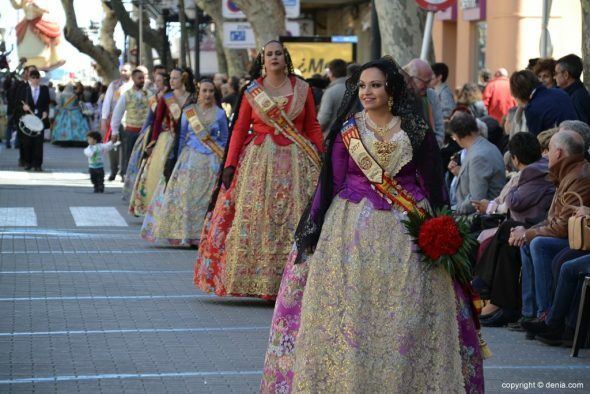 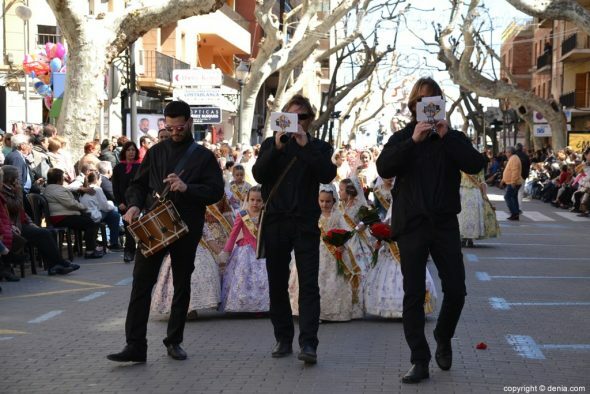 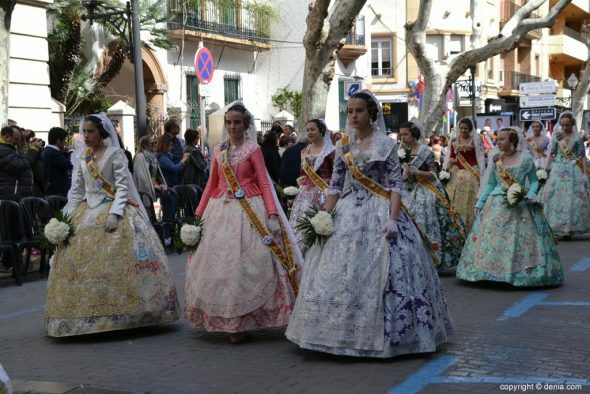 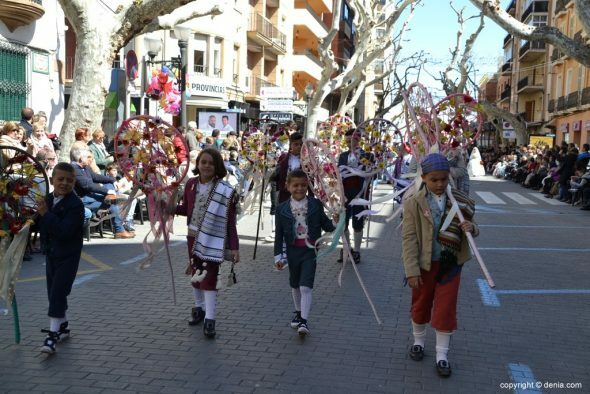 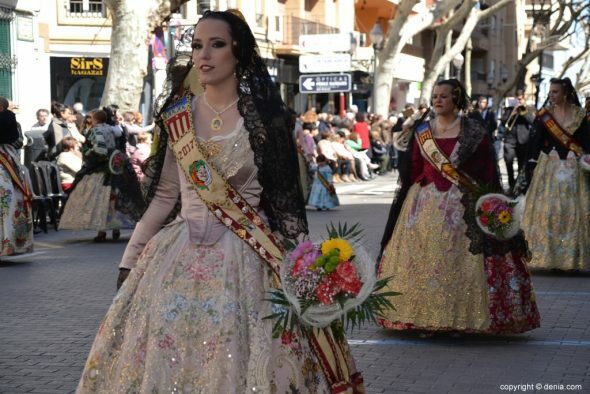 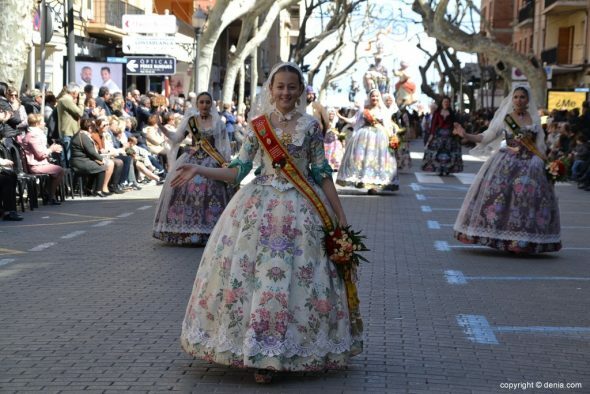 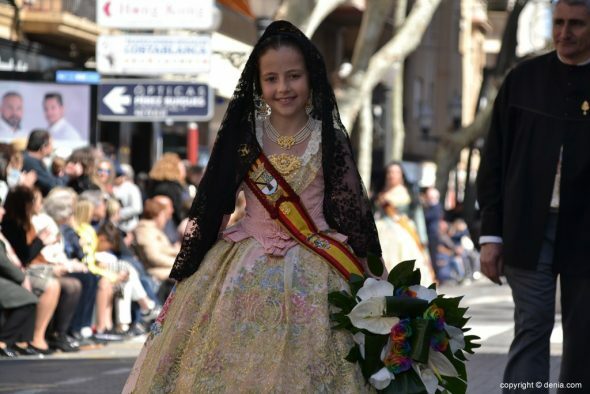 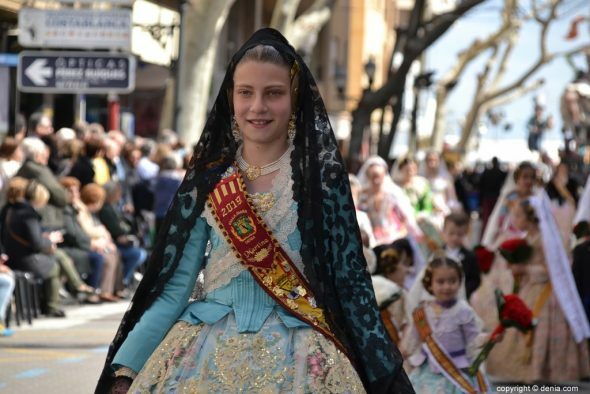 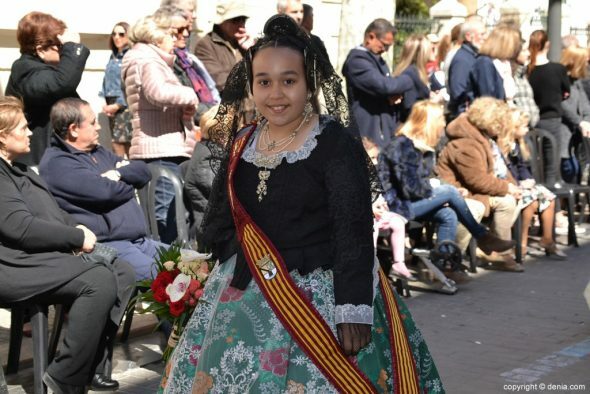 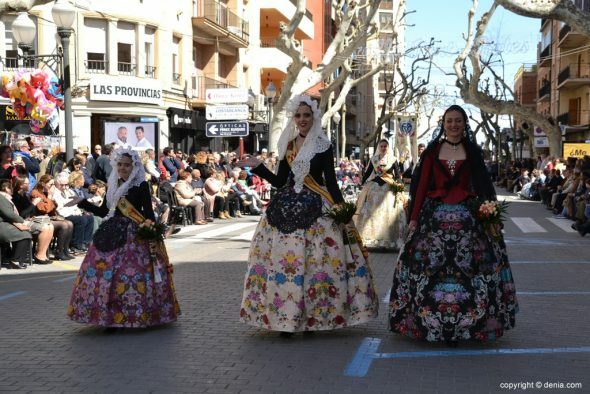 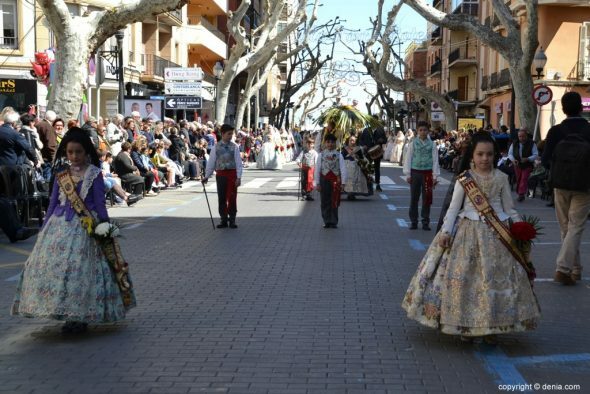 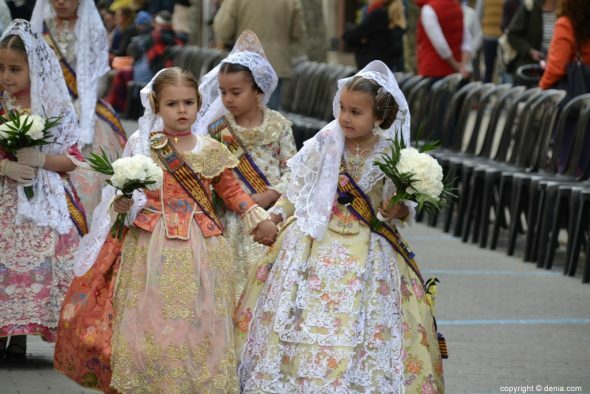 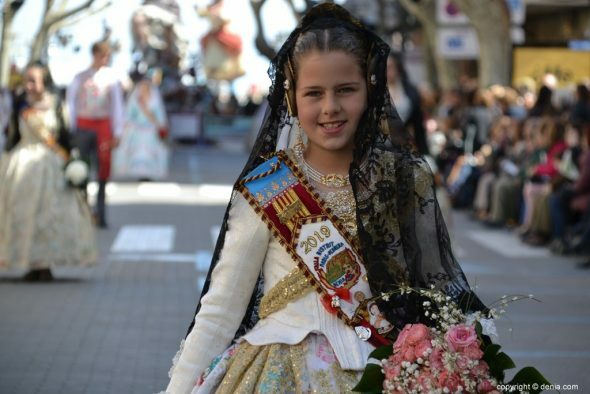 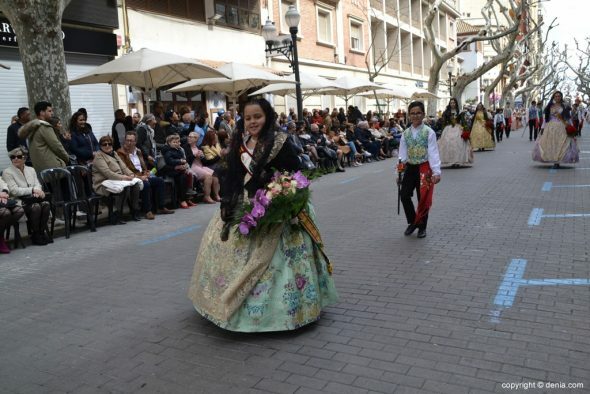 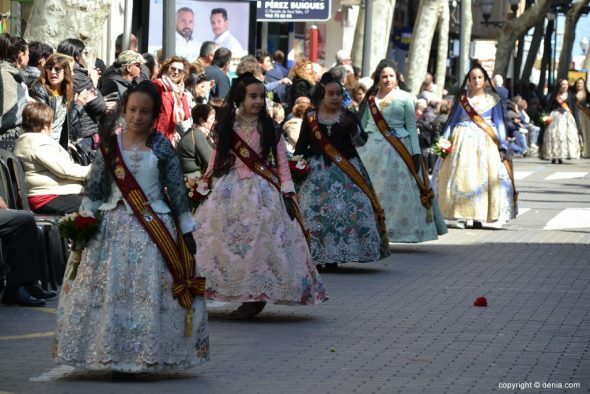 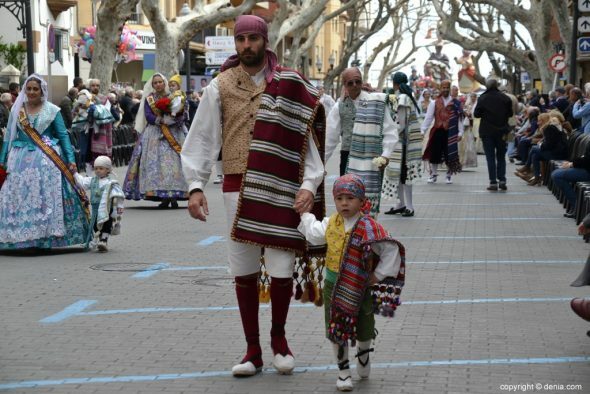 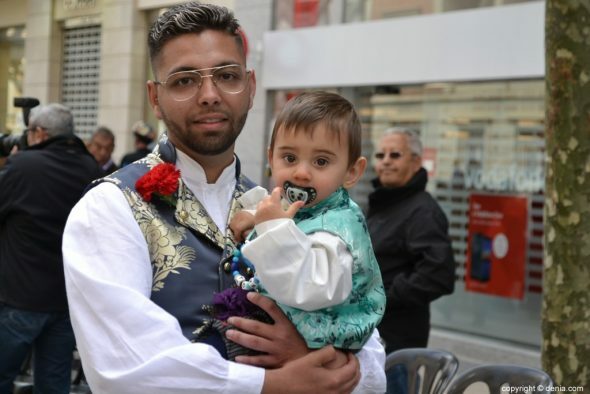 The major falleras of Dénia's faults were the protagonists of the day, with faces visibly moved to be living one of the most anticipated moments of the year before the watchful eye of thousands of people, who packed the route of the offering. 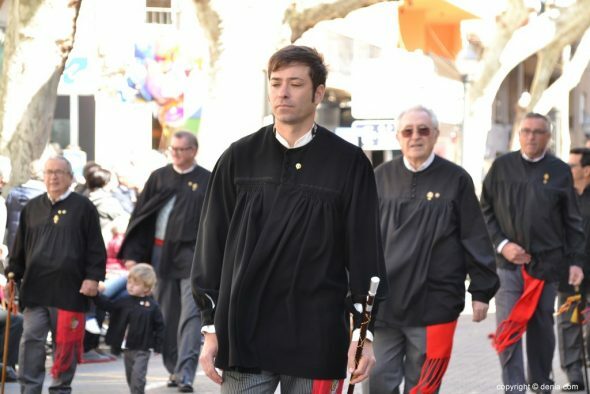 The dianees commissions paraded, as usual, in reverse order to the monuments awards. 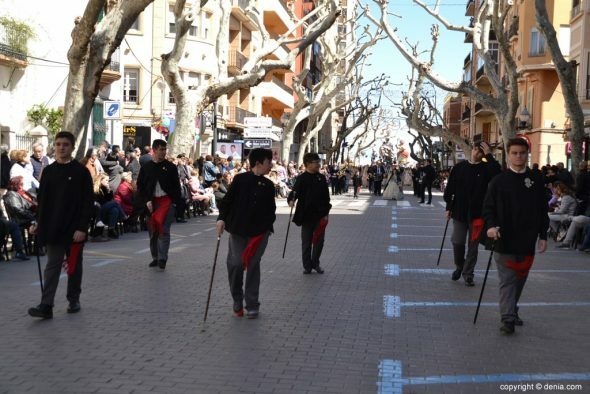 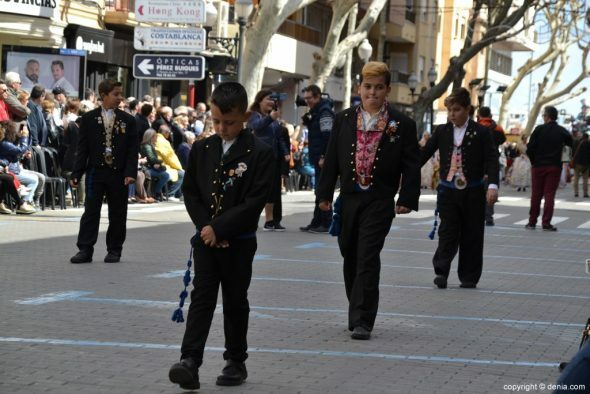 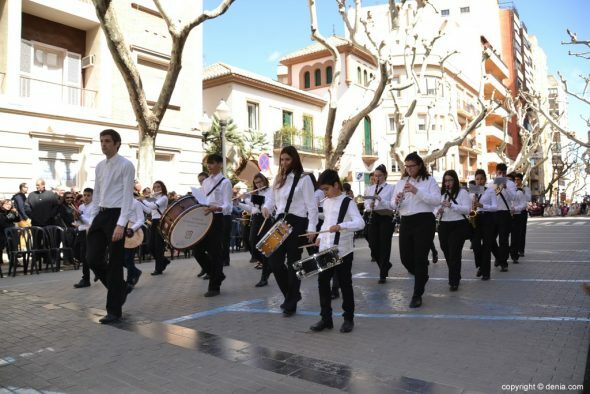 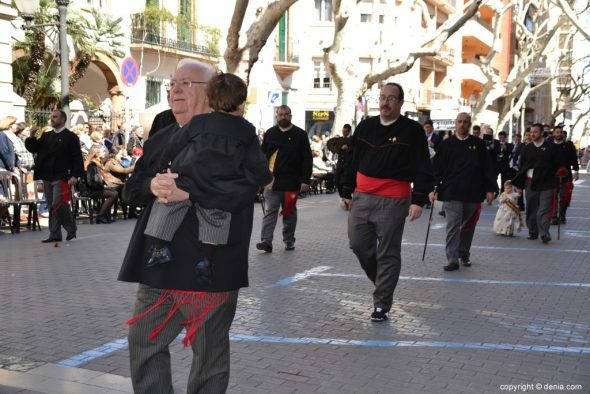 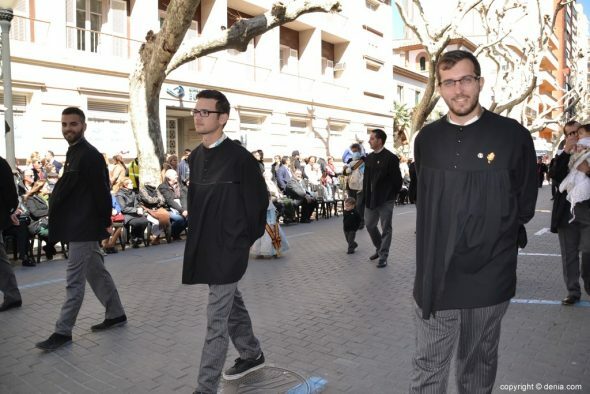 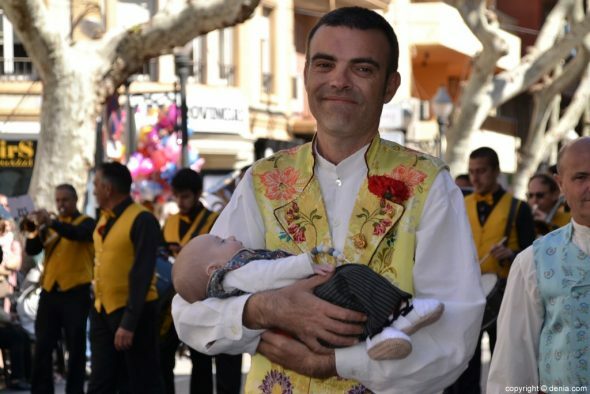 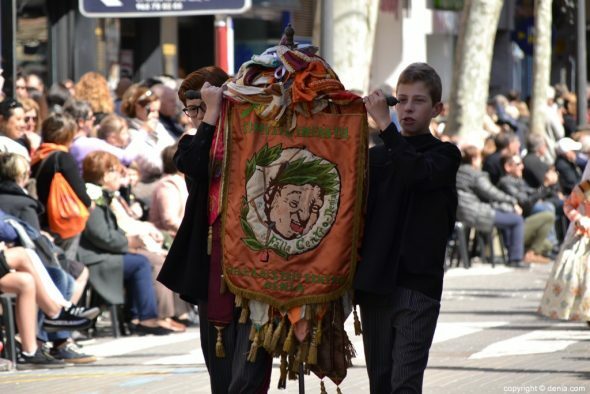 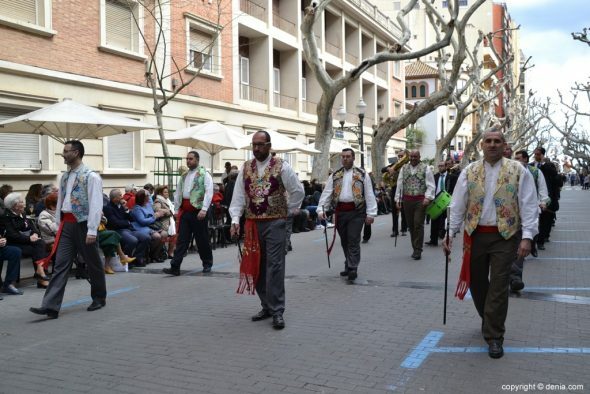 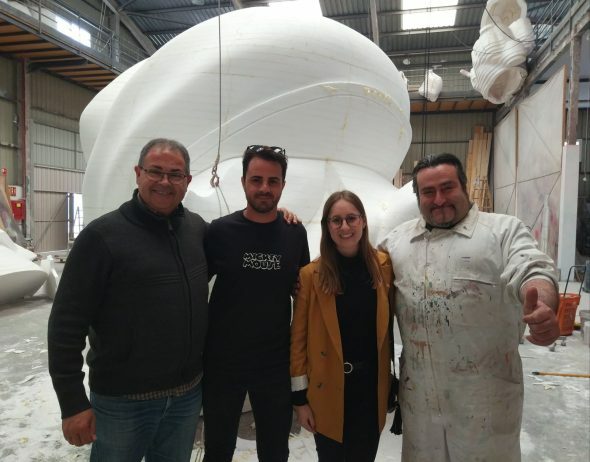 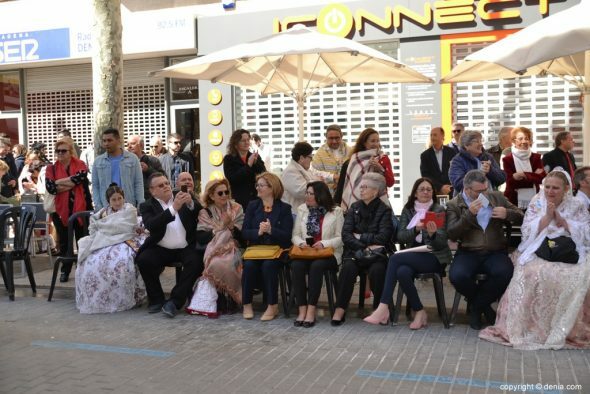 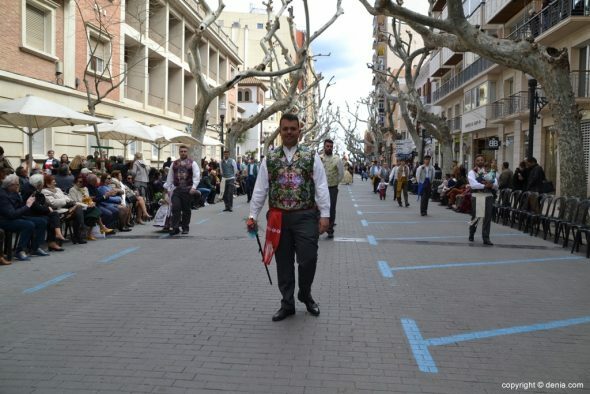 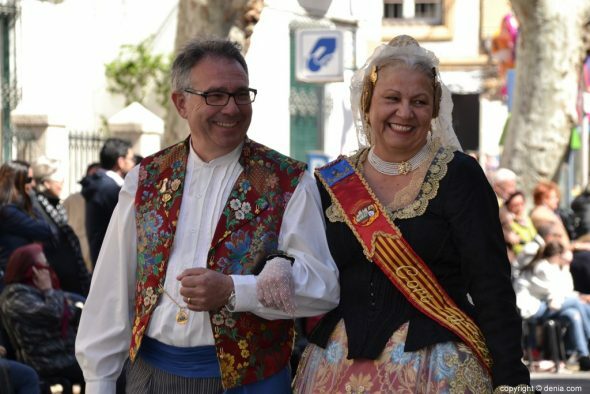 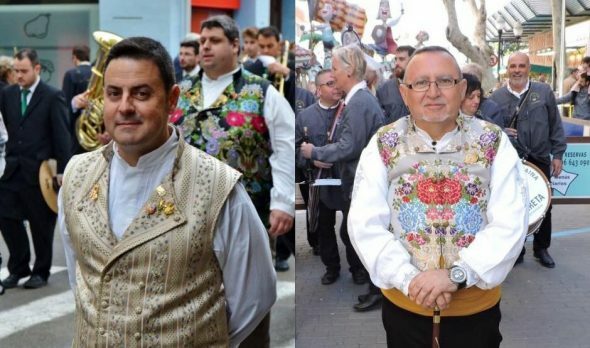 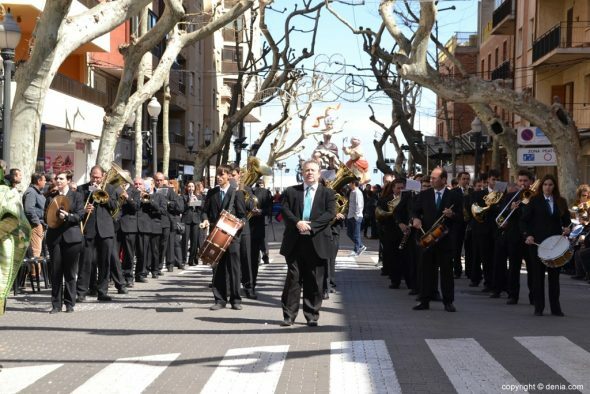 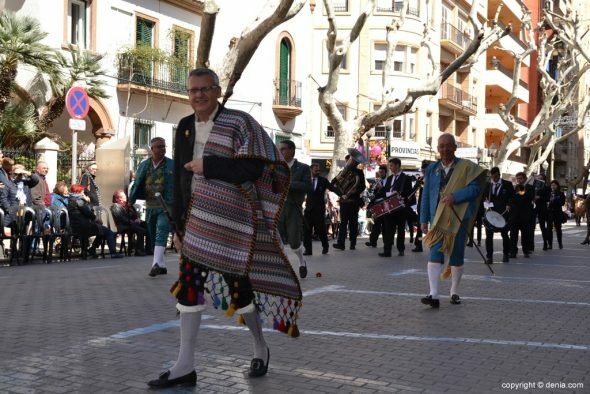 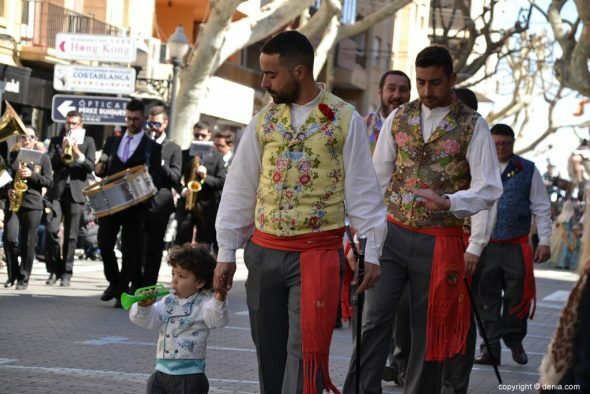 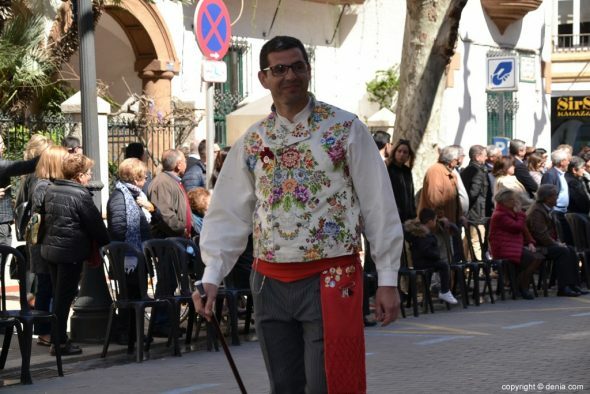 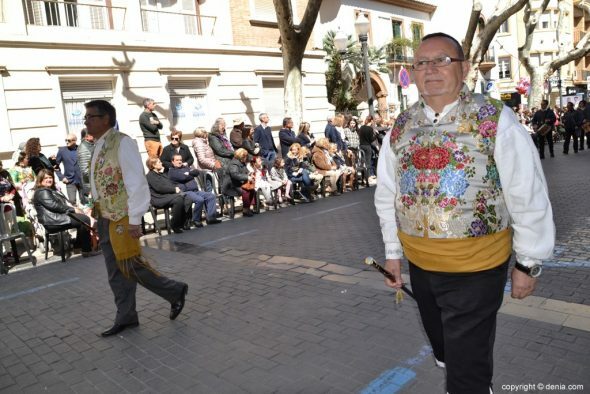 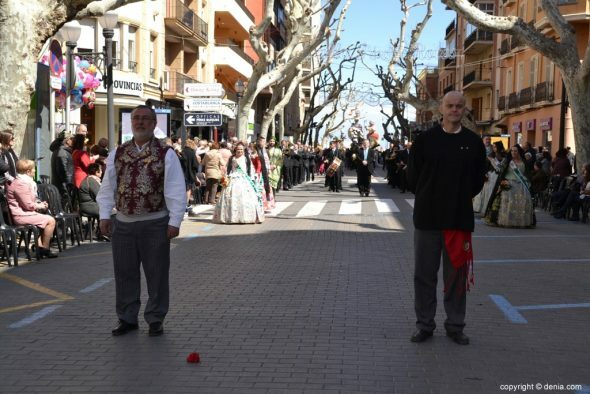 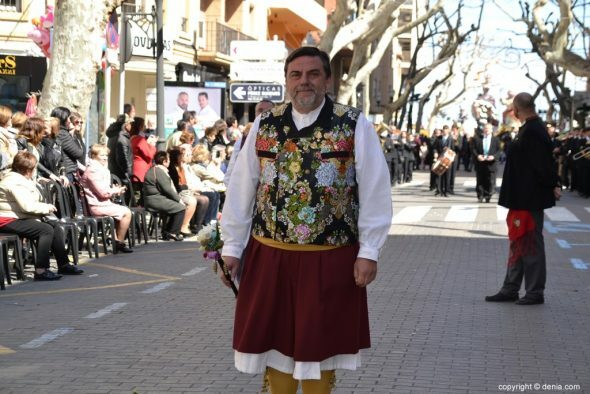 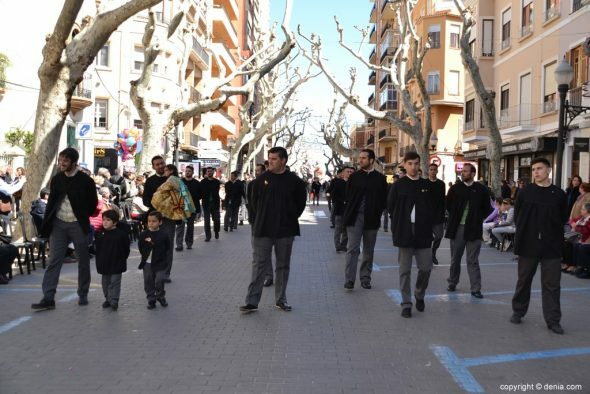 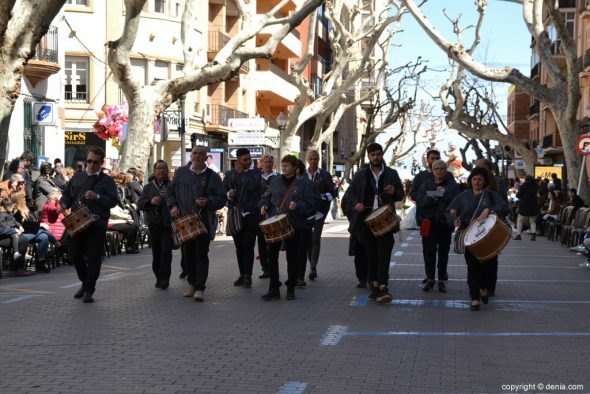 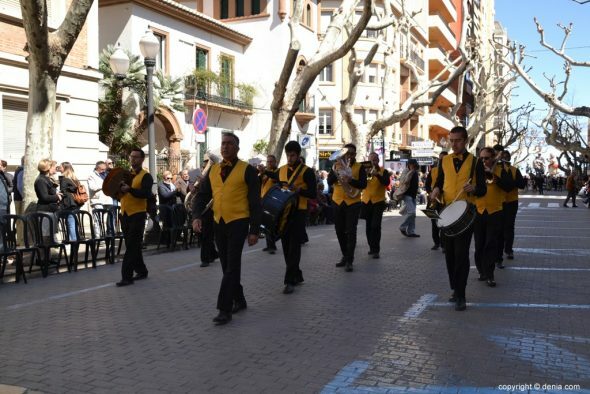 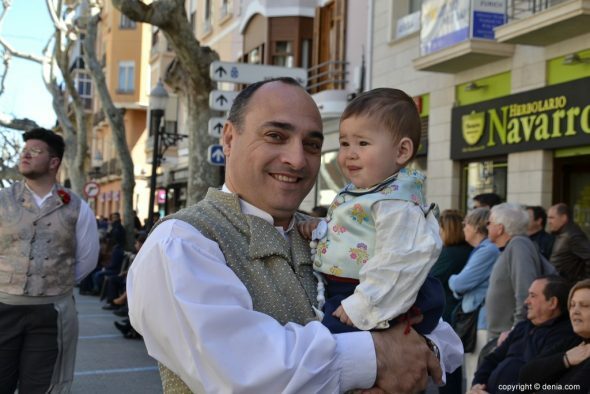 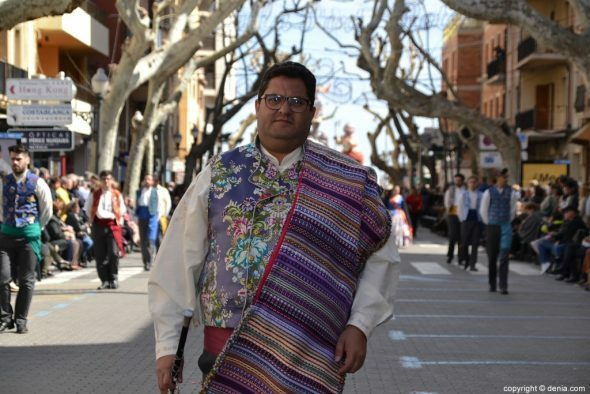 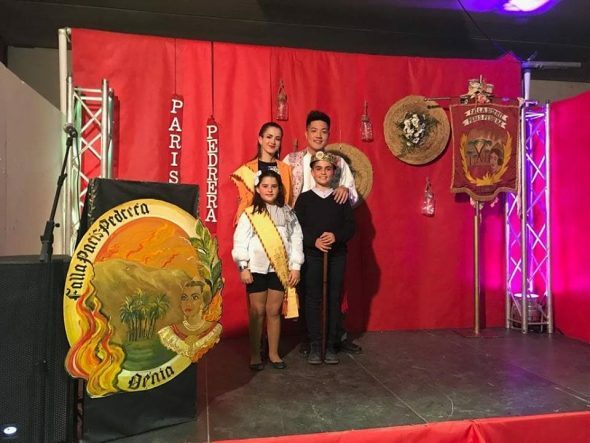 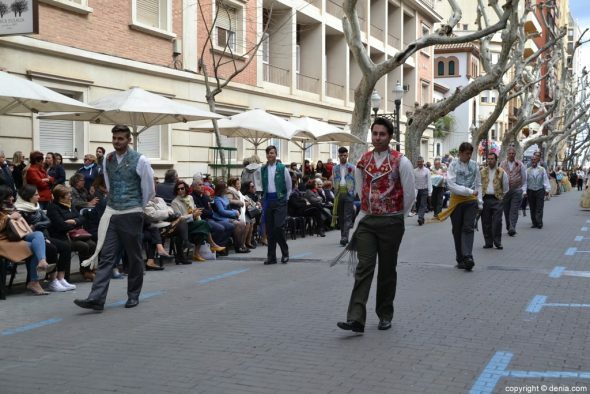 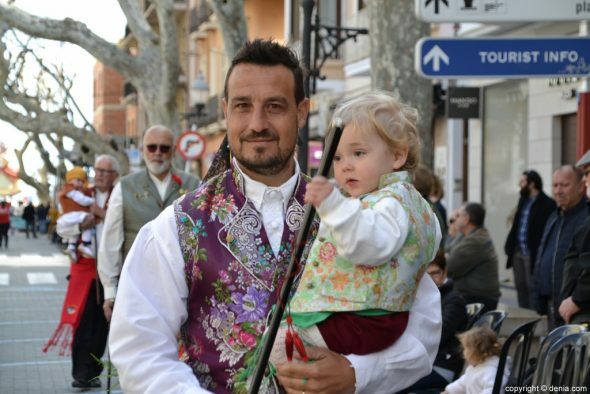 The parade closed Local Board Fallera of Dénia, which counted with the participation of representatives of the parties of Elche, Elda, San Vicent del Raspeig and Jumilla. 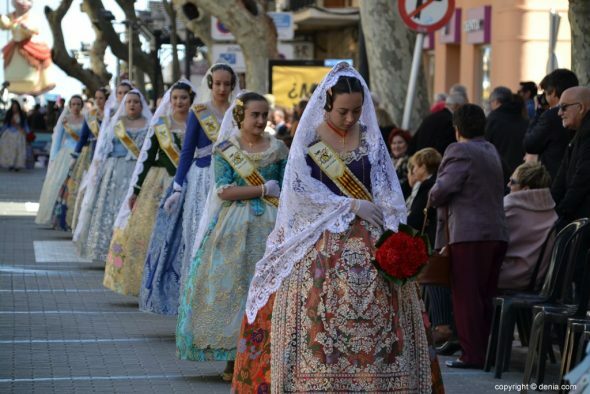 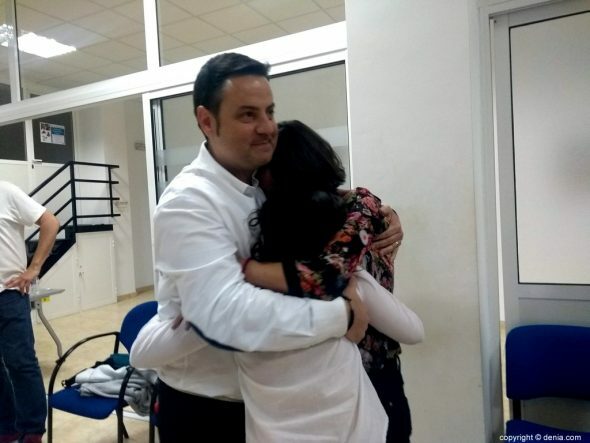 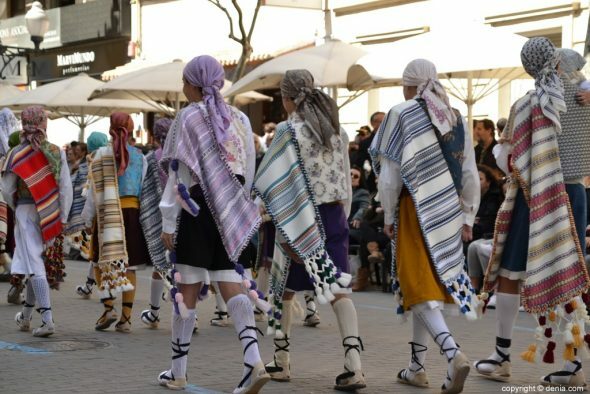 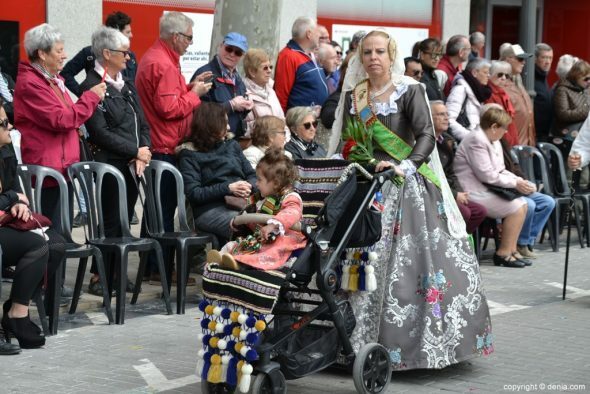 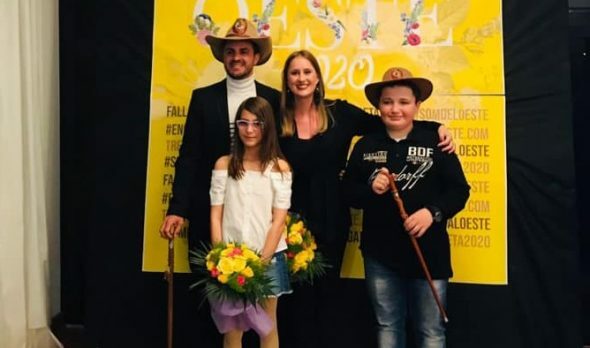 Together with them we could see several of the women who held the position of senior faller of Dénia years ago, as well as this year's courts of honor, which escorted the maximum representatives of the failures of Dénia, Amparo Petrie and Neus Suárez . 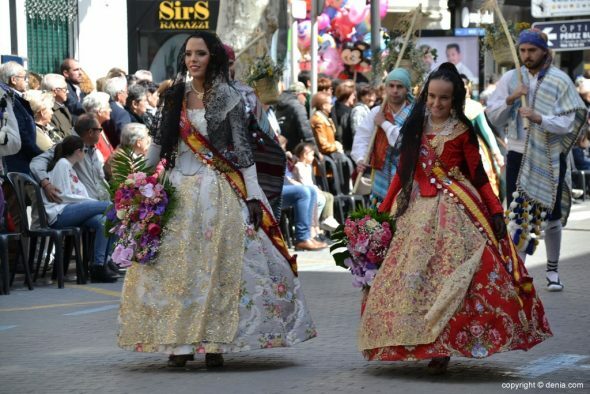 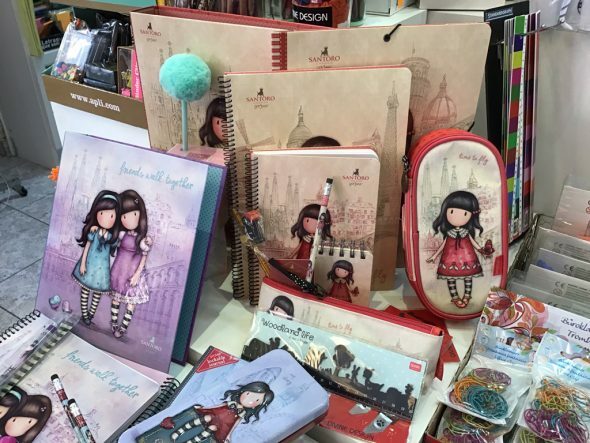 Comments on "Falleras y falleros show off their best clothes in the emotional and multitudinous offering of flowers"